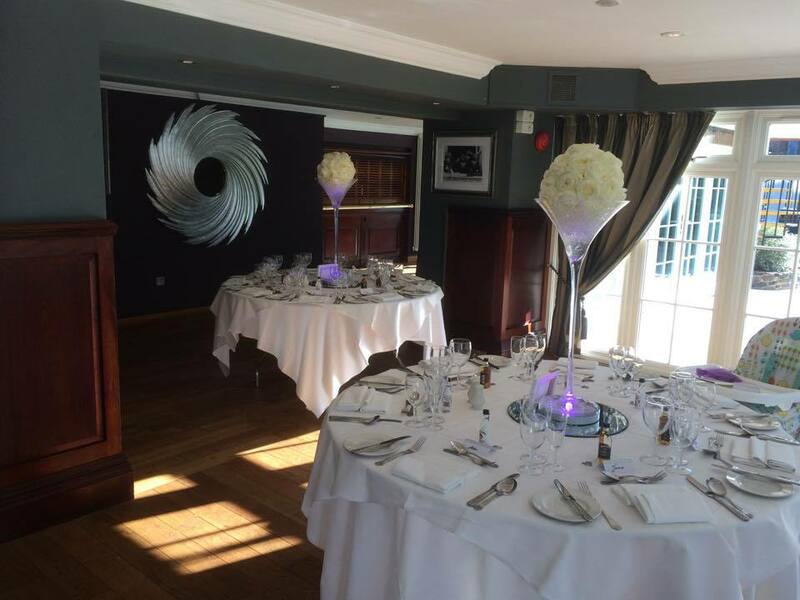 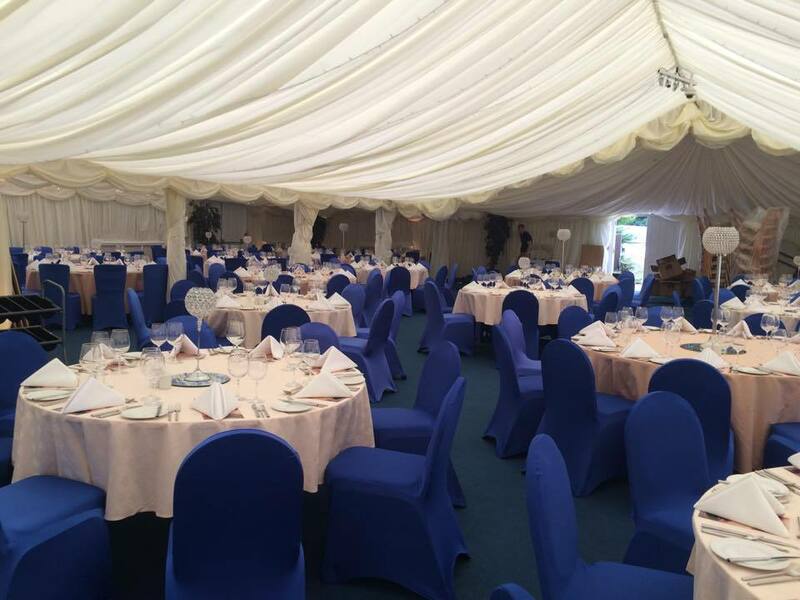 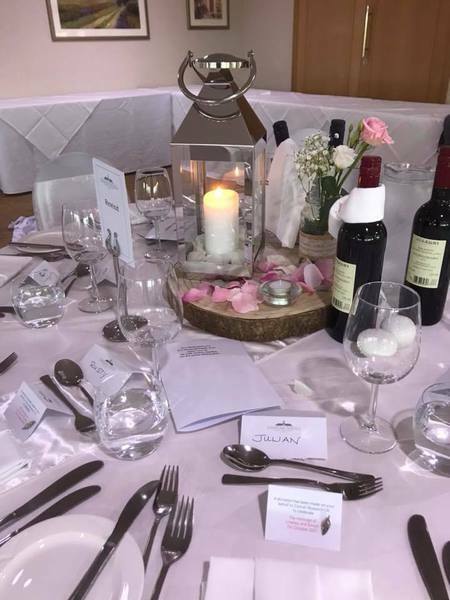 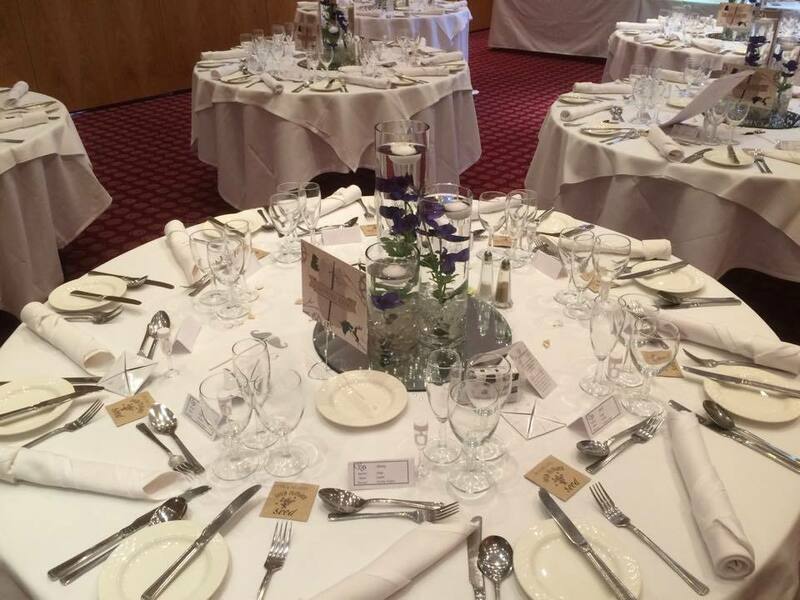 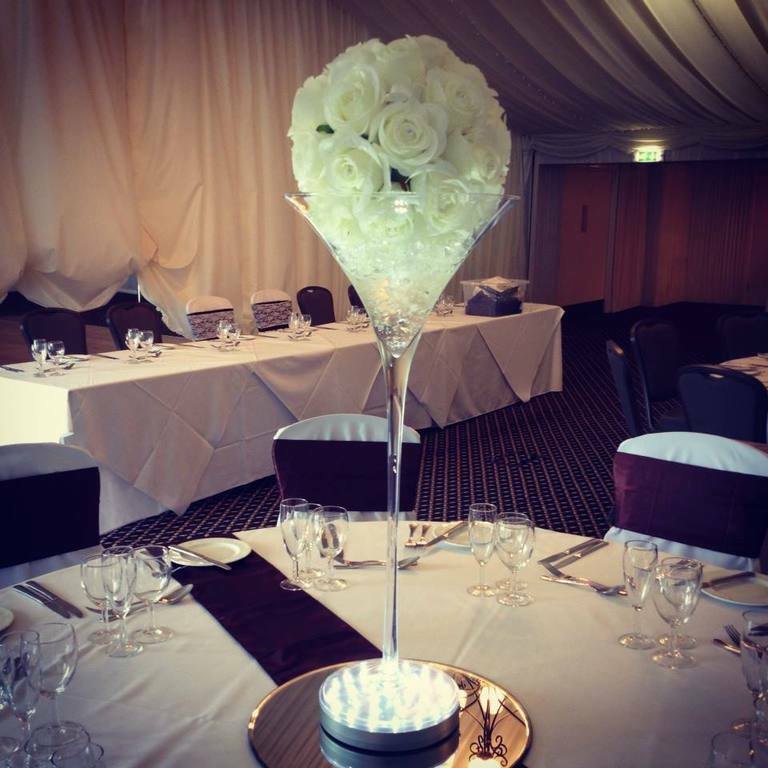 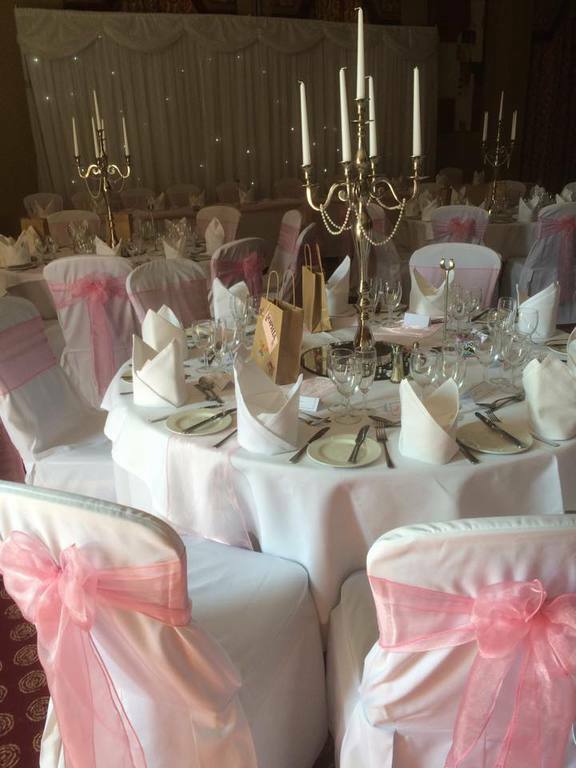 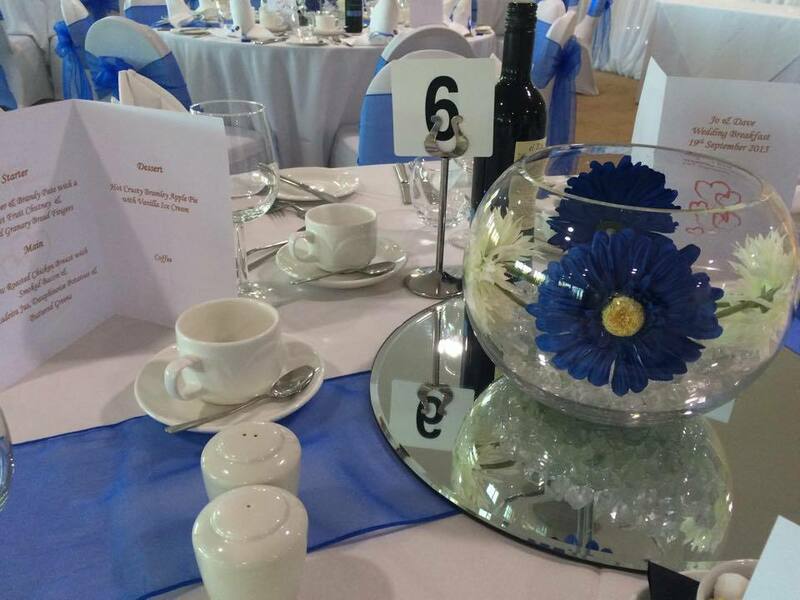 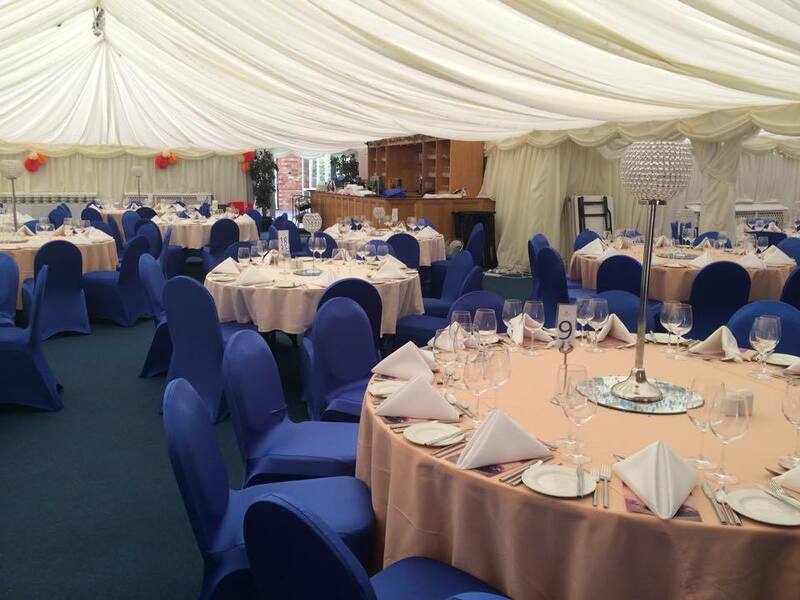 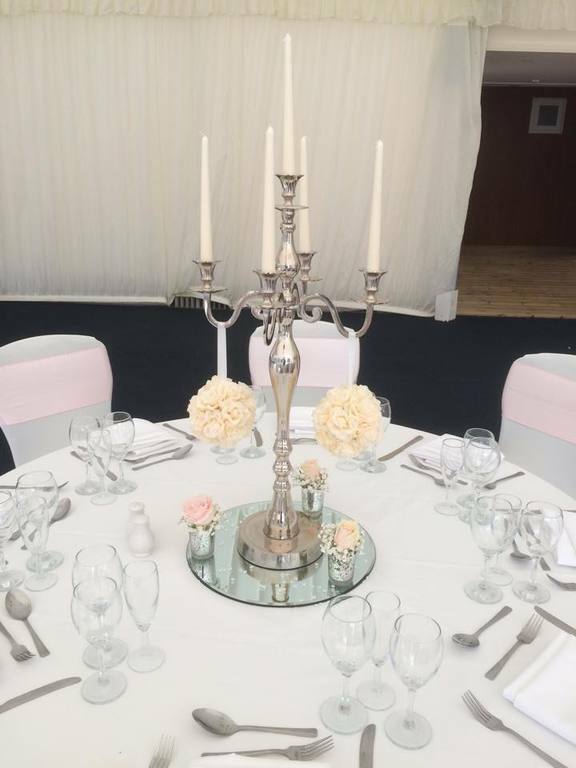 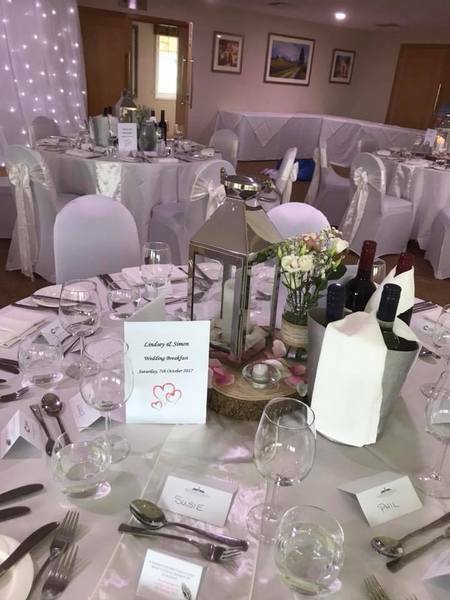 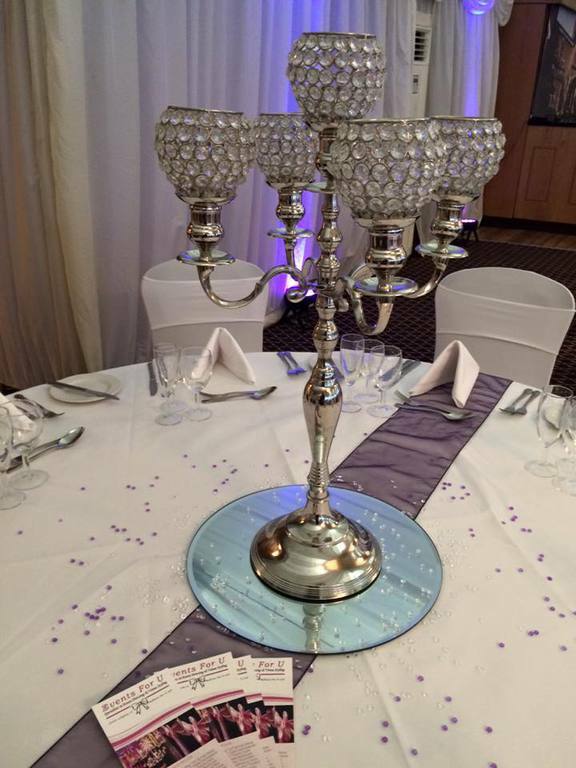 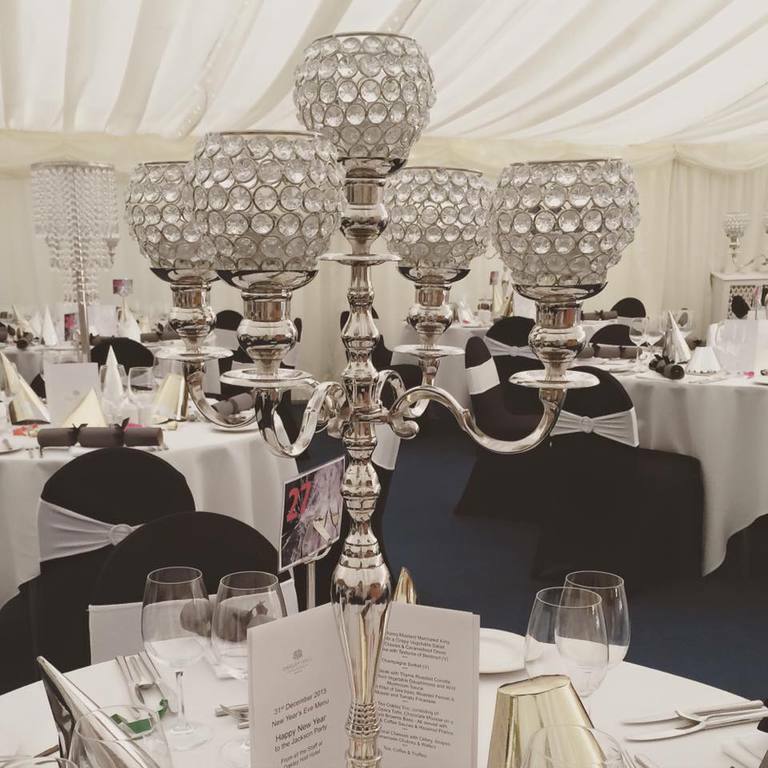 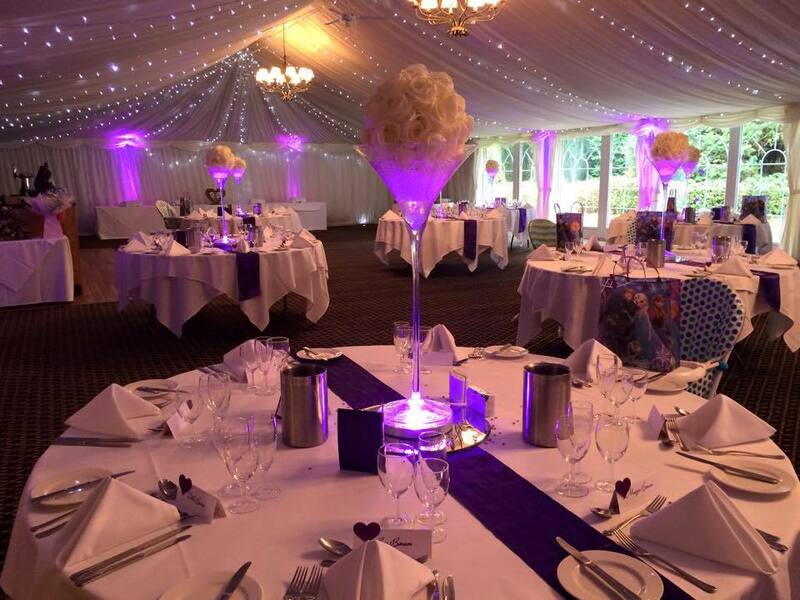 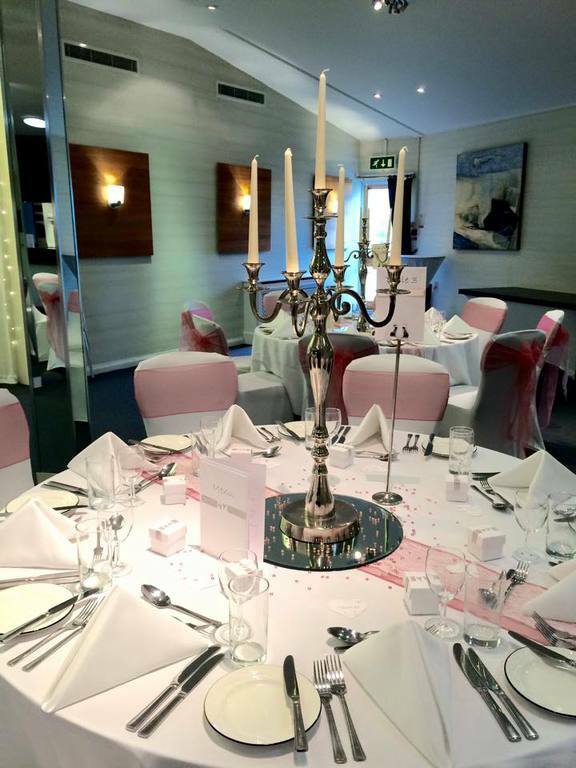 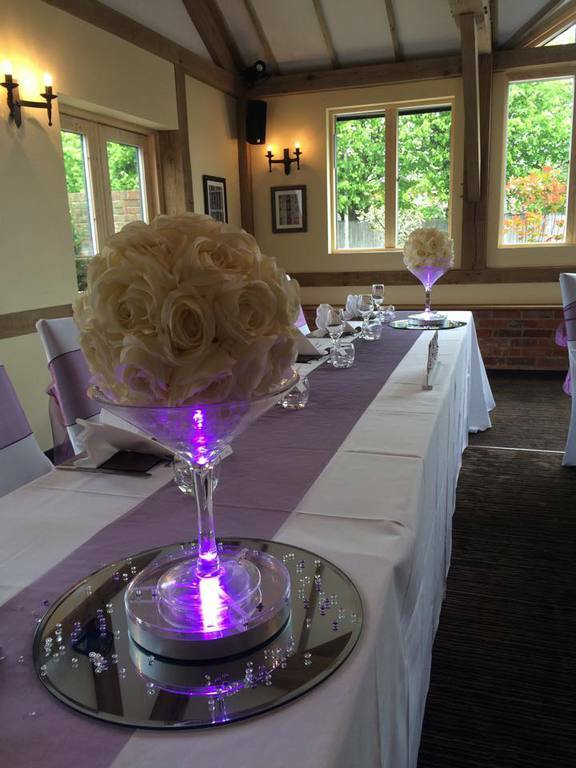 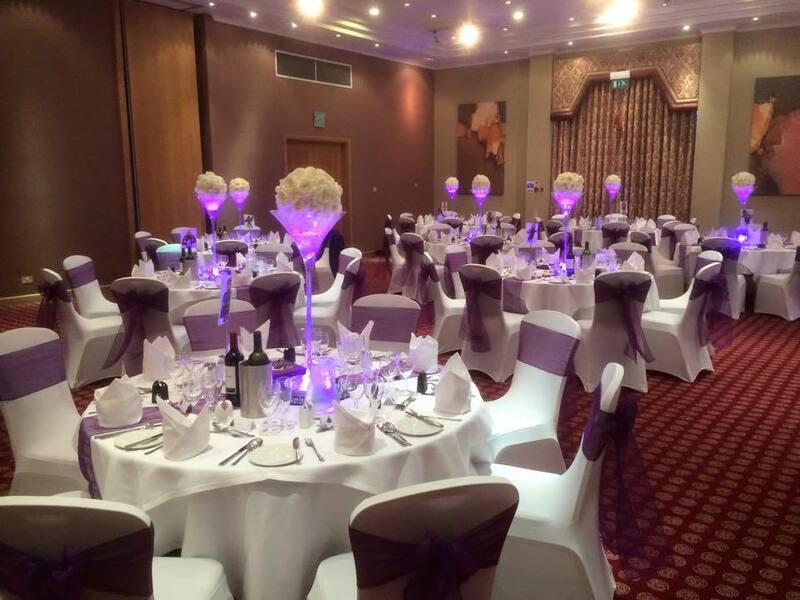 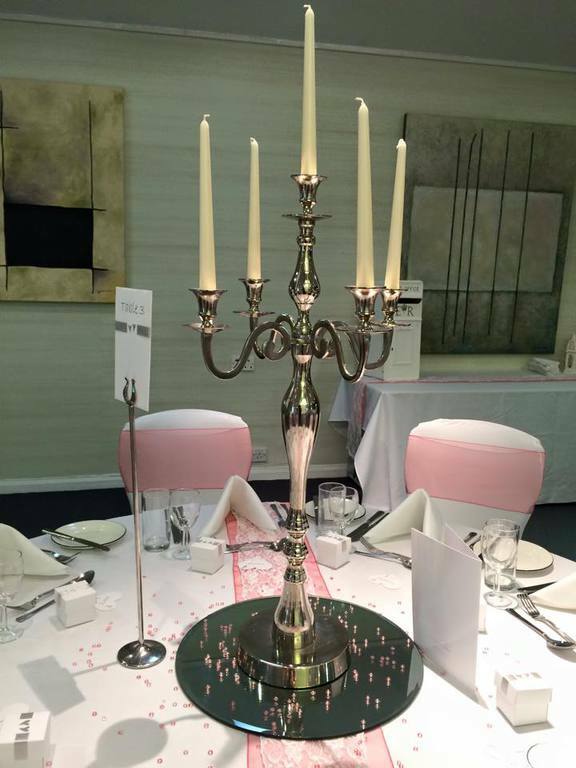 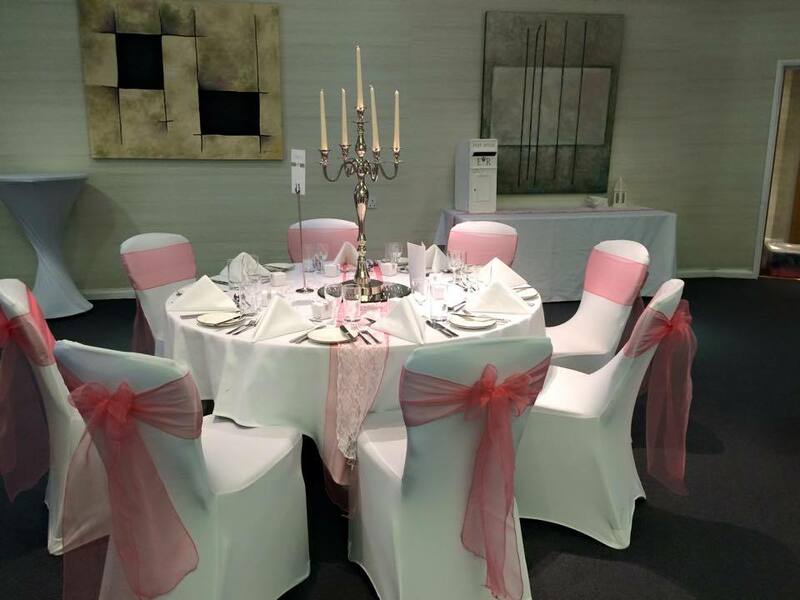 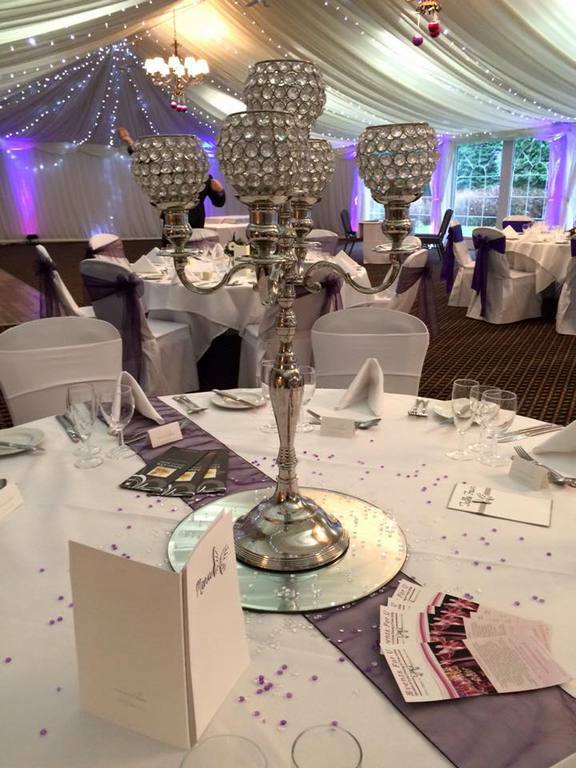 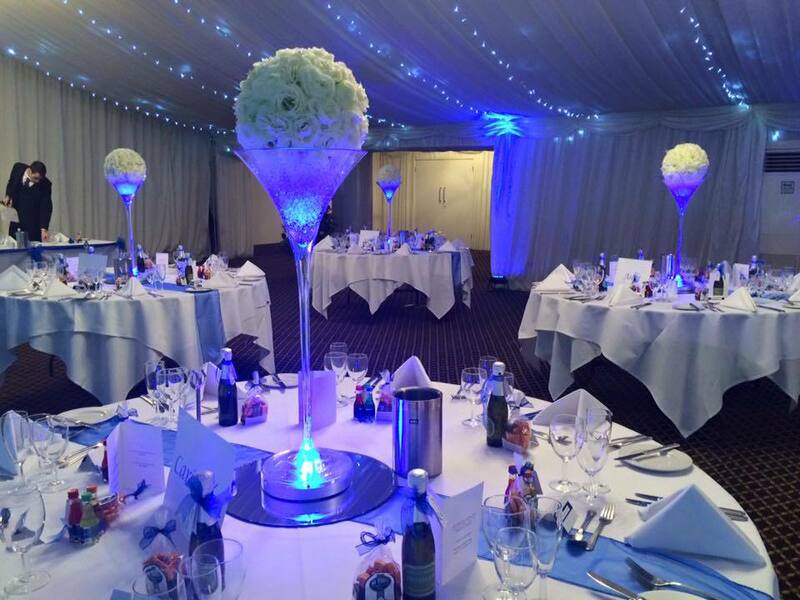 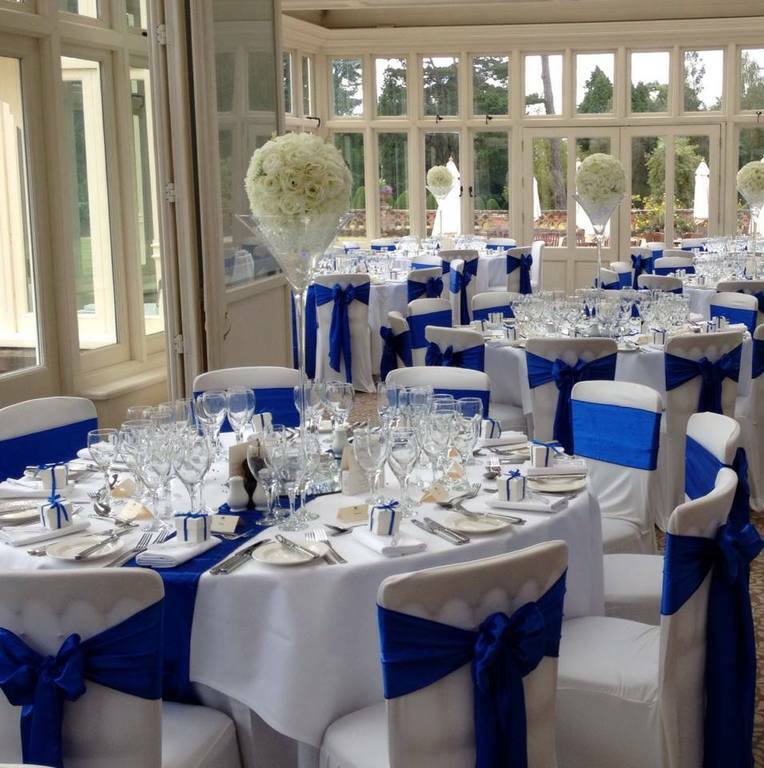 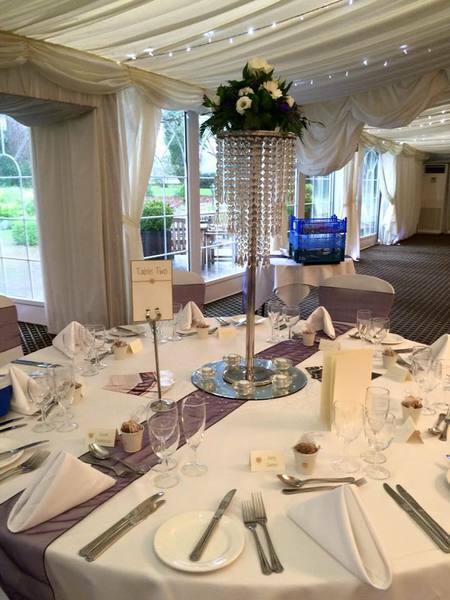 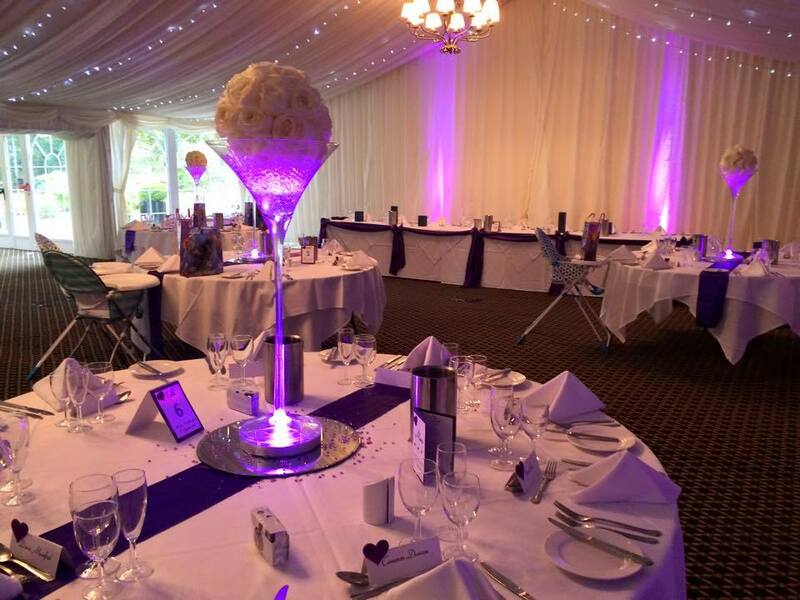 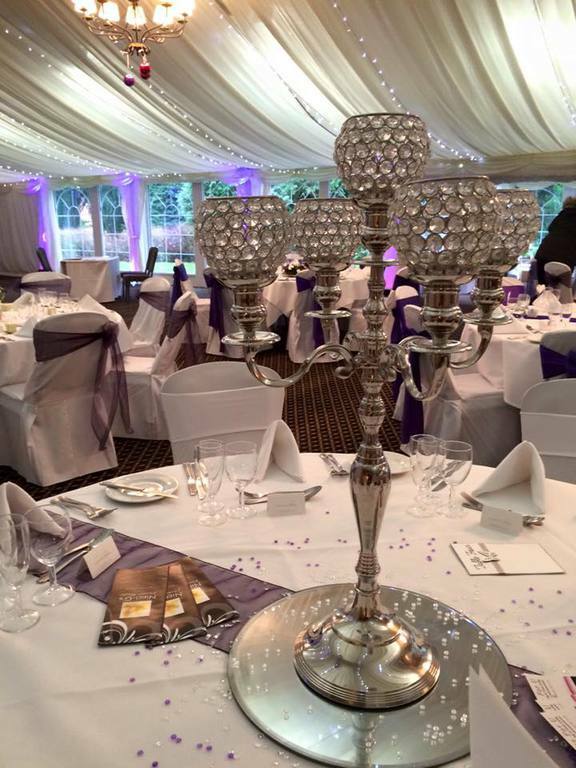 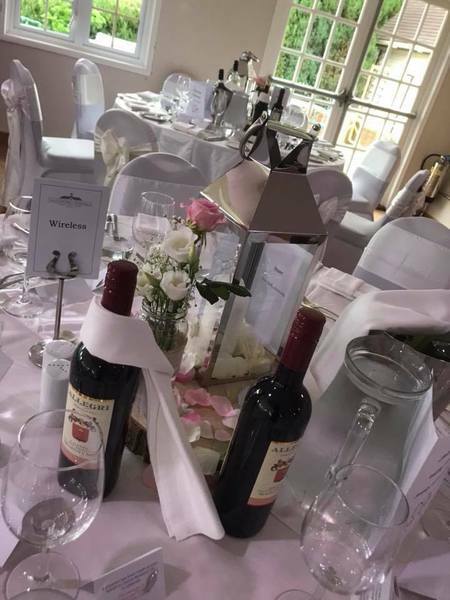 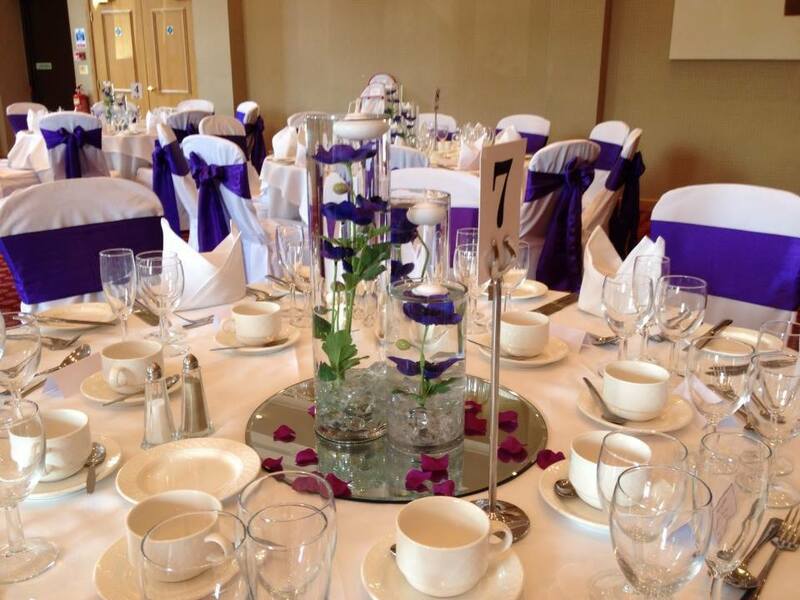 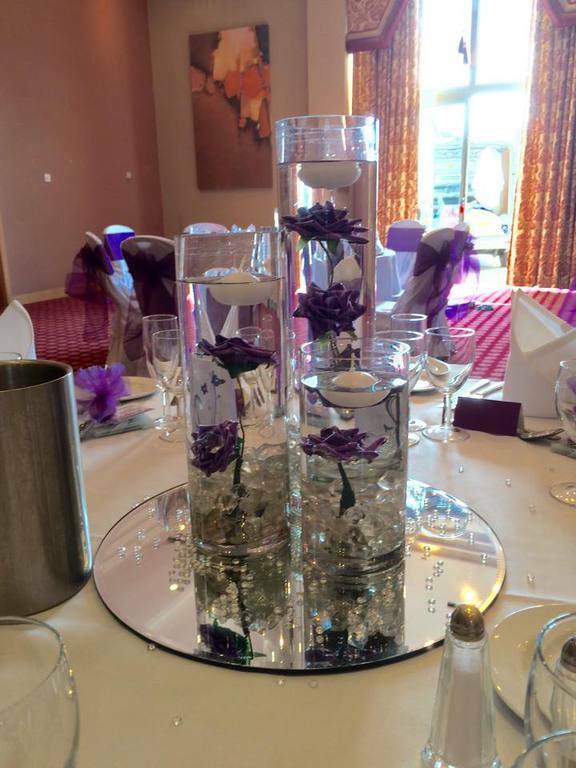 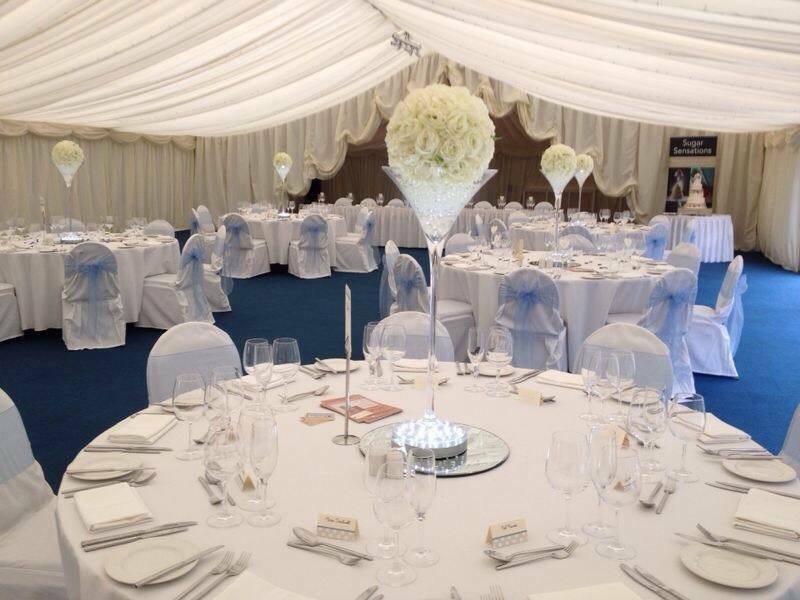 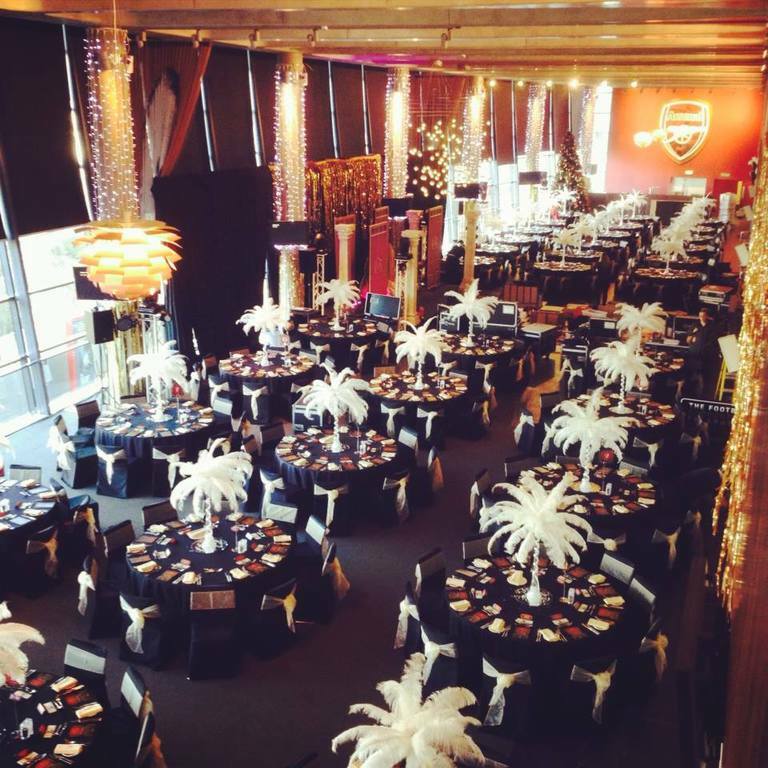 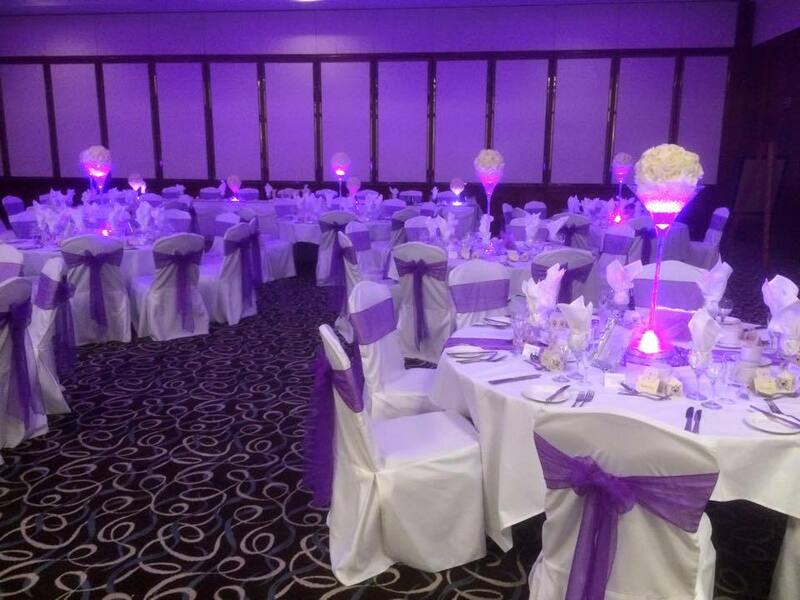 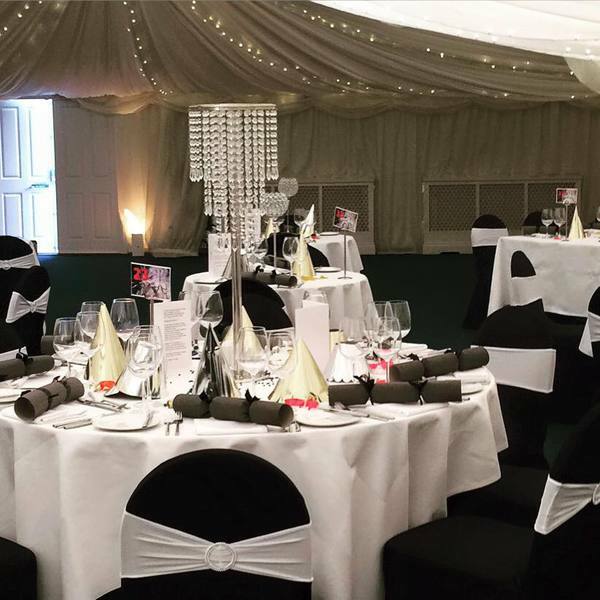 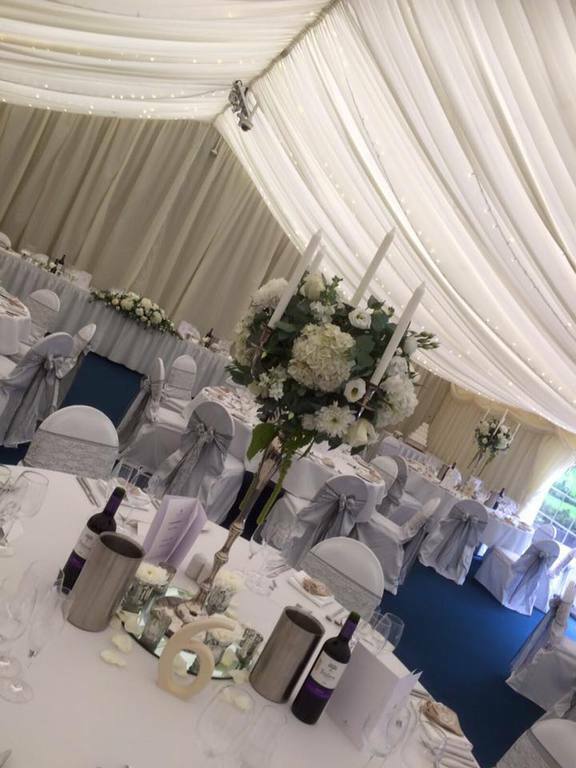 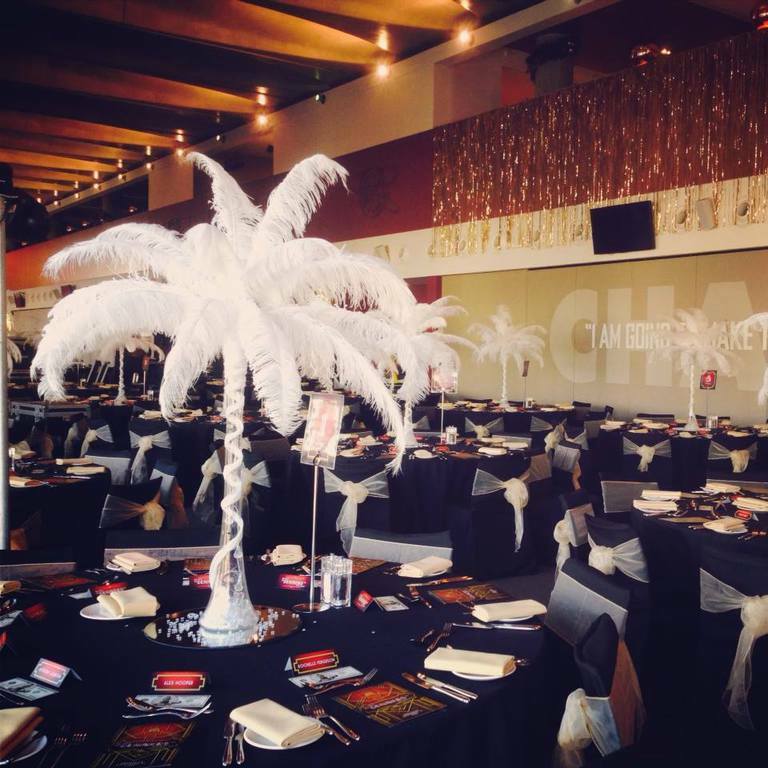 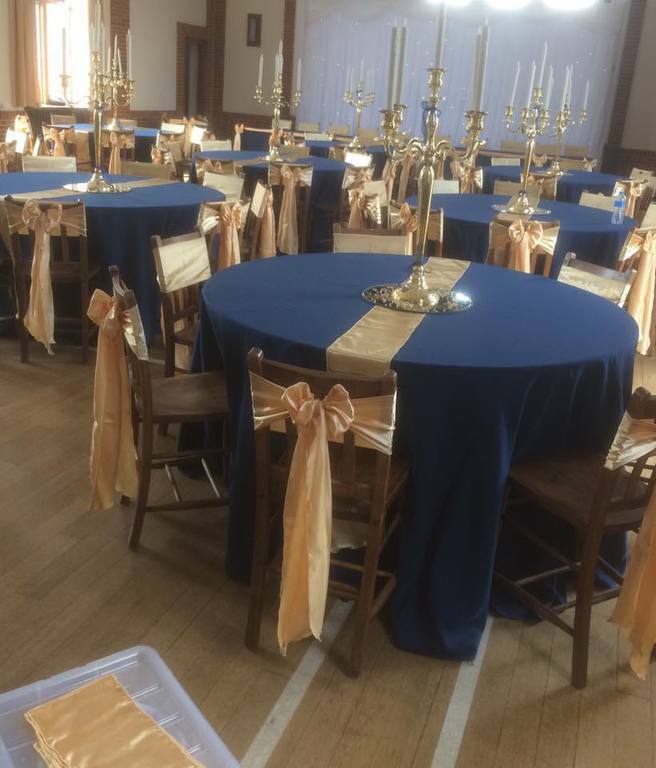 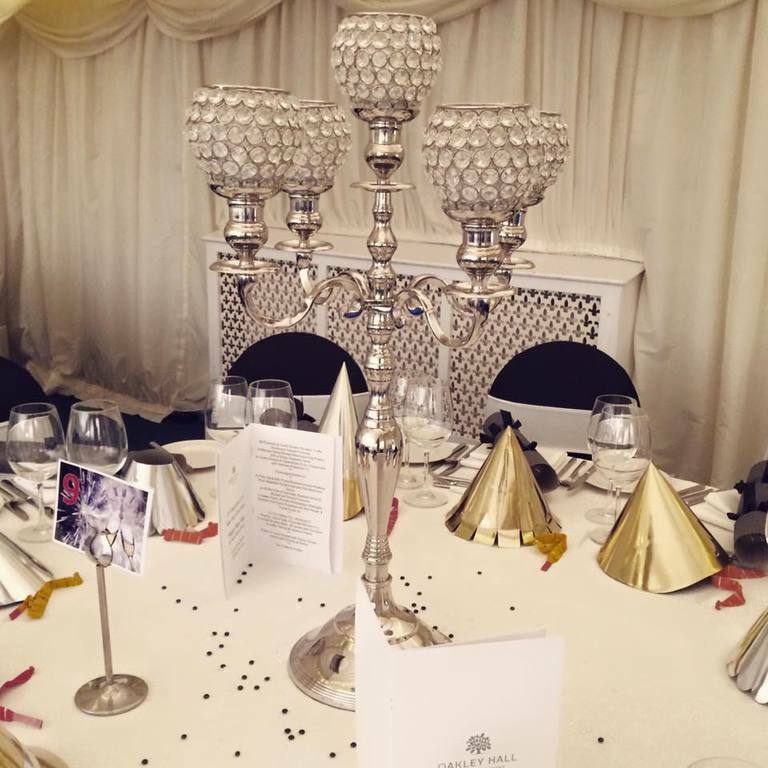 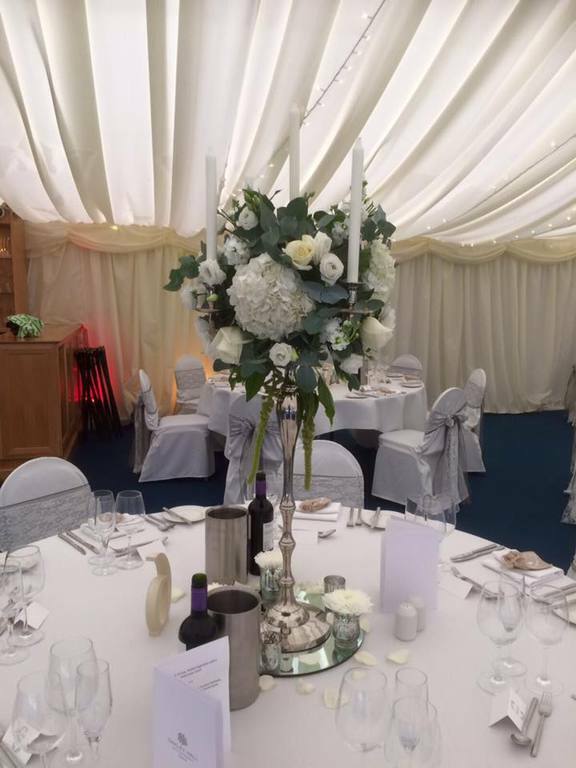 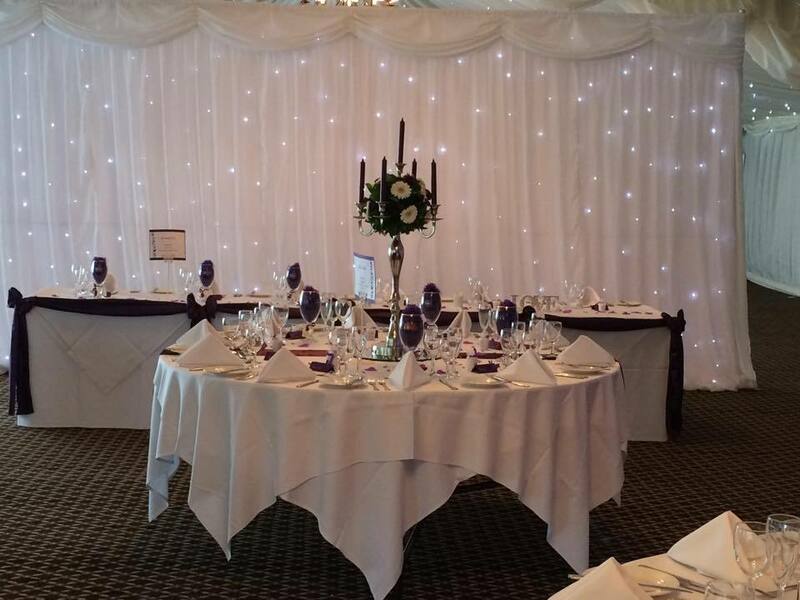 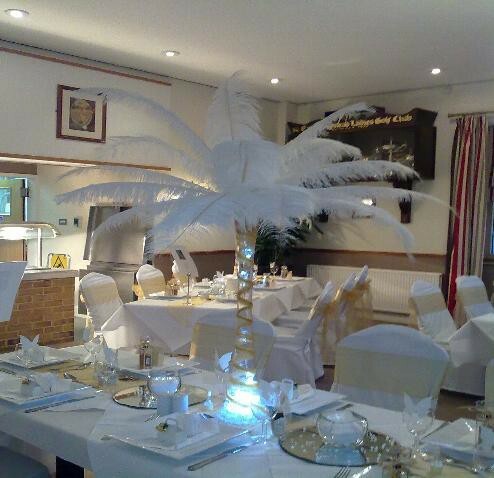 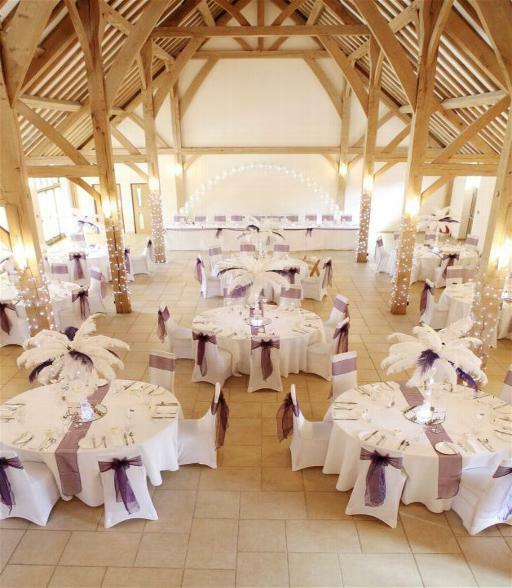 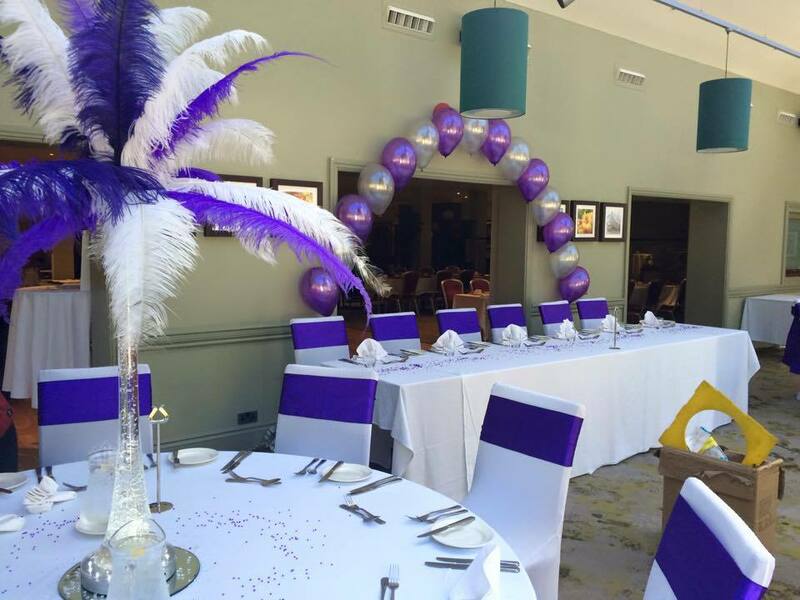 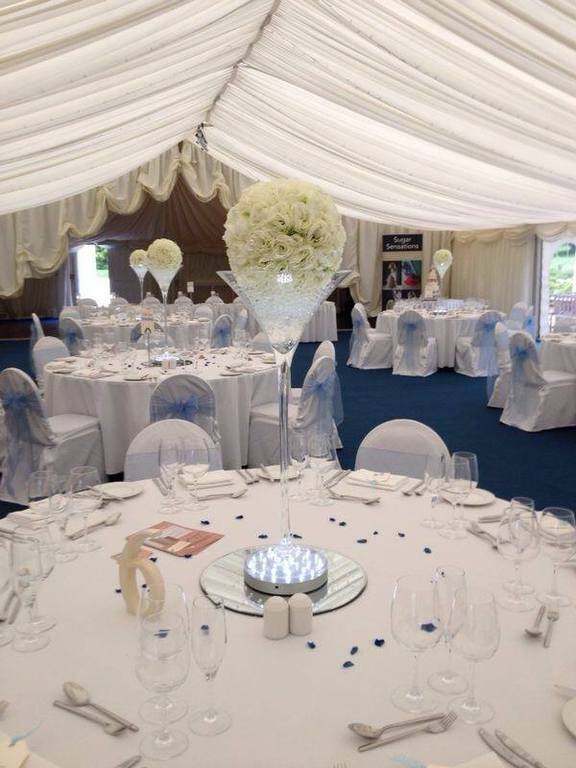 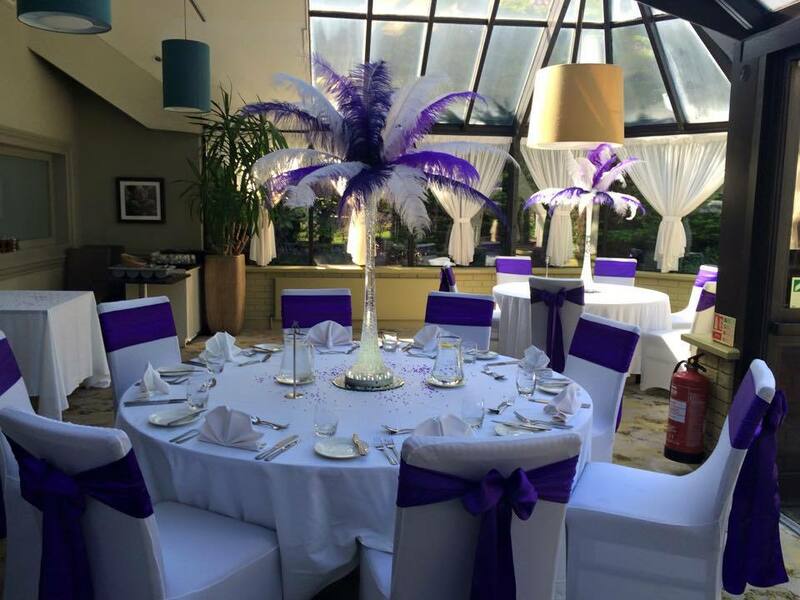 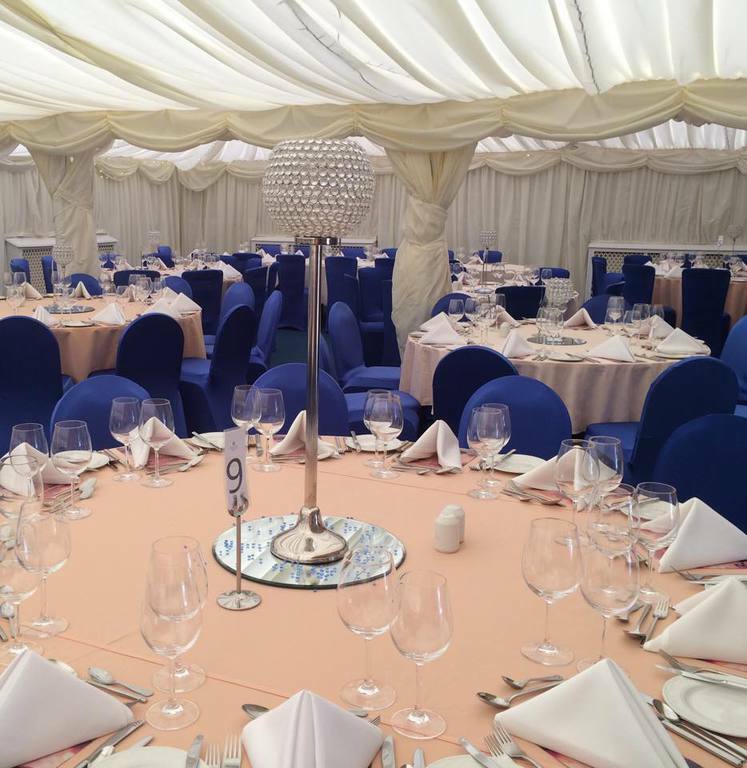 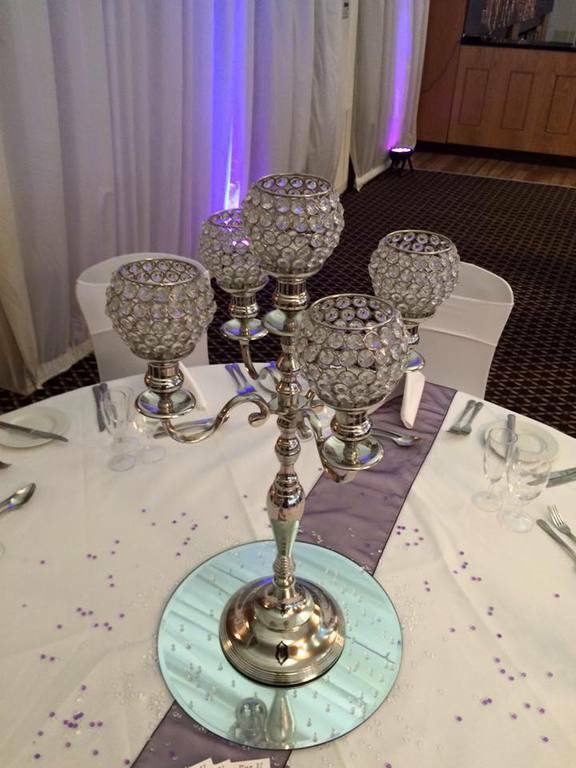 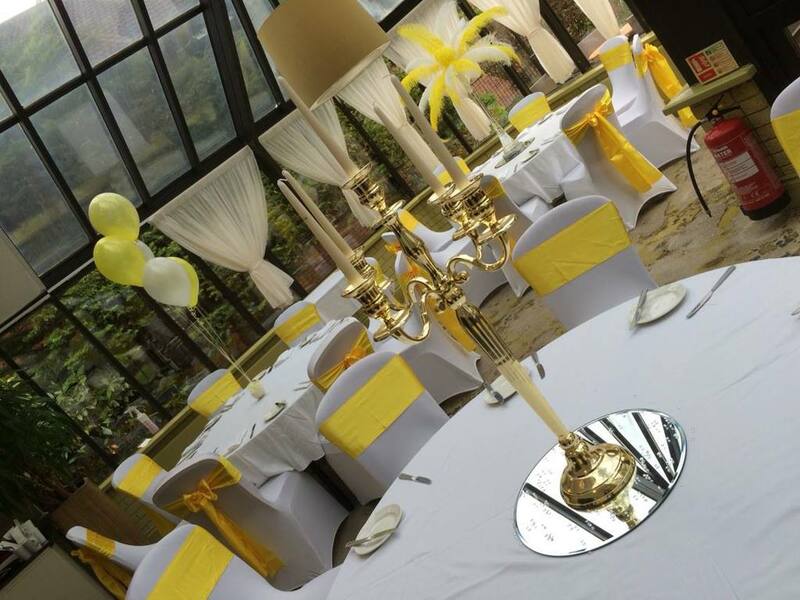 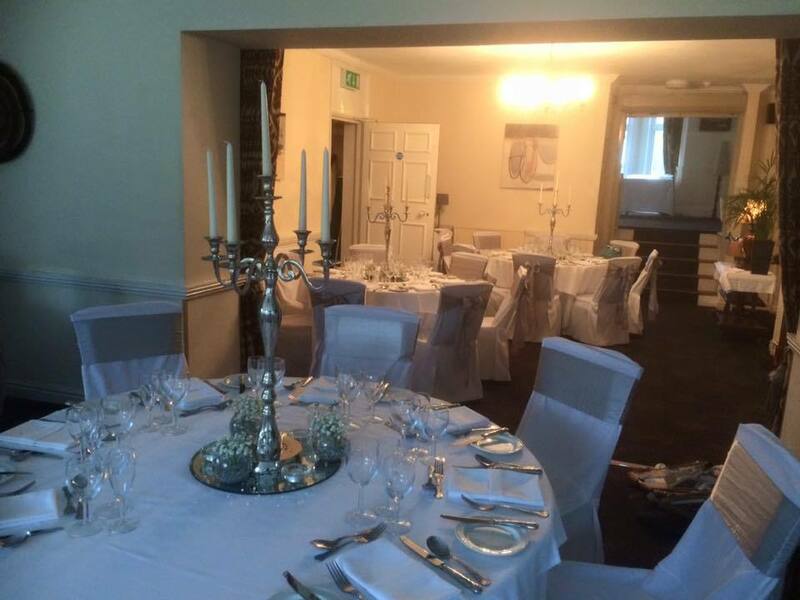 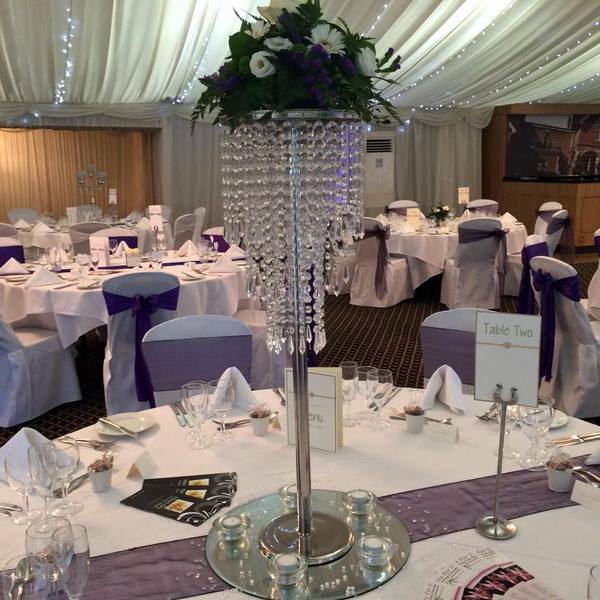 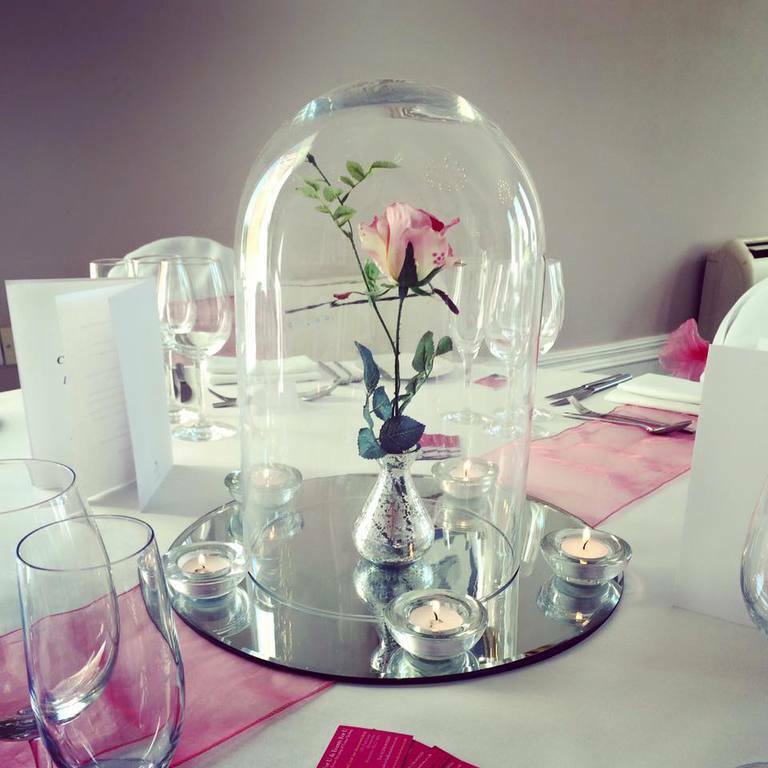 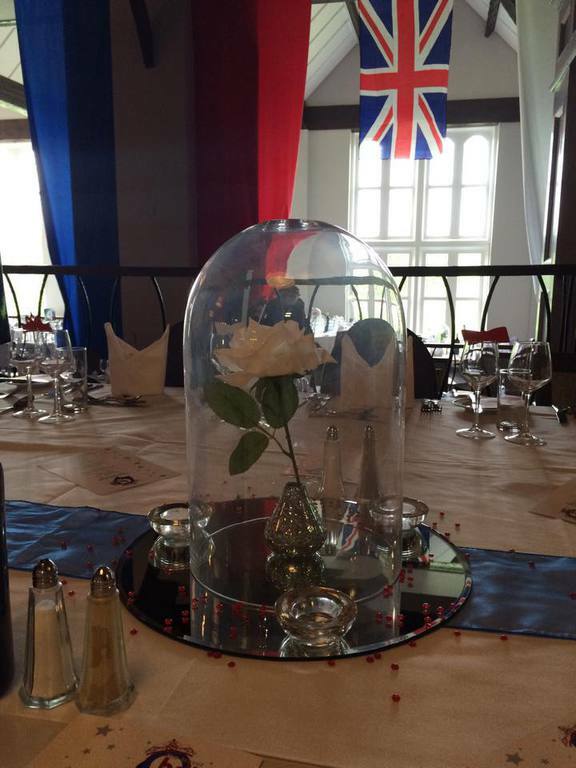 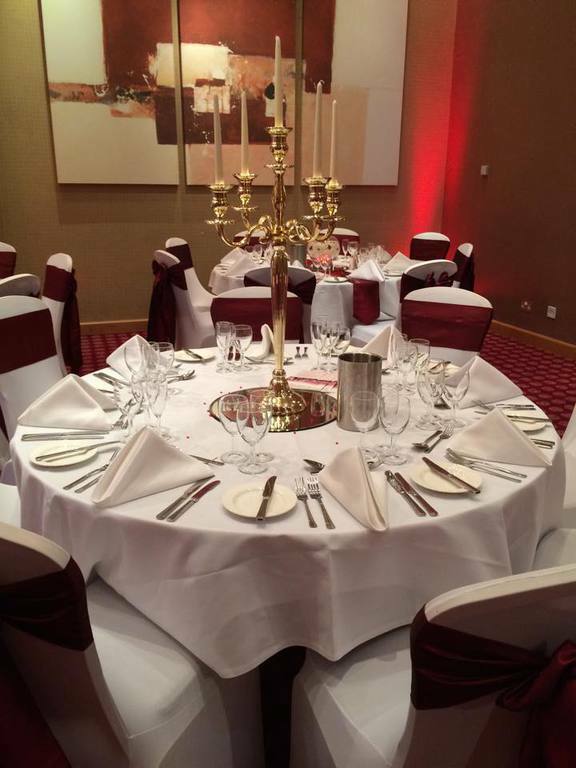 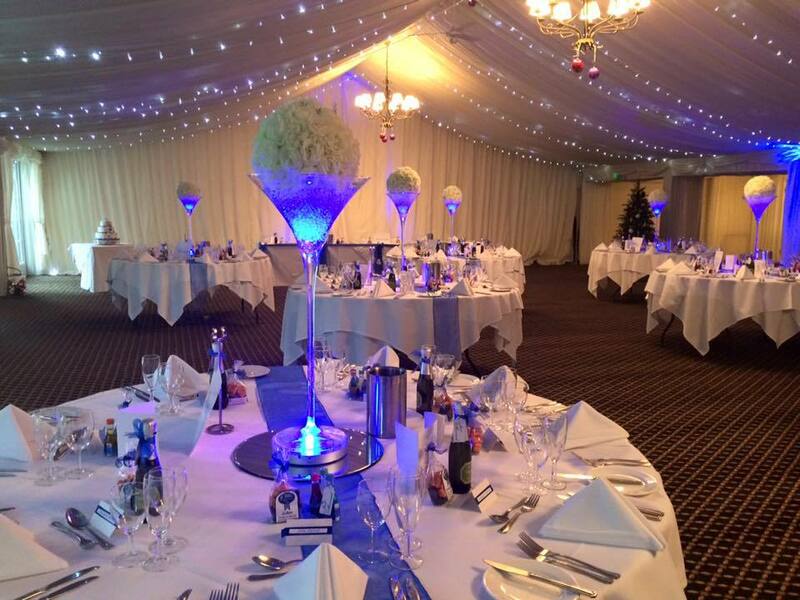 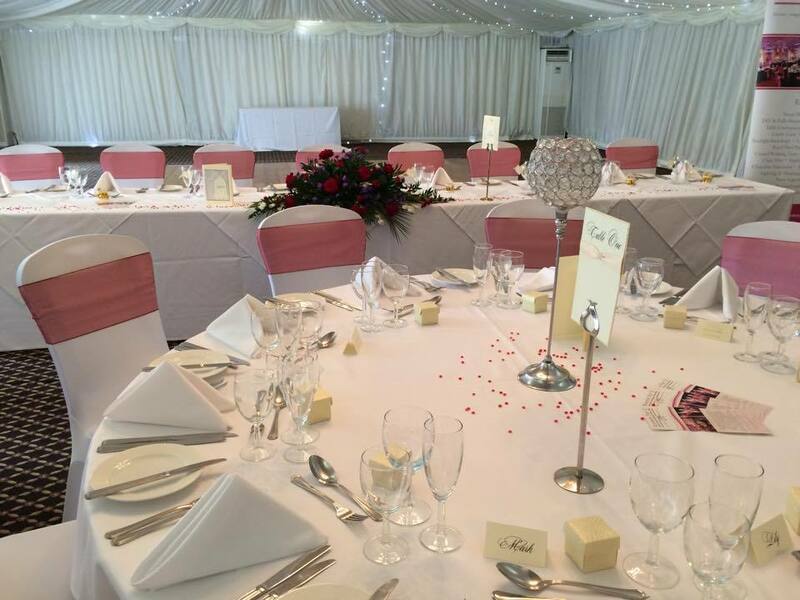 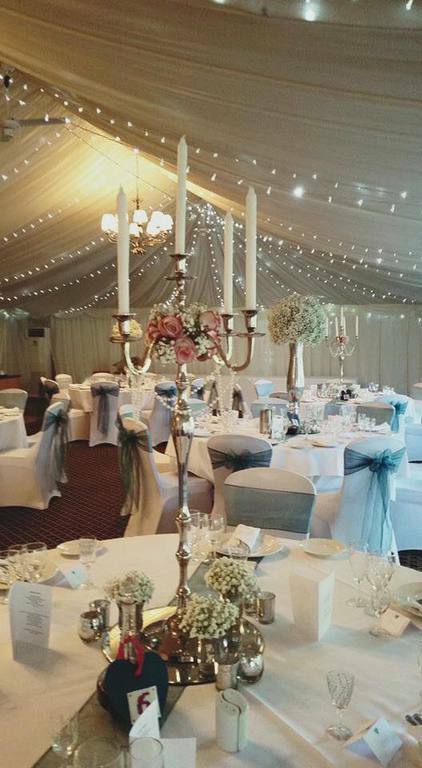 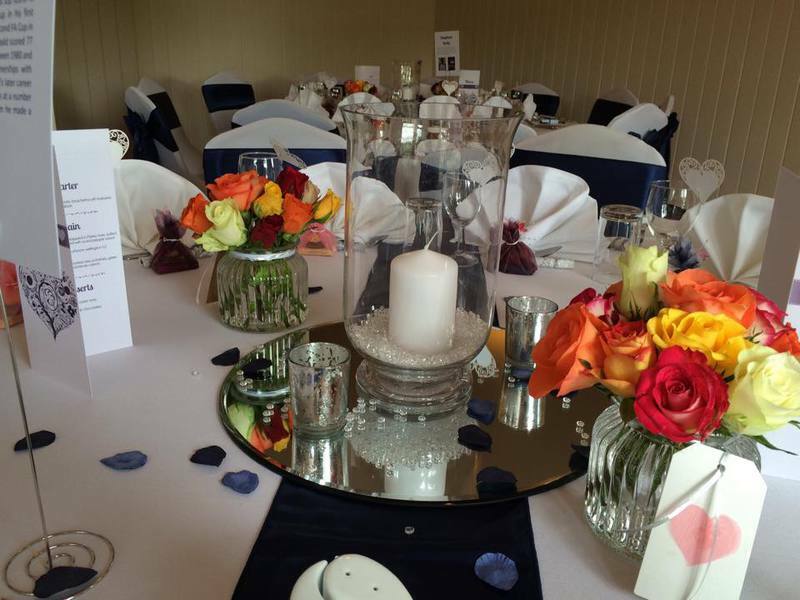 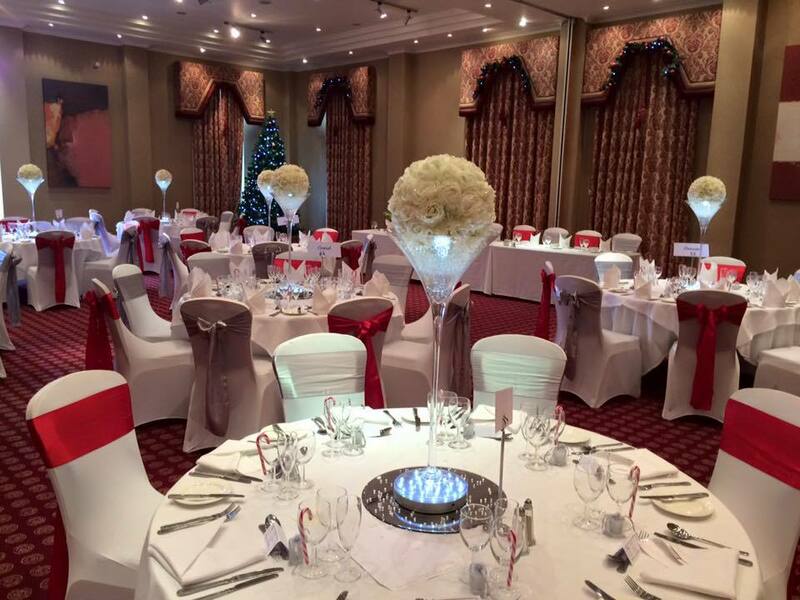 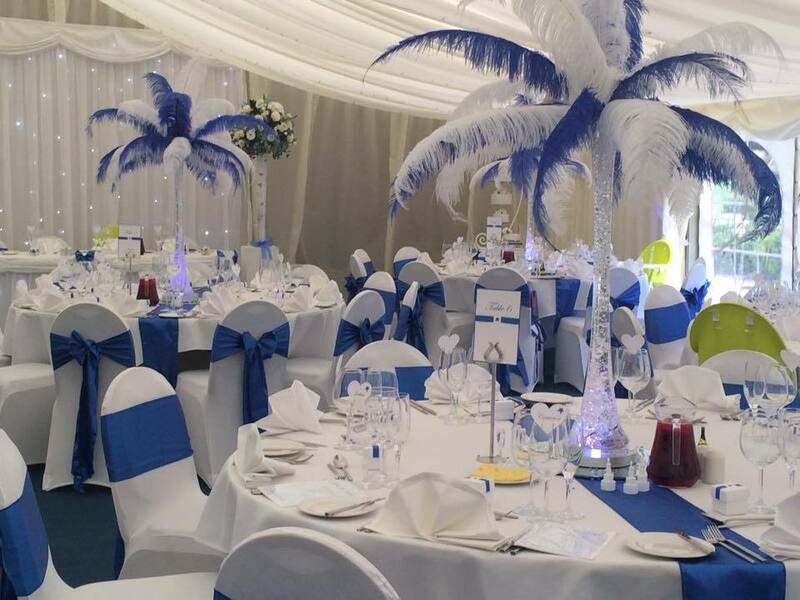 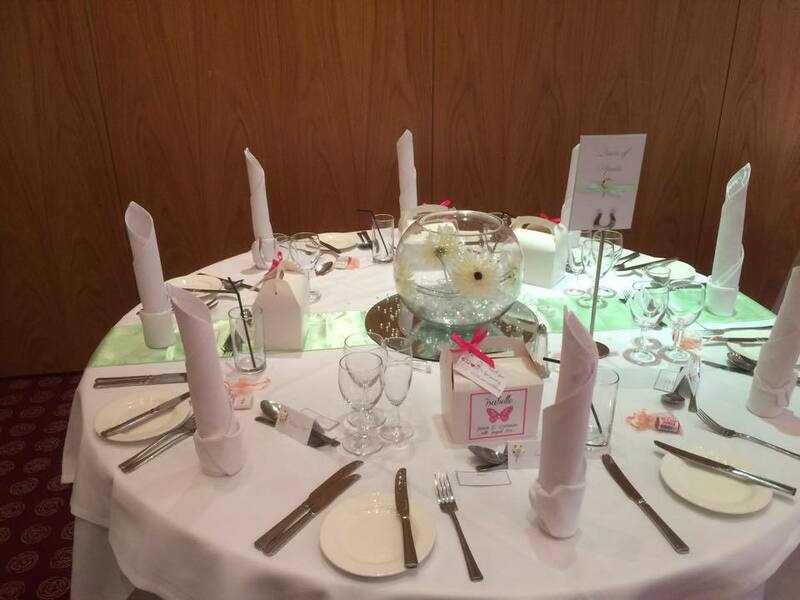 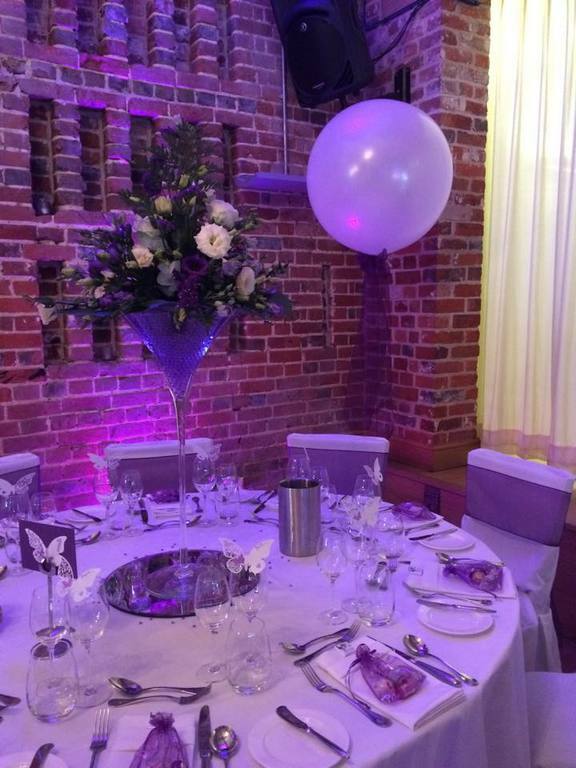 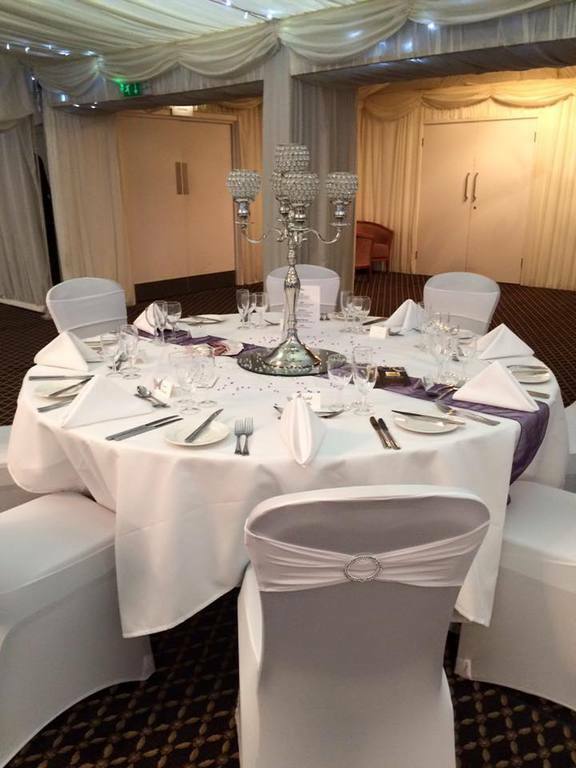 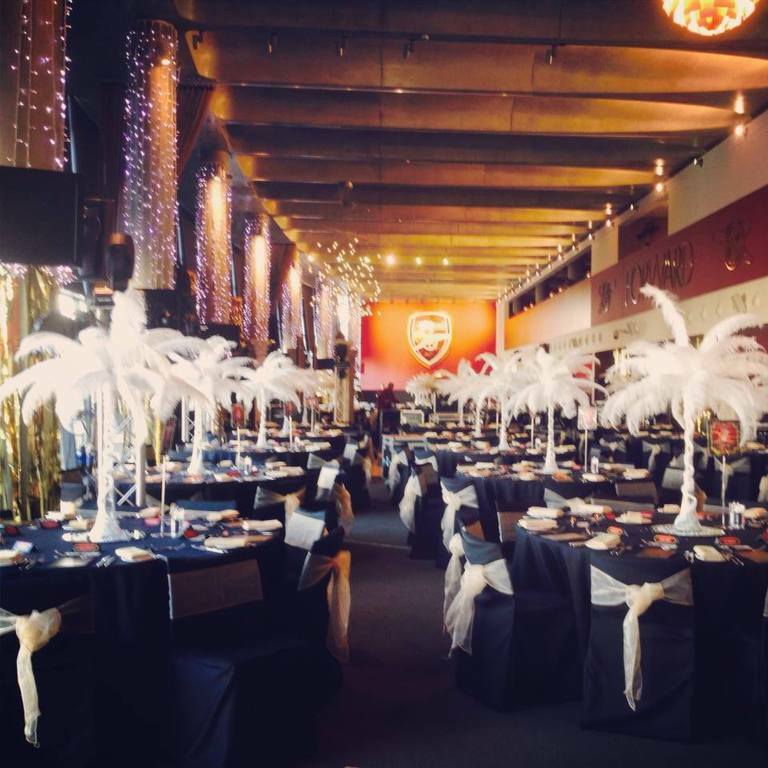 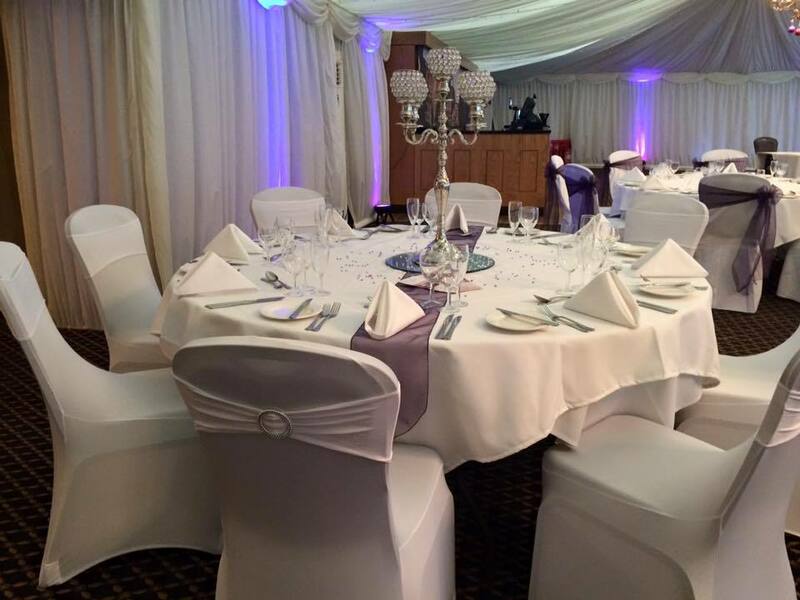 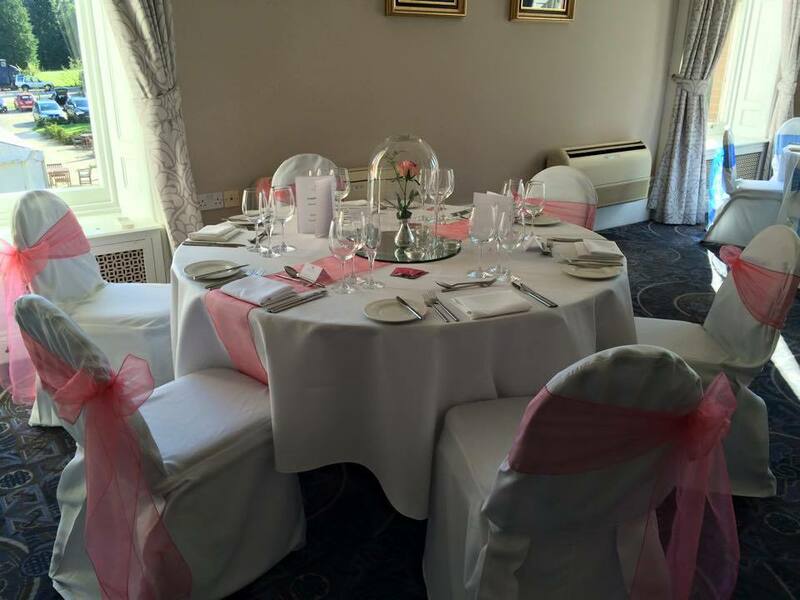 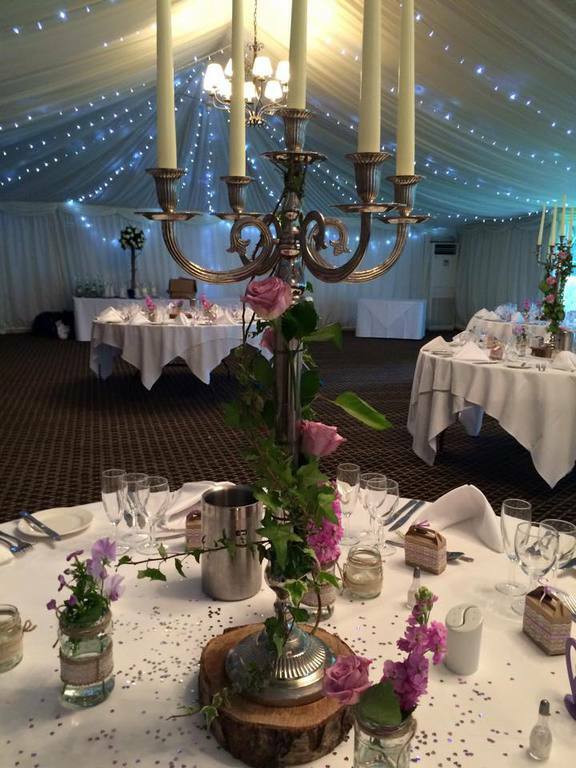 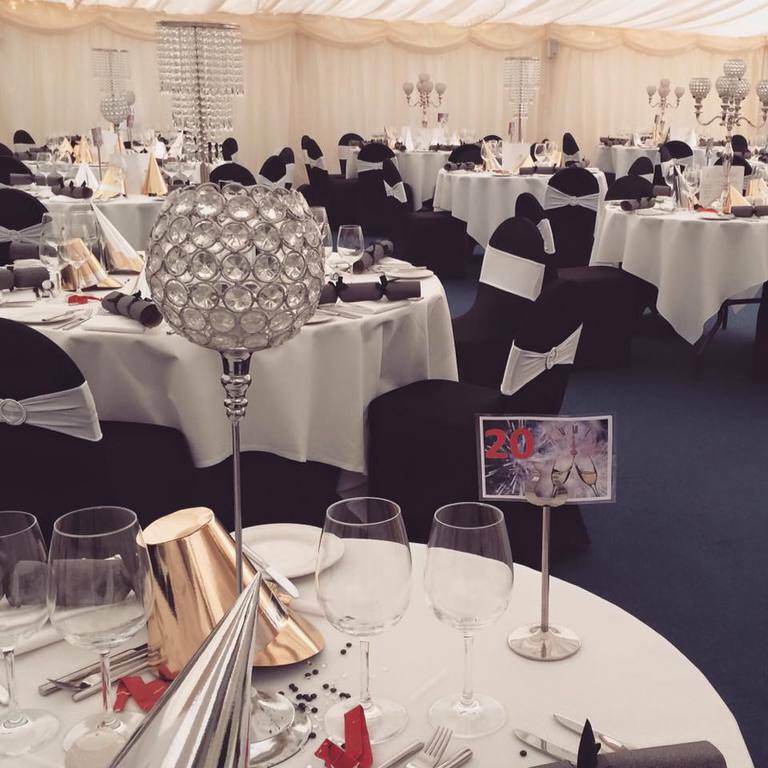 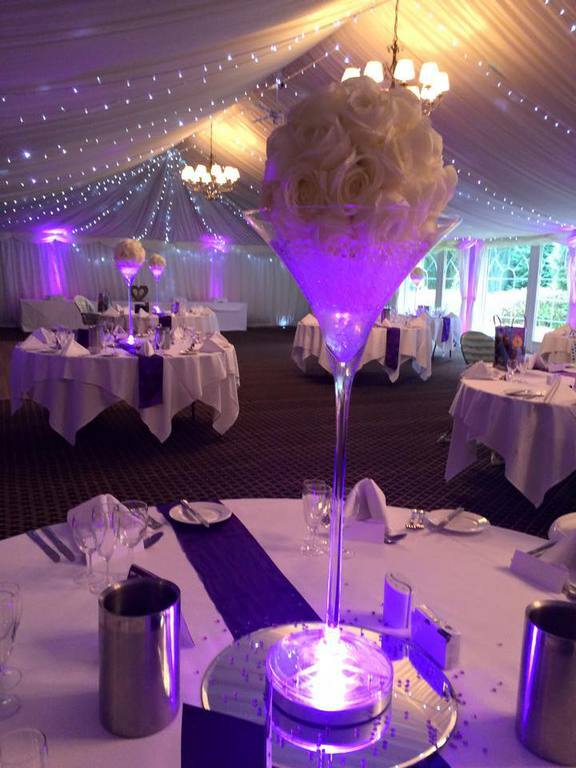 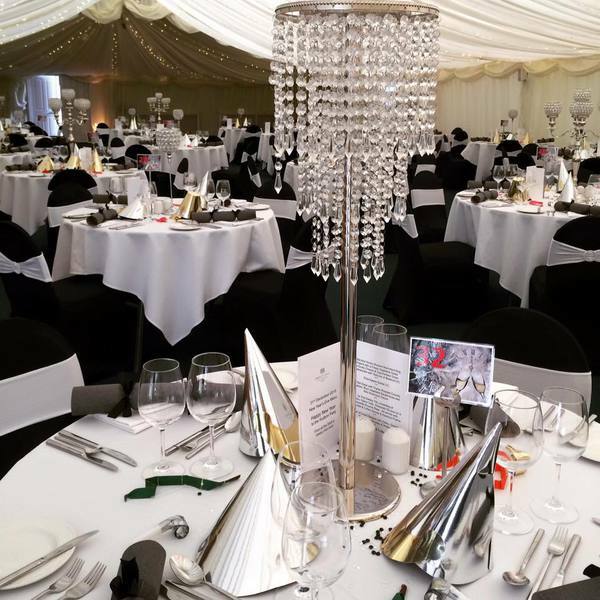 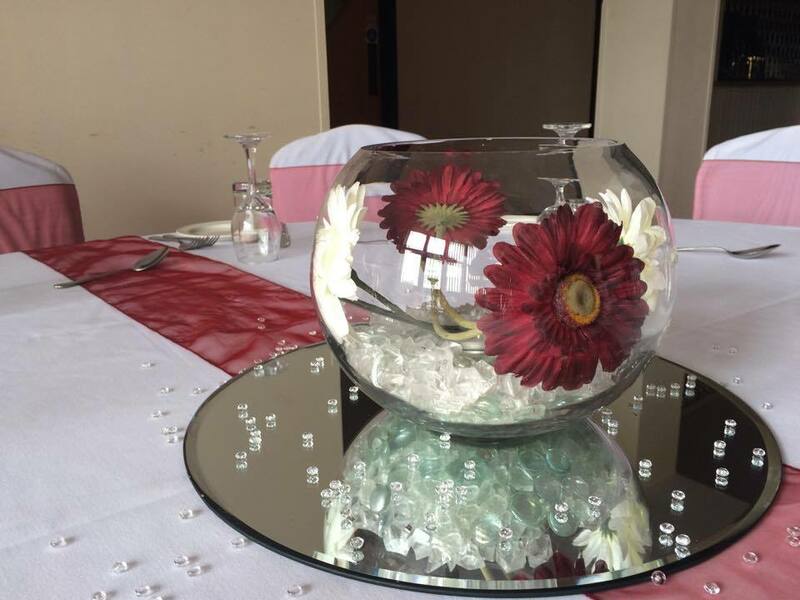 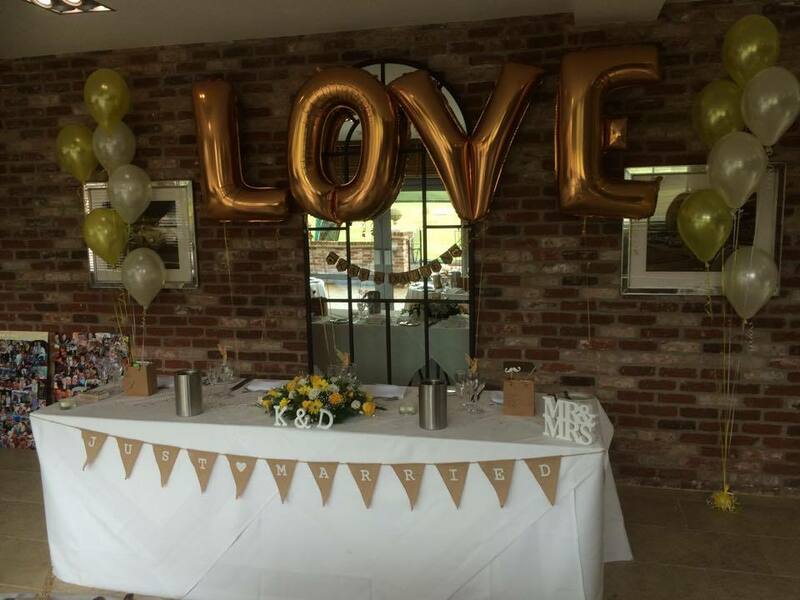 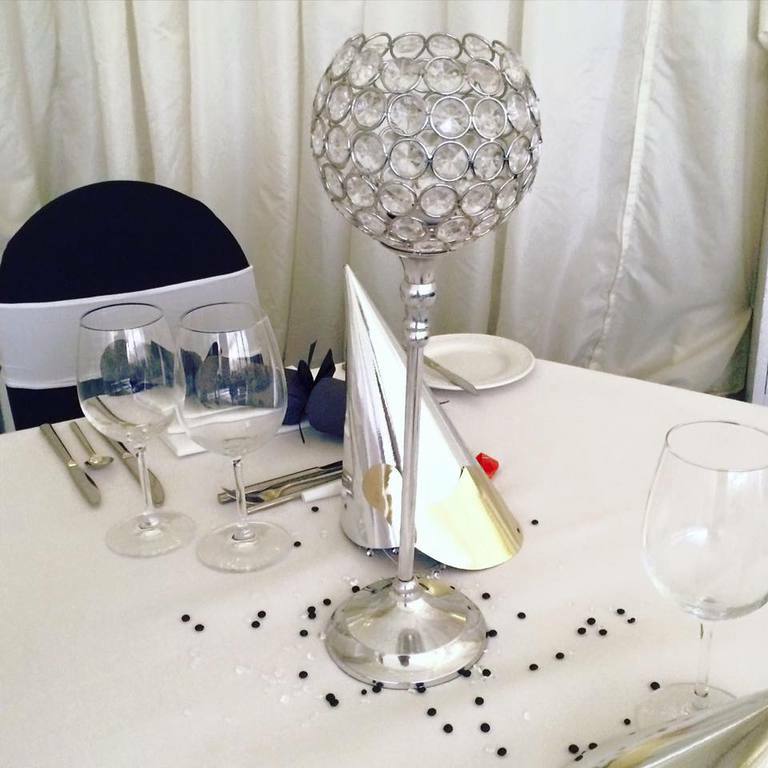 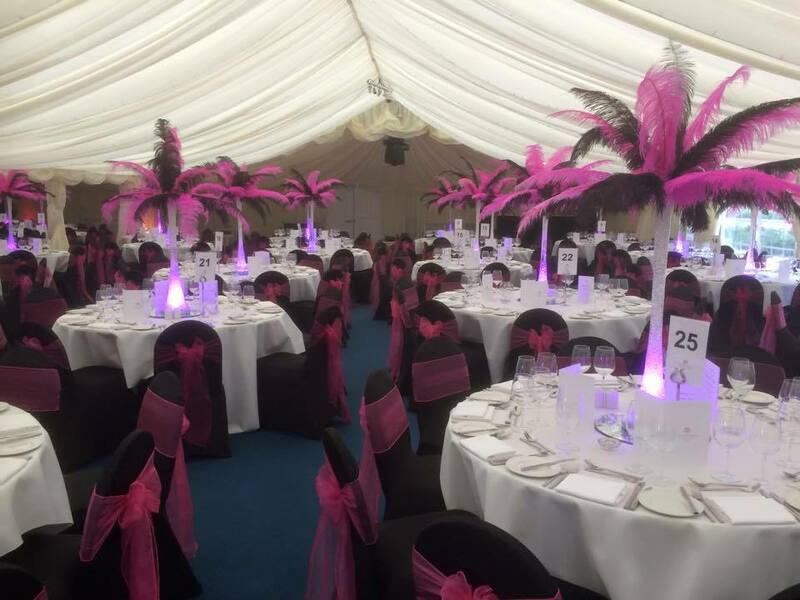 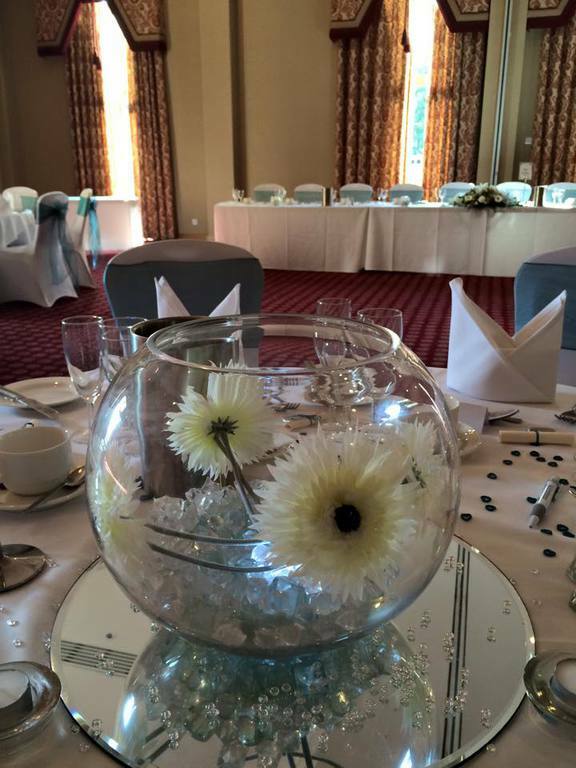 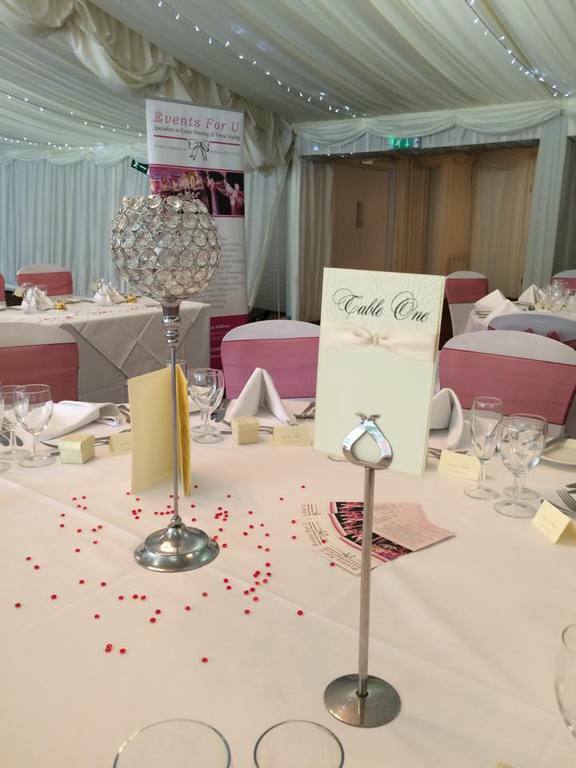 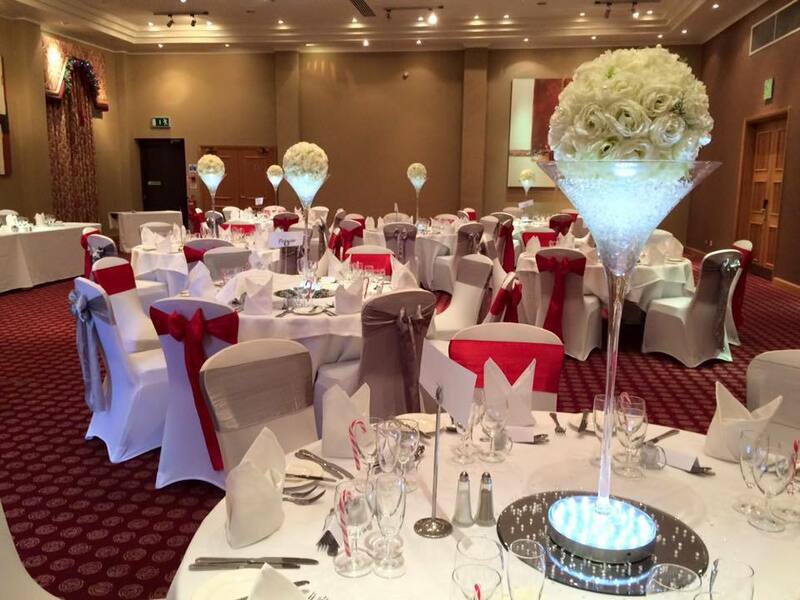 Really create the wow factor when your guests walk in, with our table centerpieces for hire ideally suited for wedding, birthday, anniversary or corporate events. 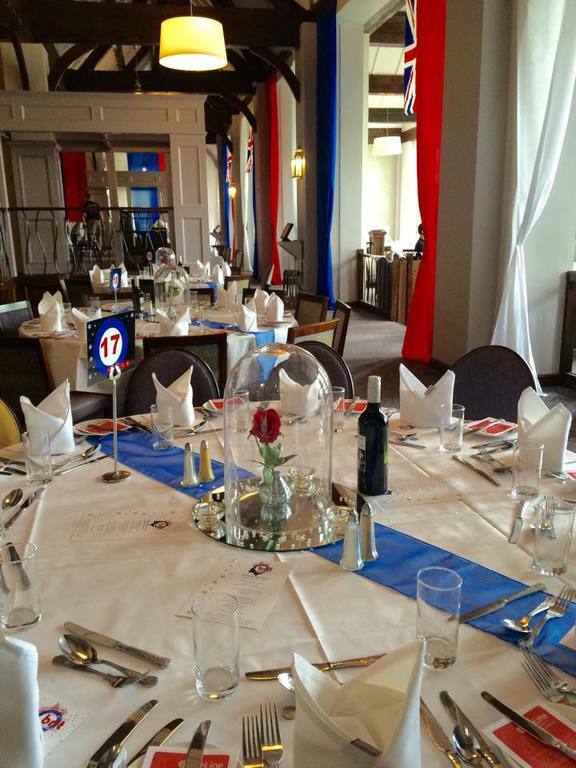 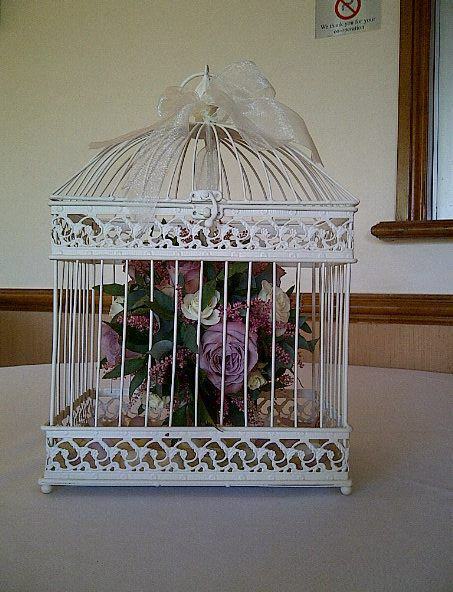 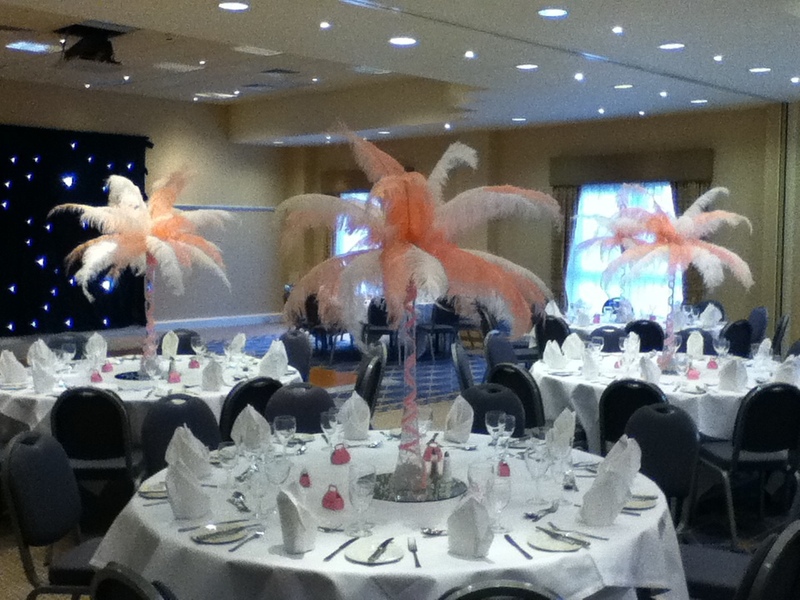 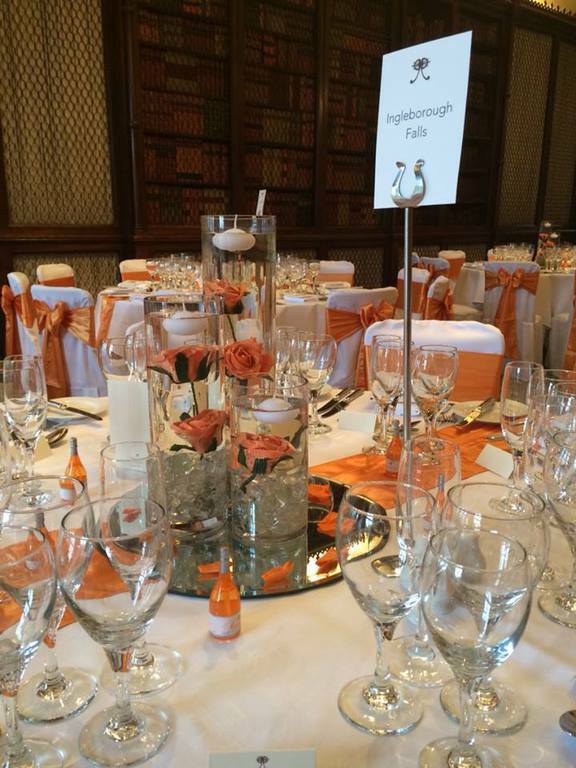 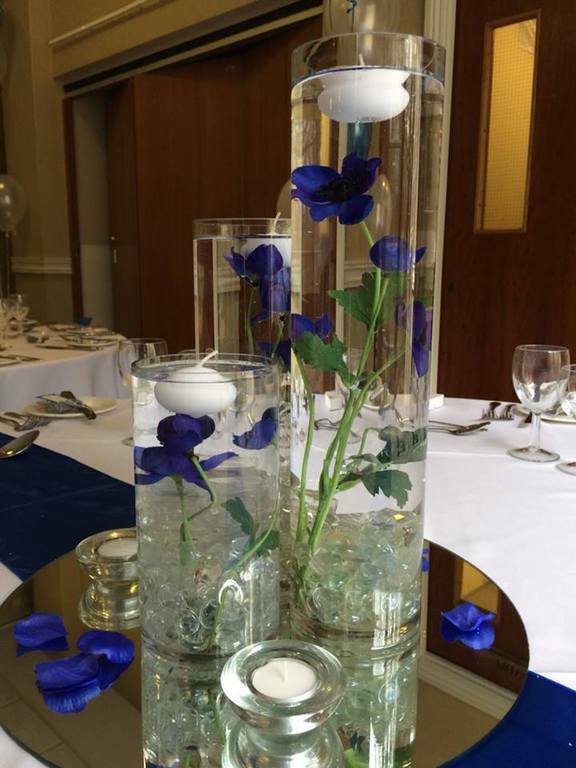 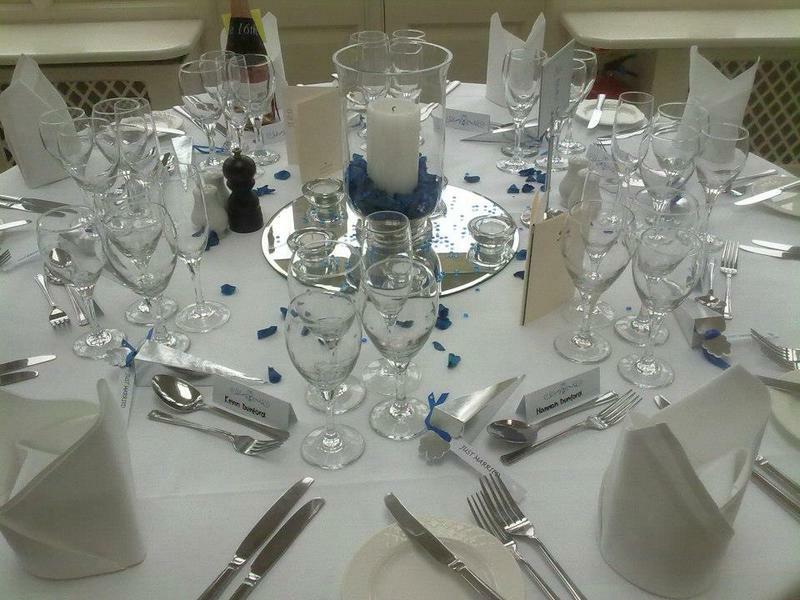 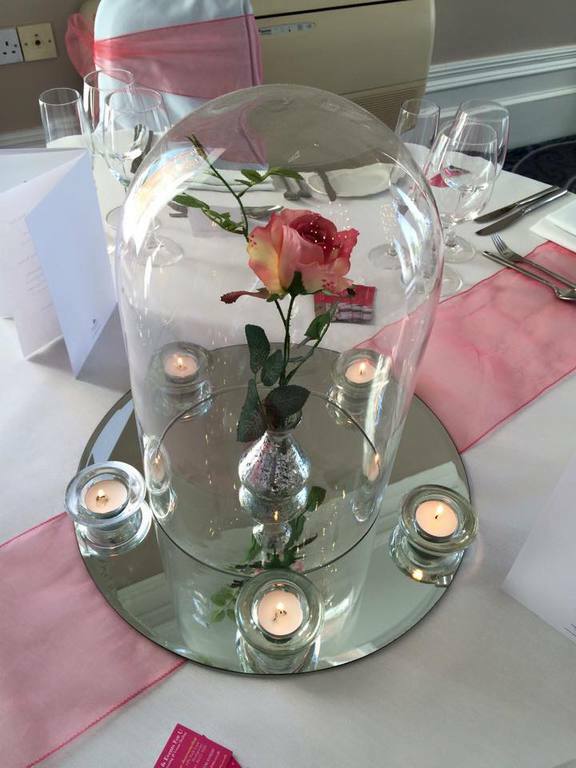 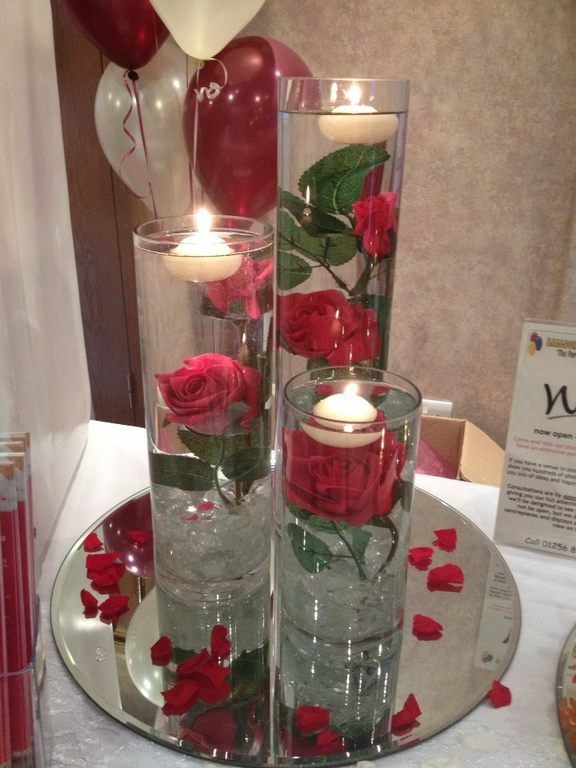 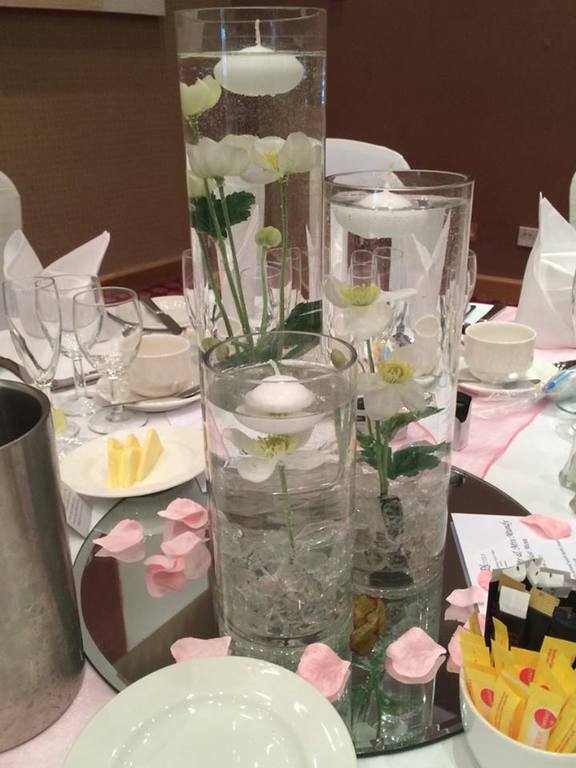 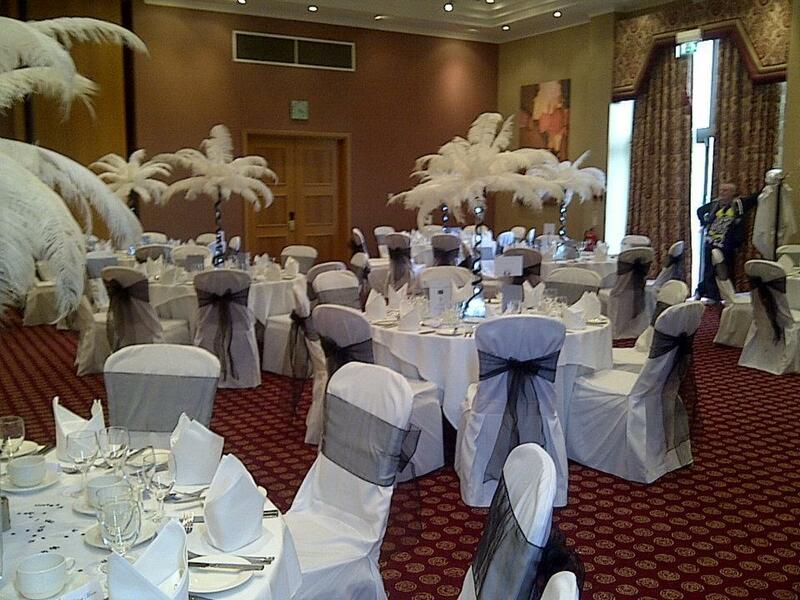 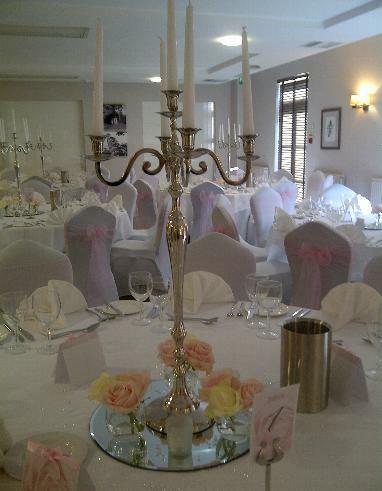 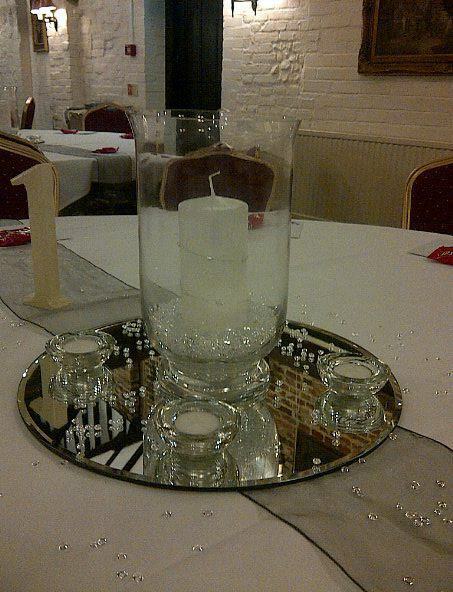 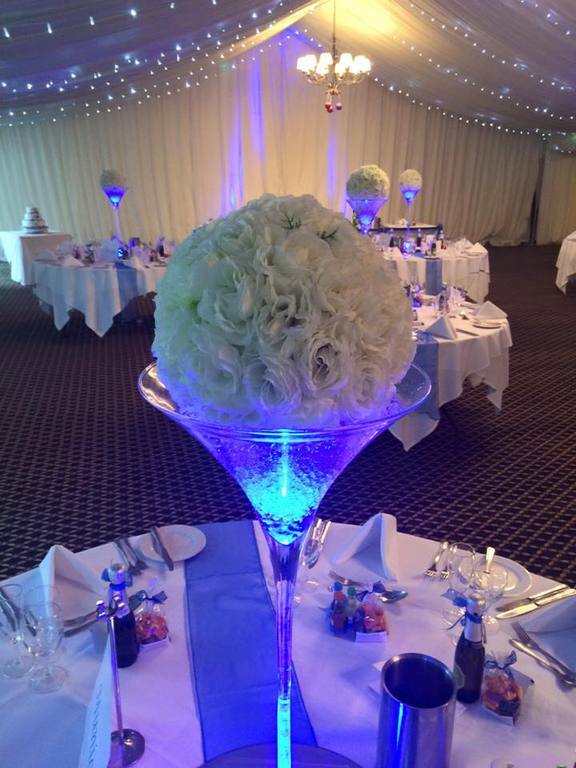 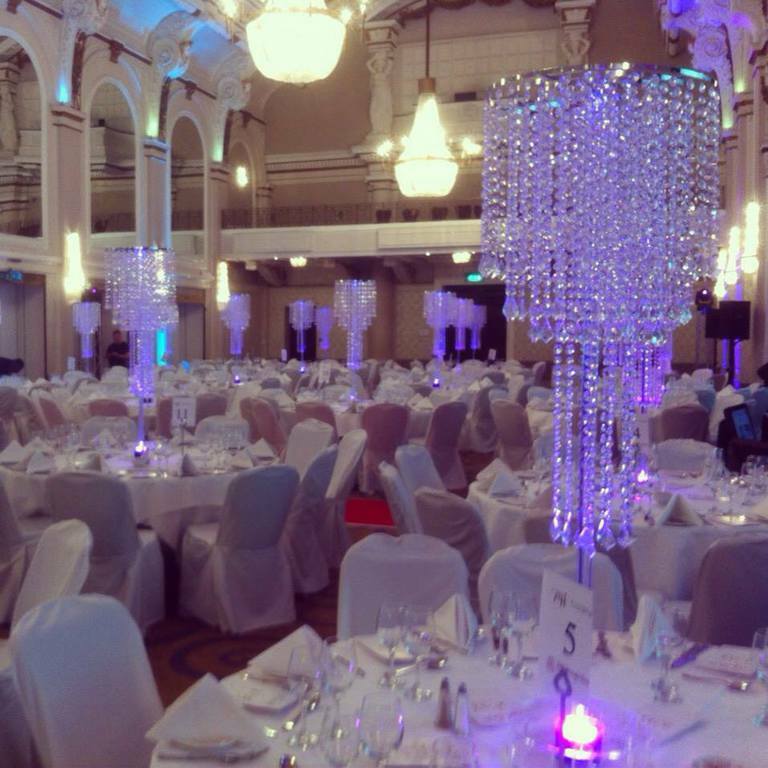 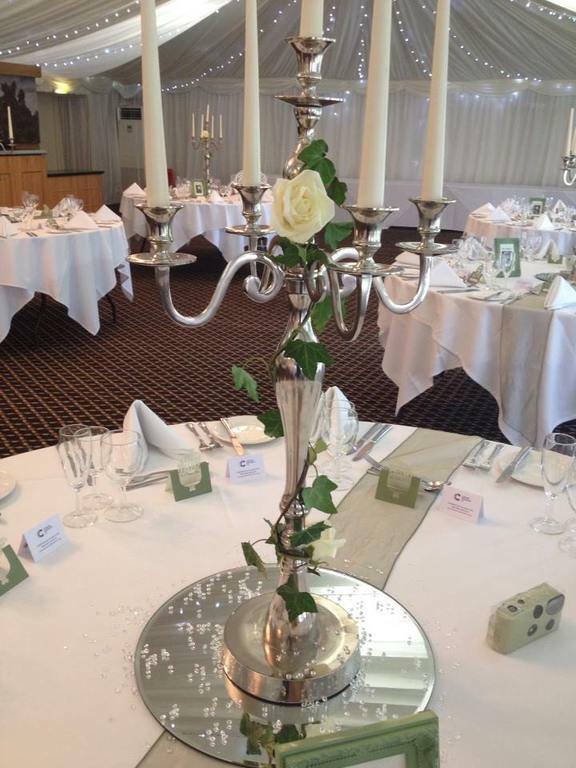 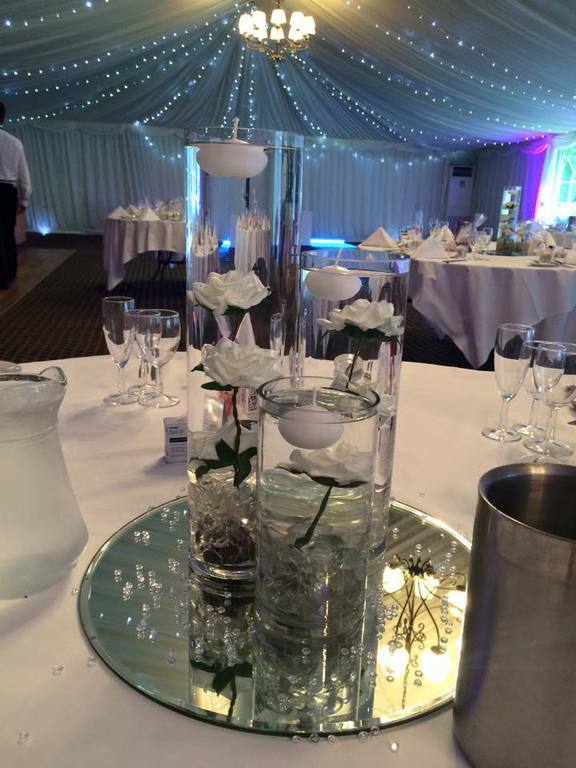 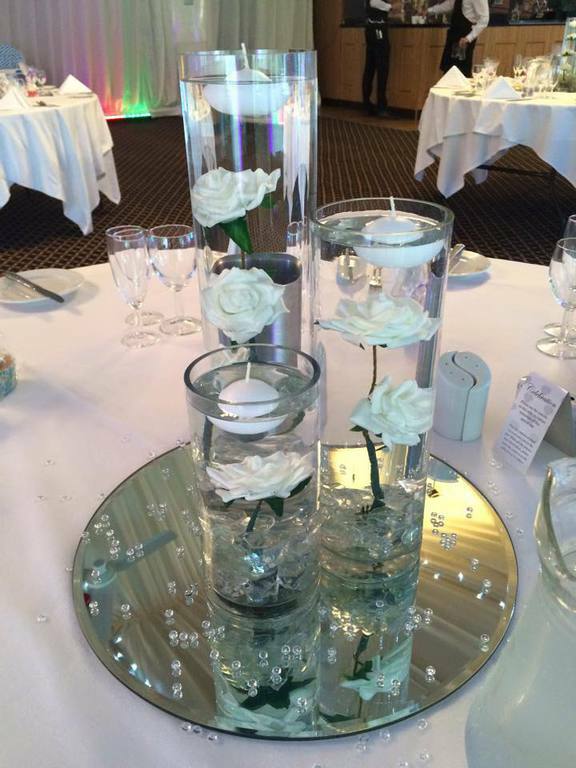 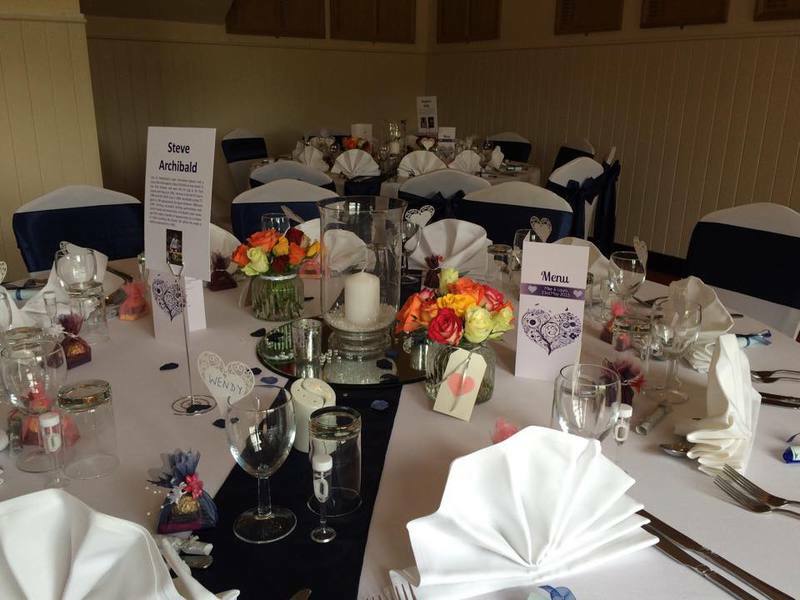 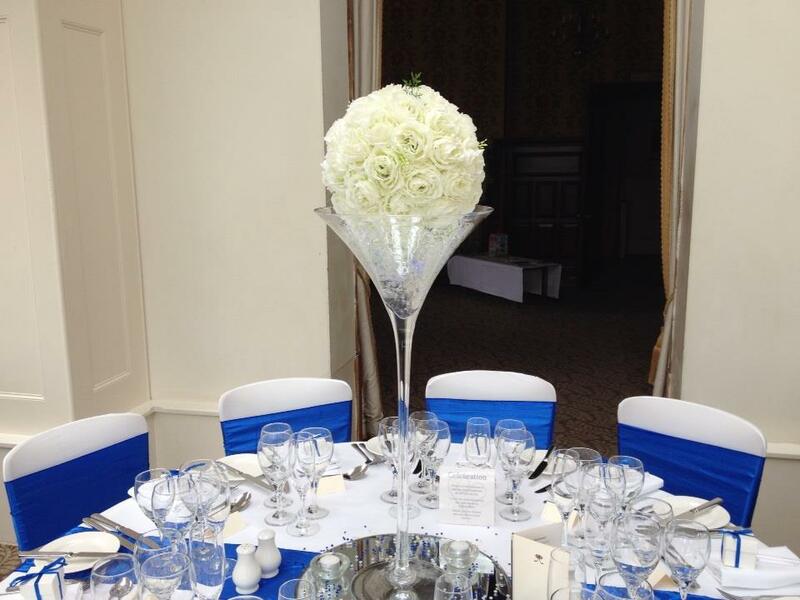 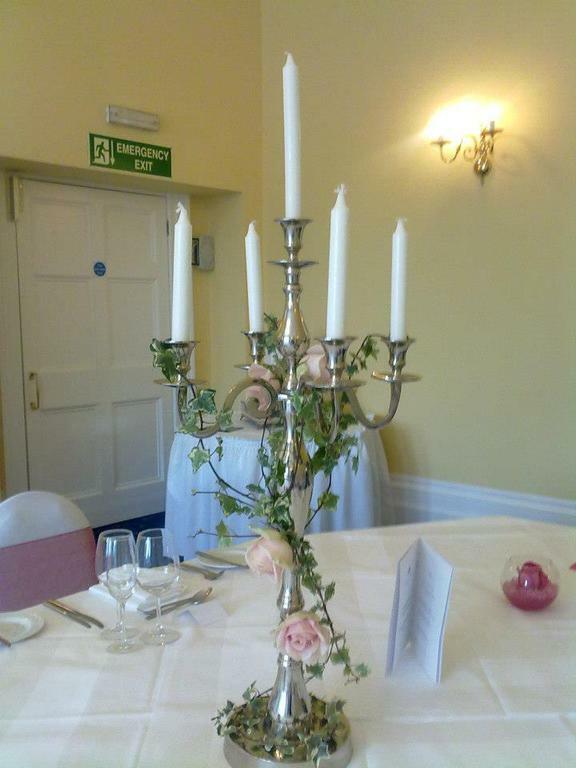 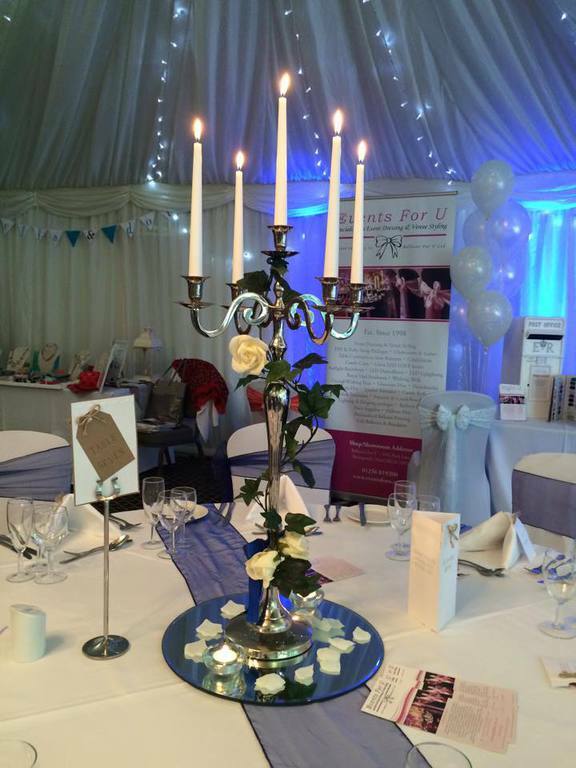 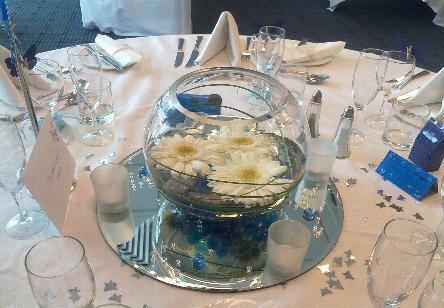 *Note this is just a small selection of the table centrepieces we can create. 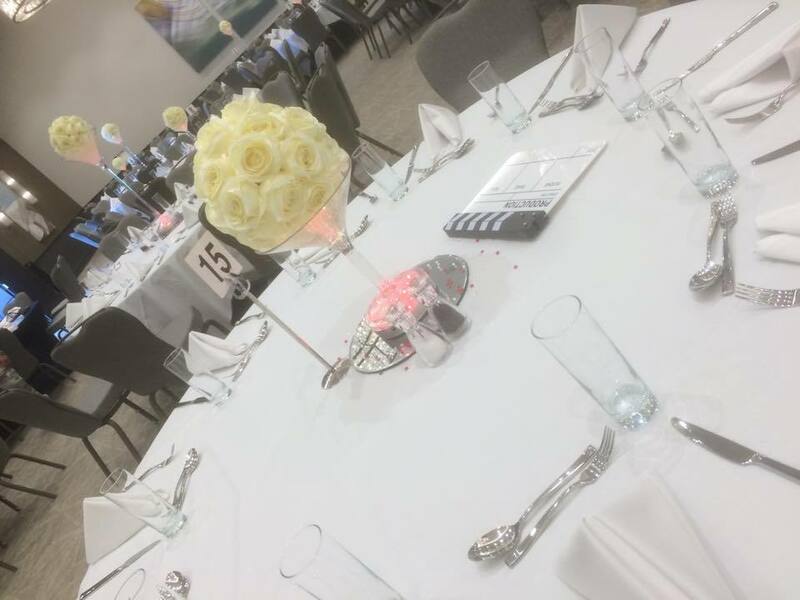 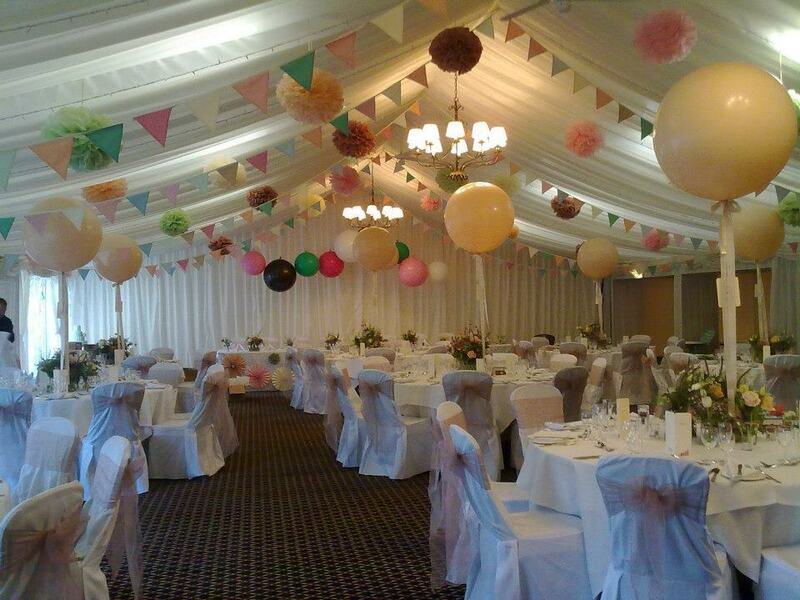 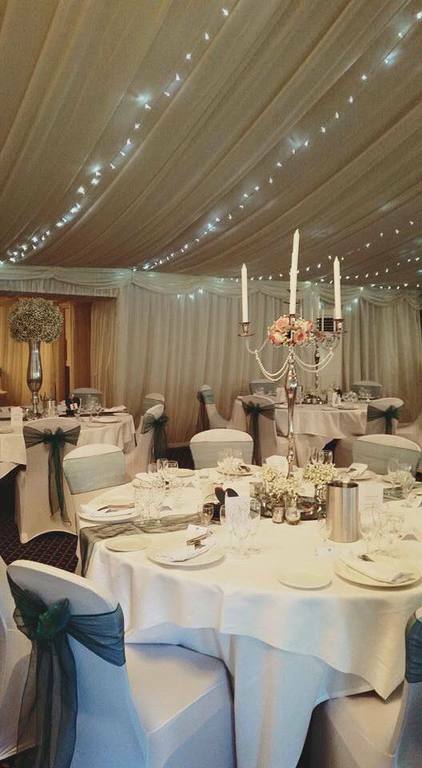 Our beautiful blossom trees stand 4ft and 5ft in height avilable in ivory or pink and are a beautiful option for the wow factor for your venue and certainly on trend right now. 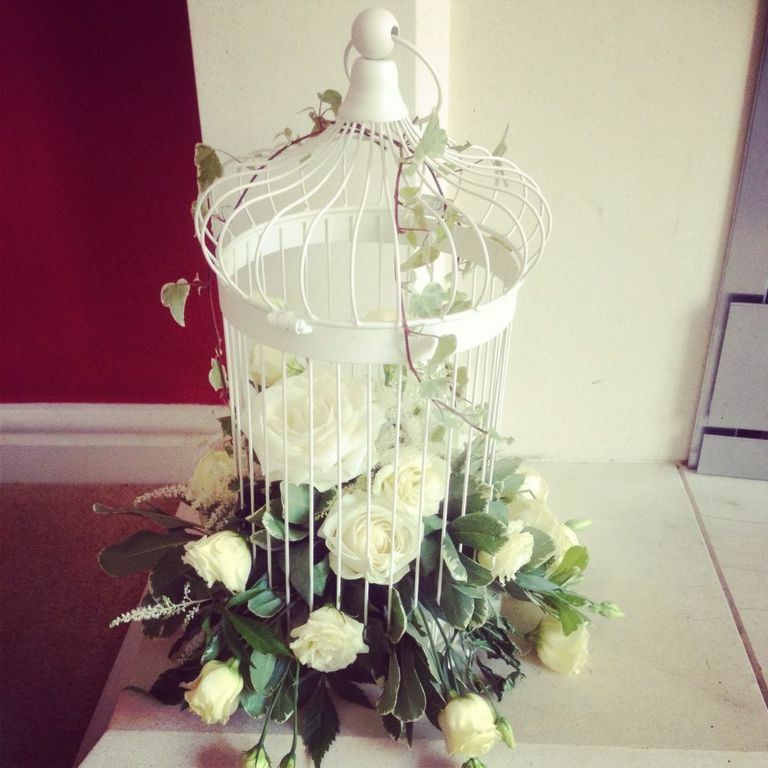 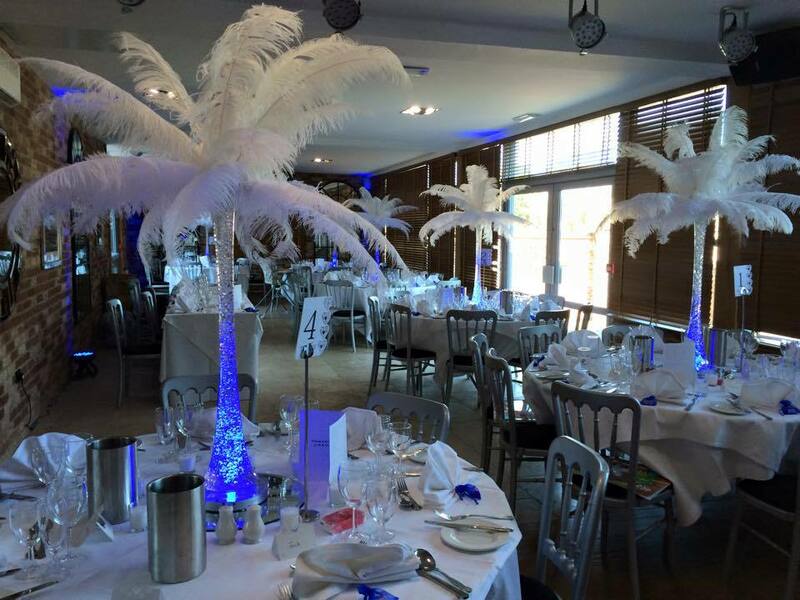 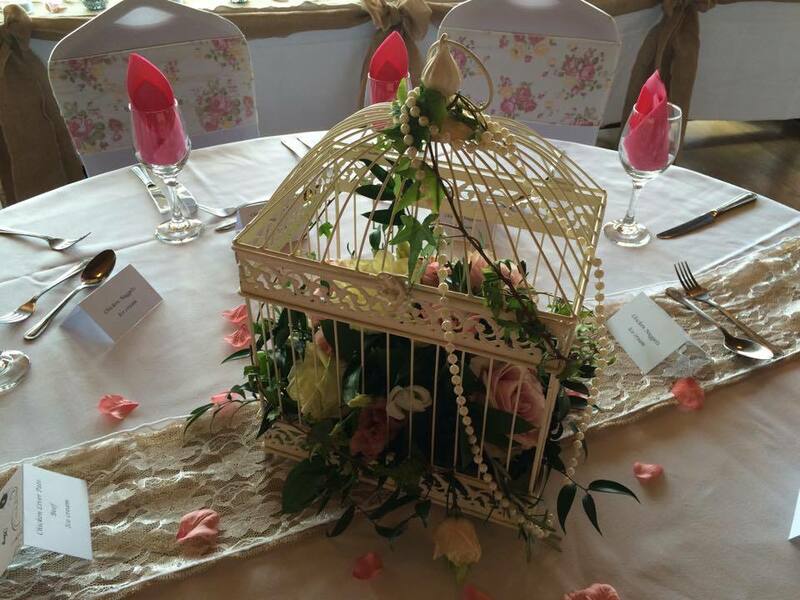 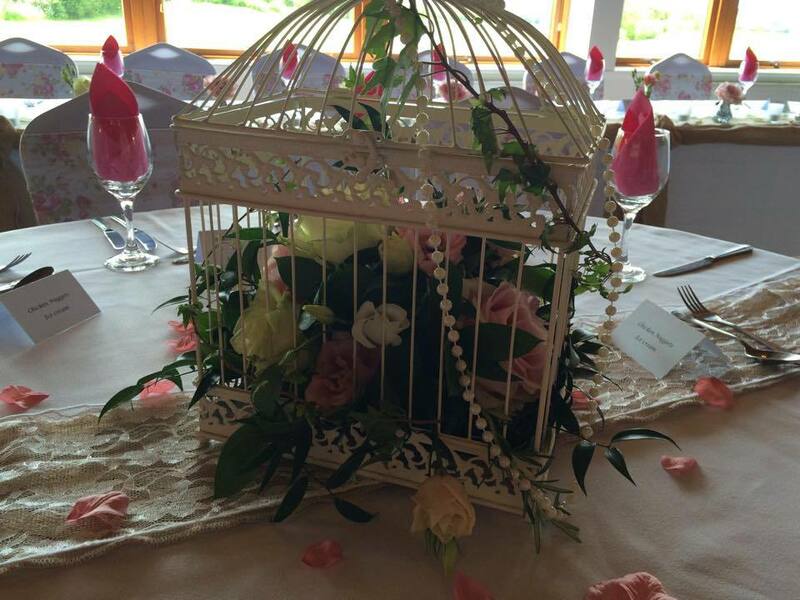 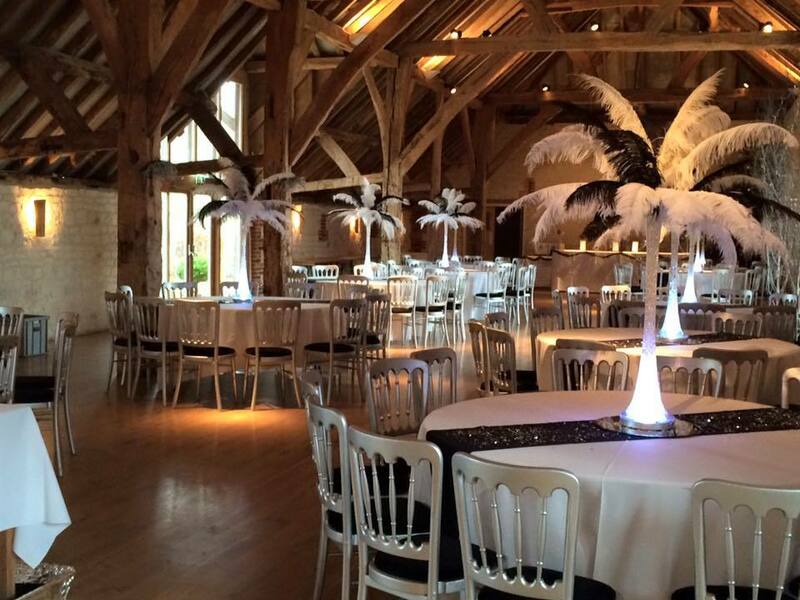 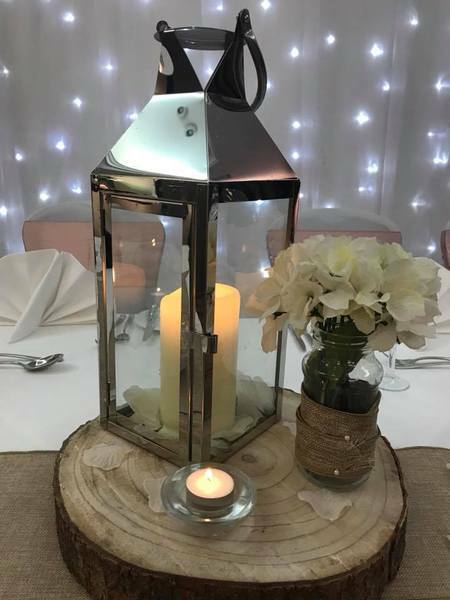 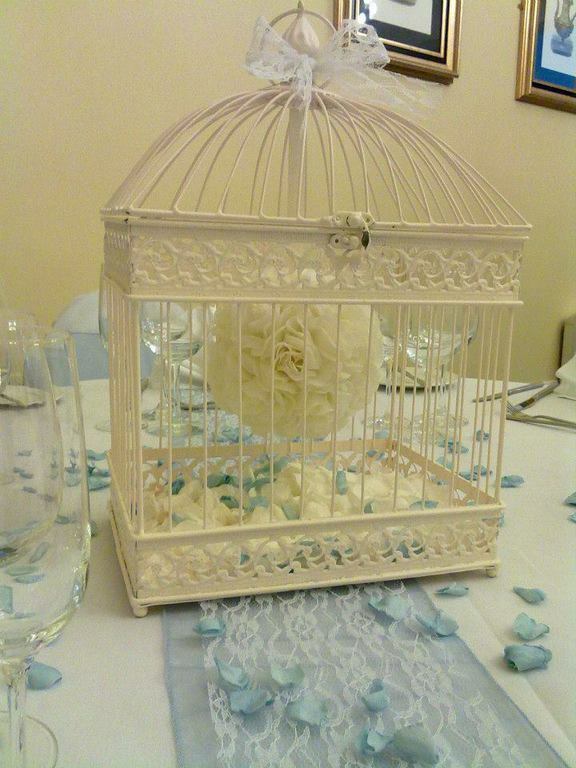 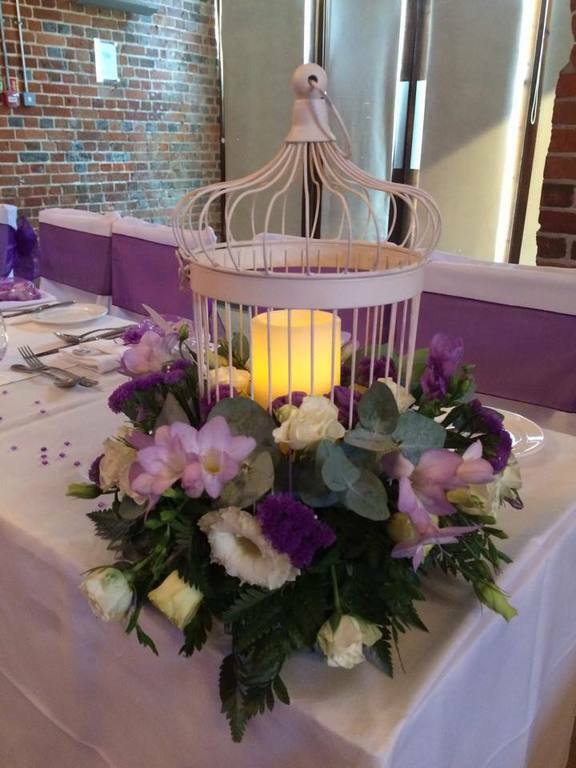 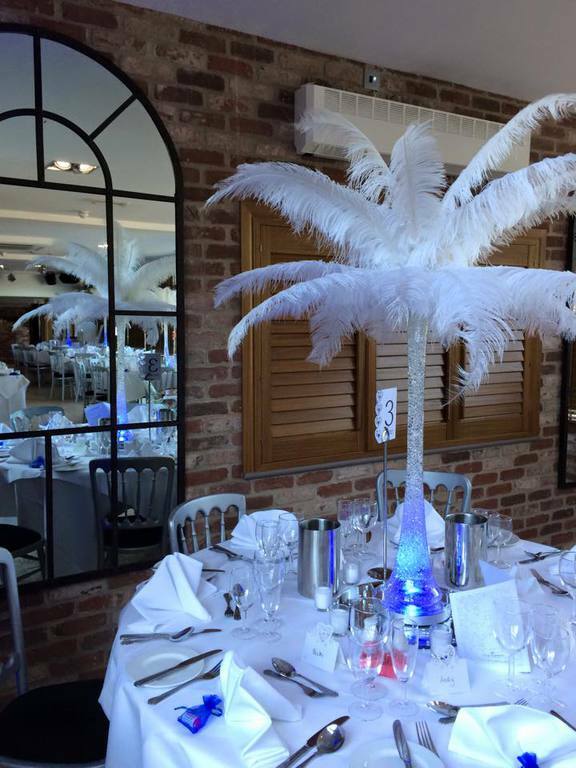 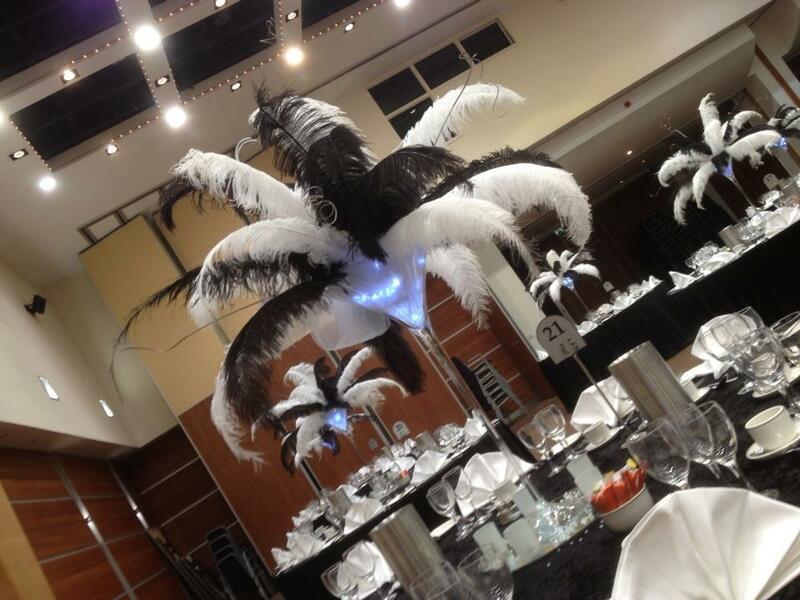 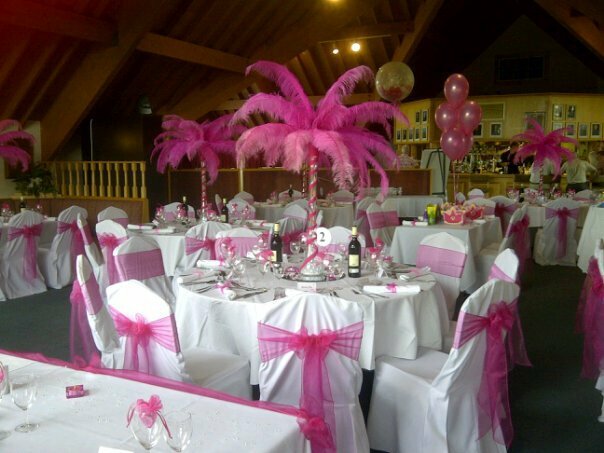 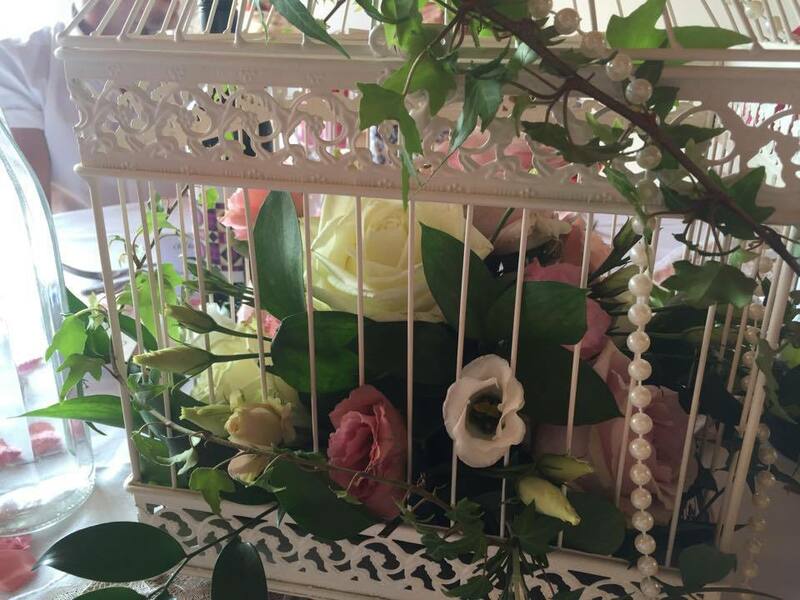 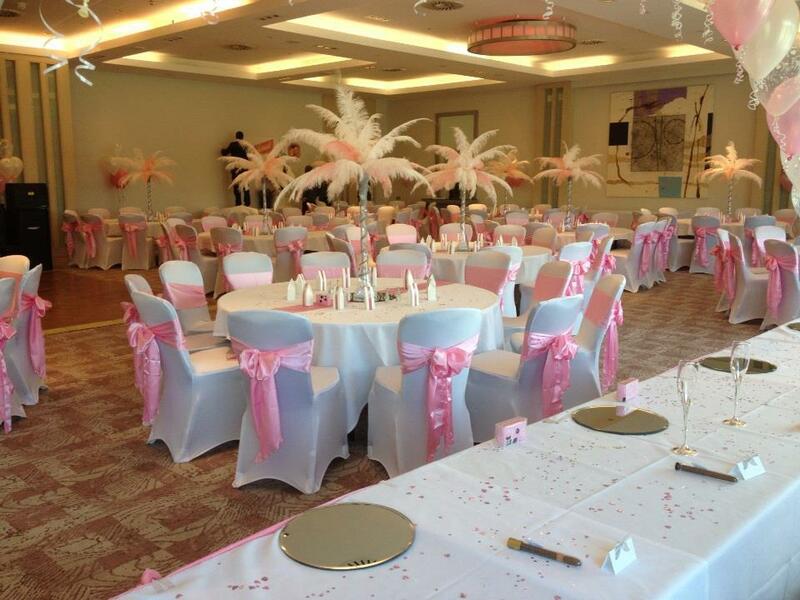 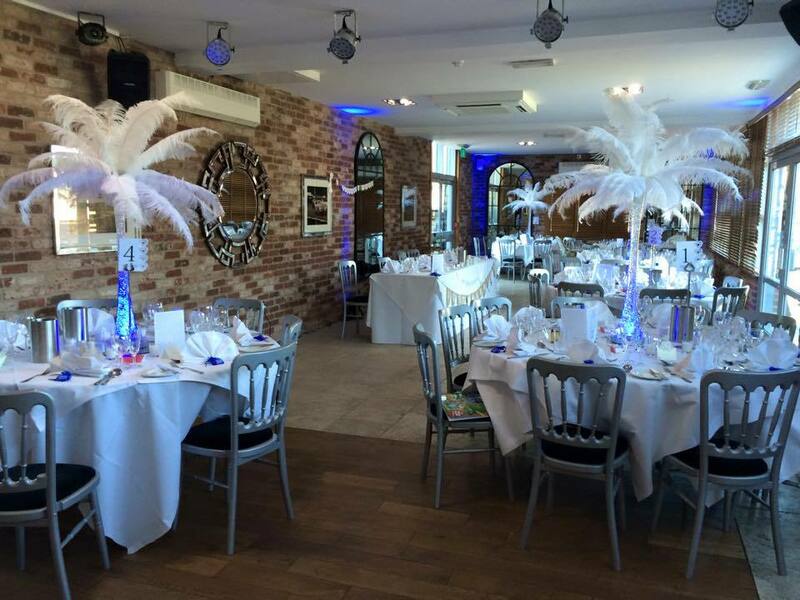 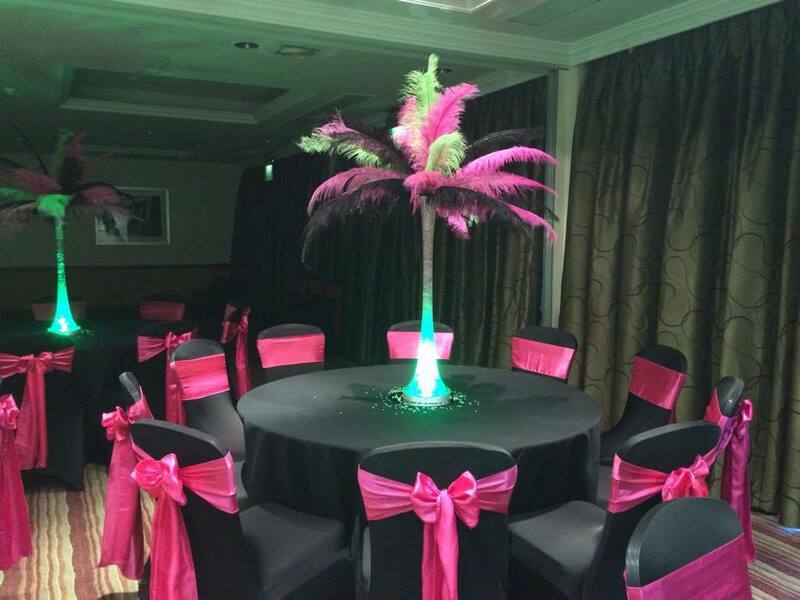 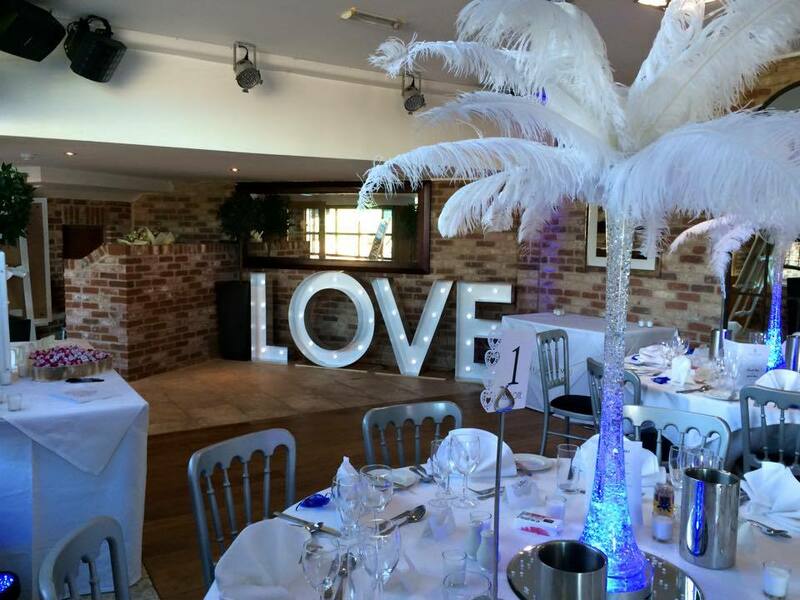 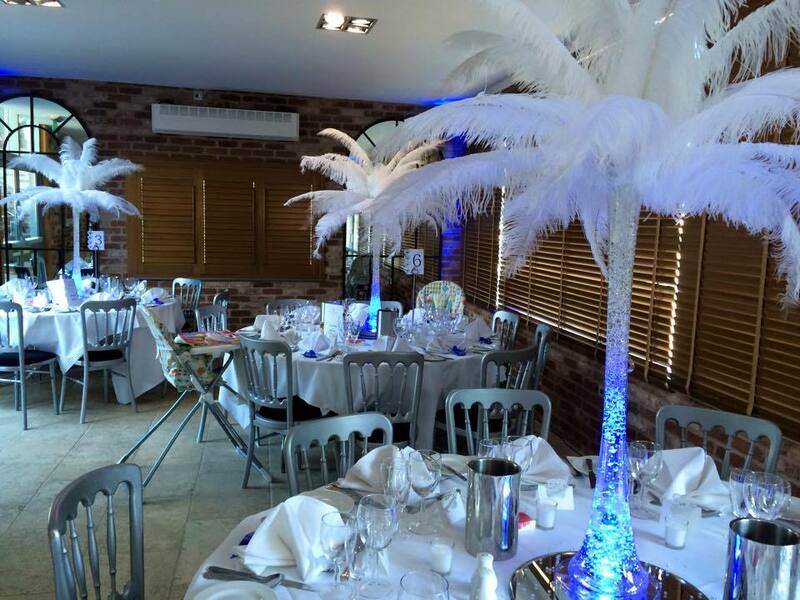 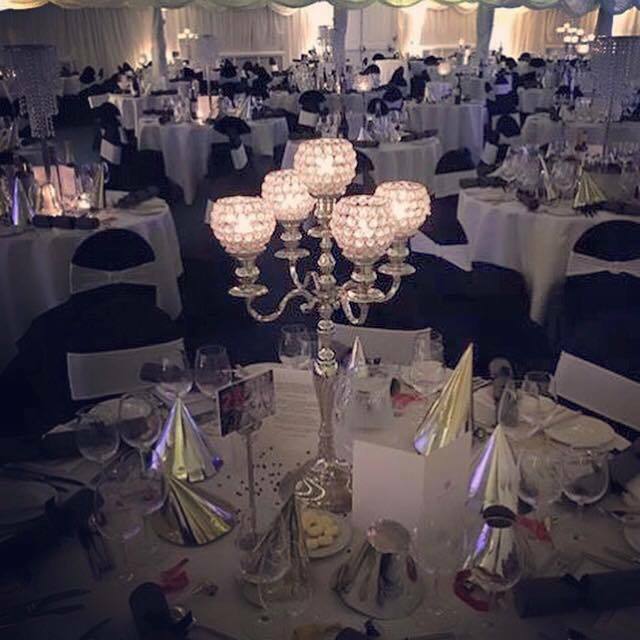 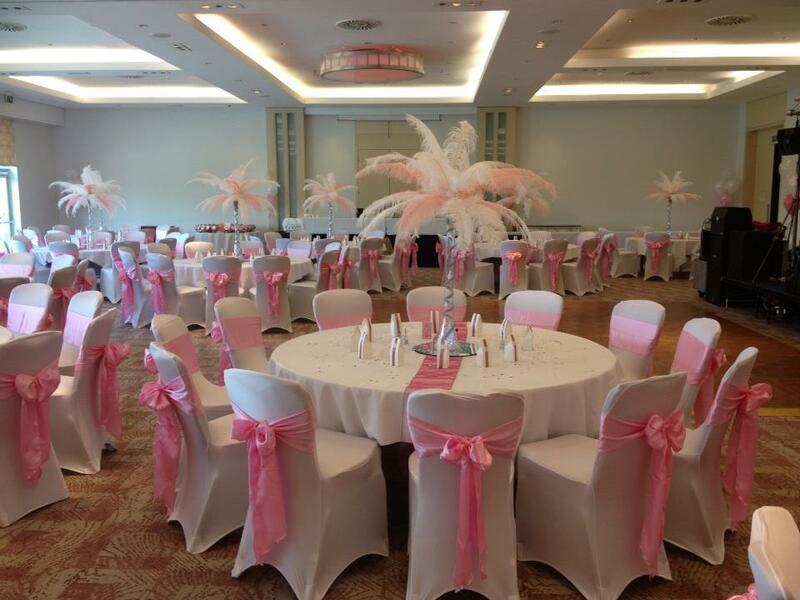 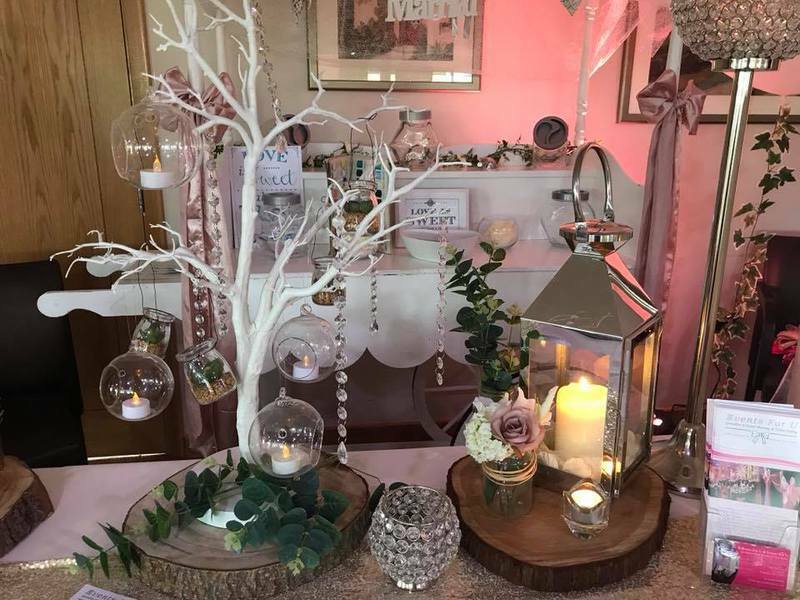 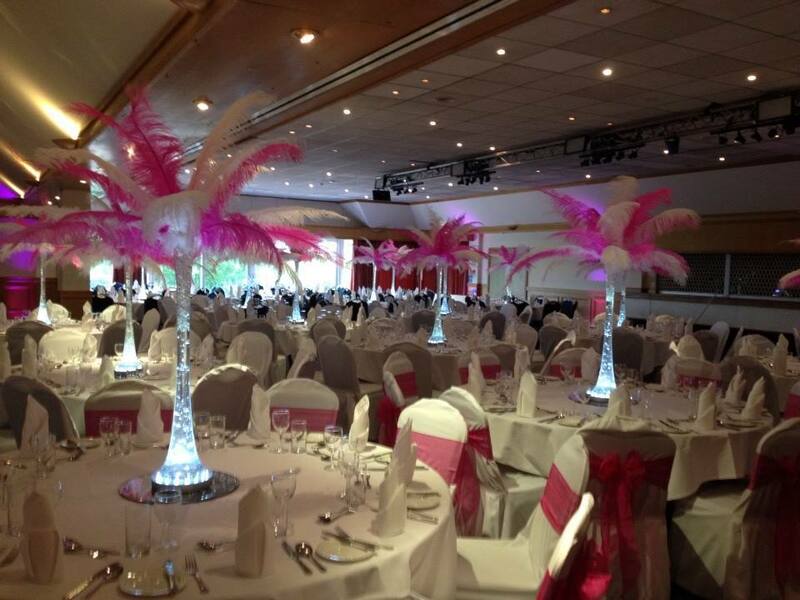 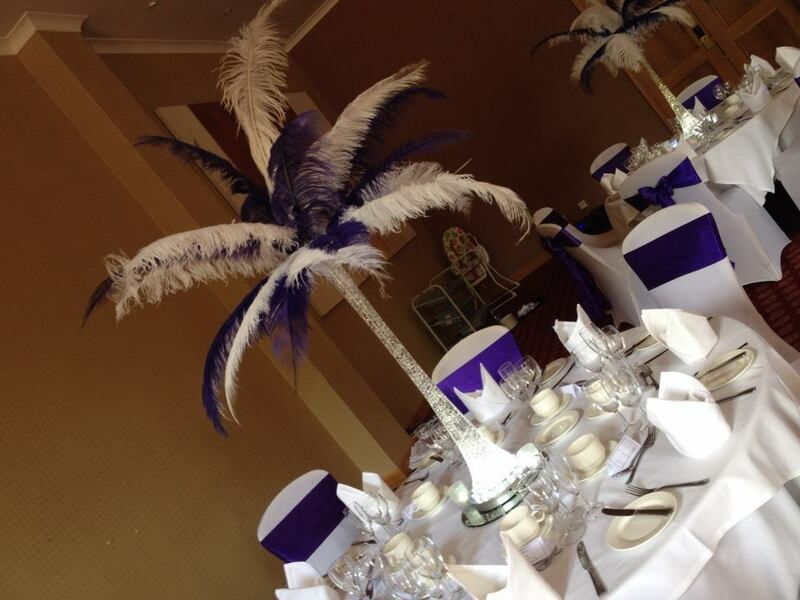 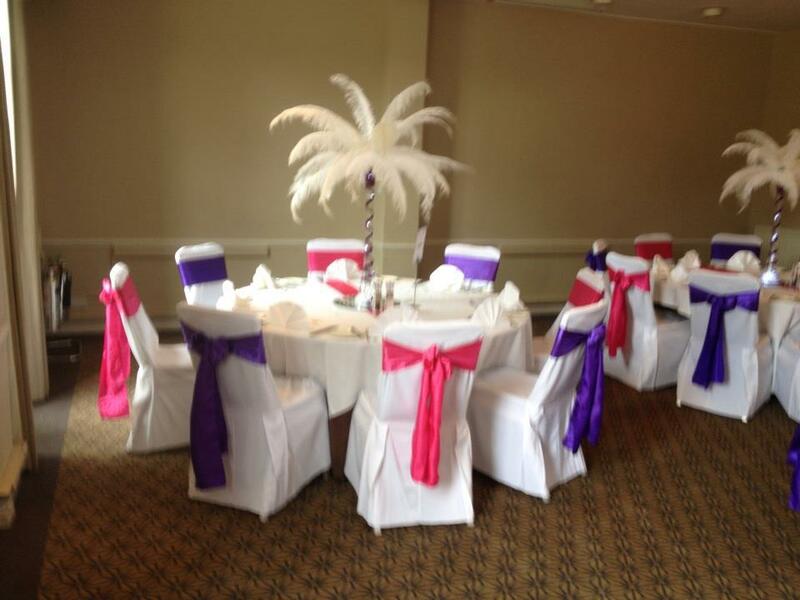 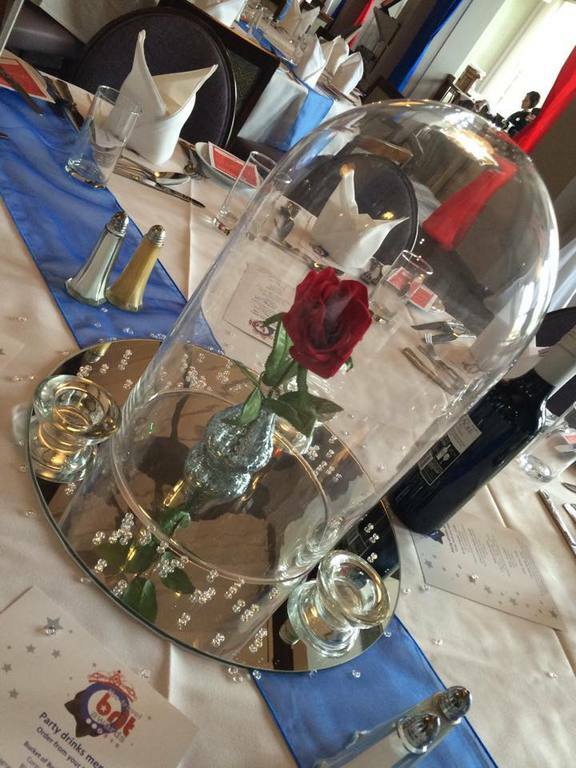 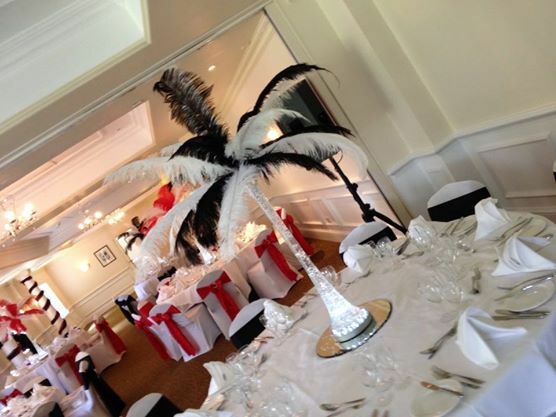 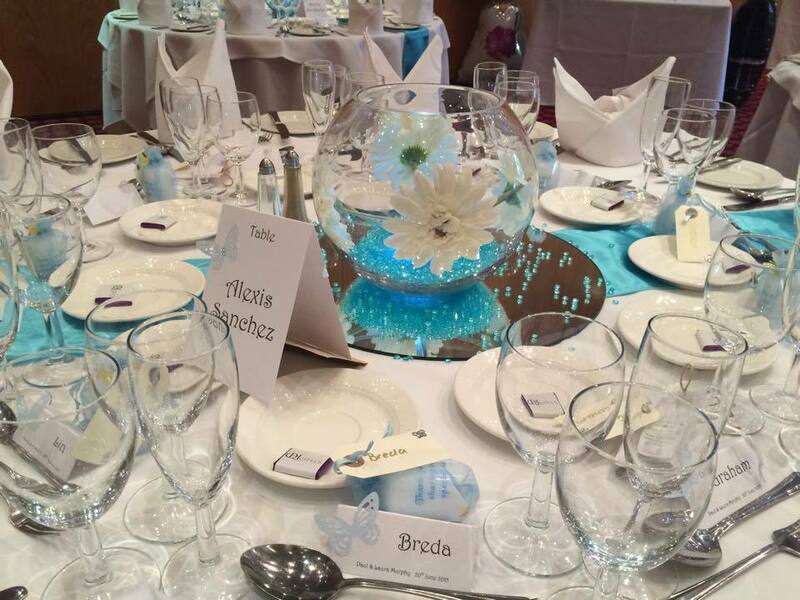 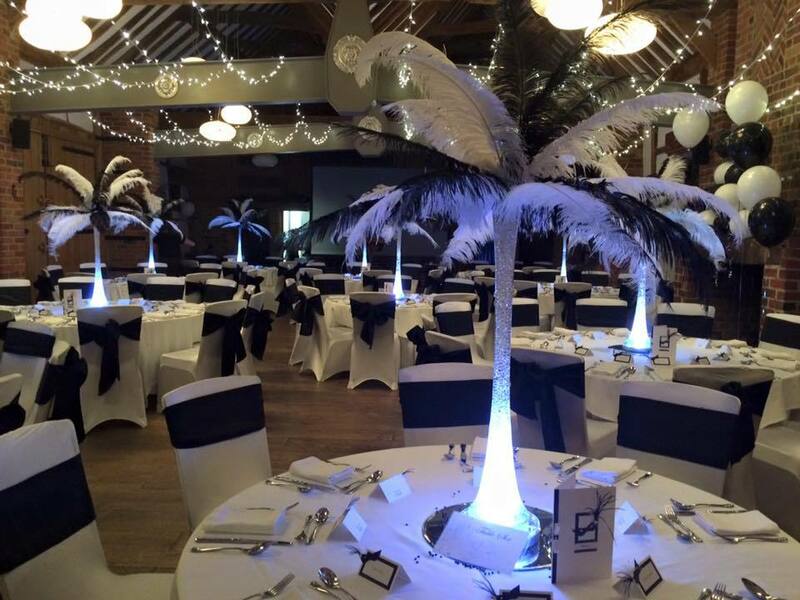 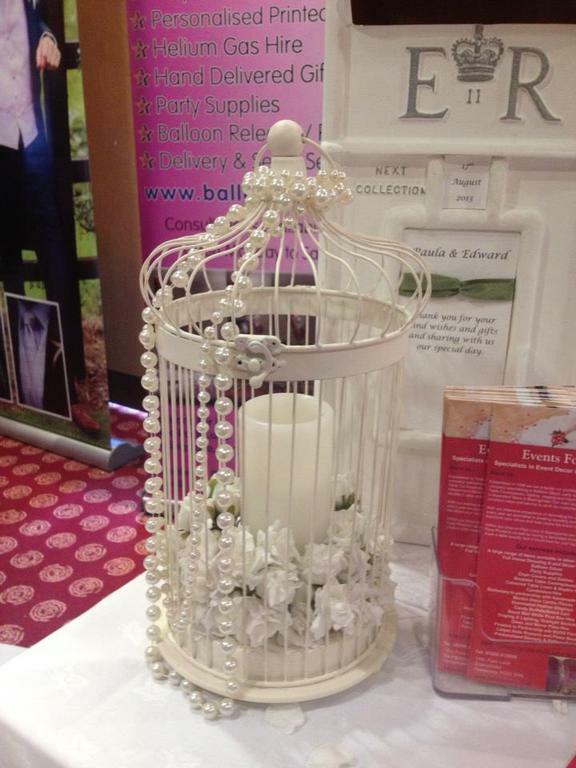 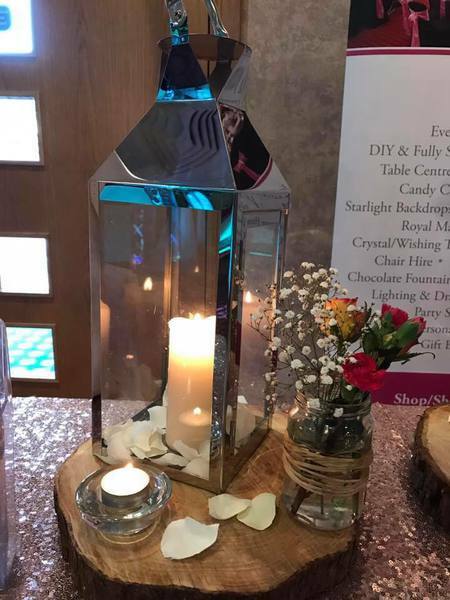 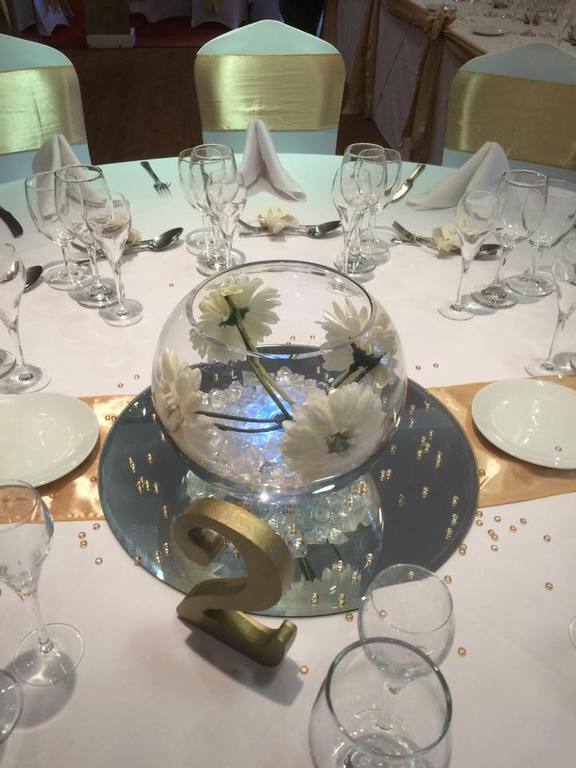 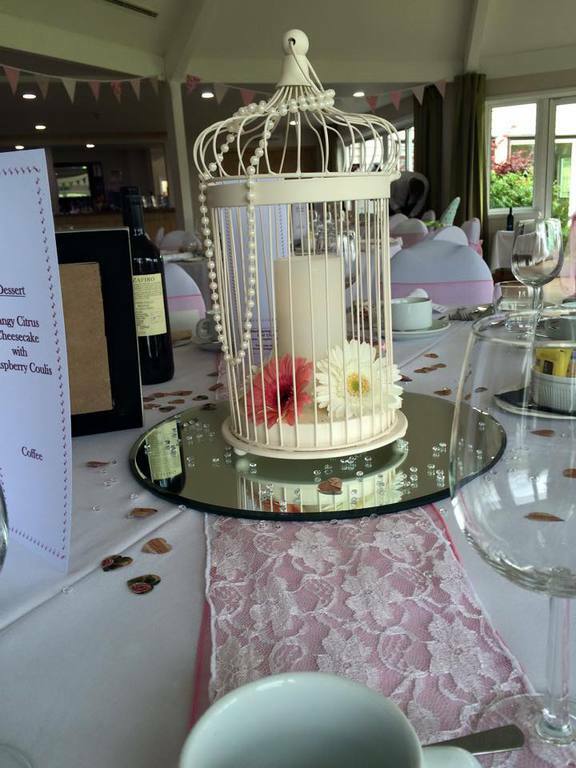 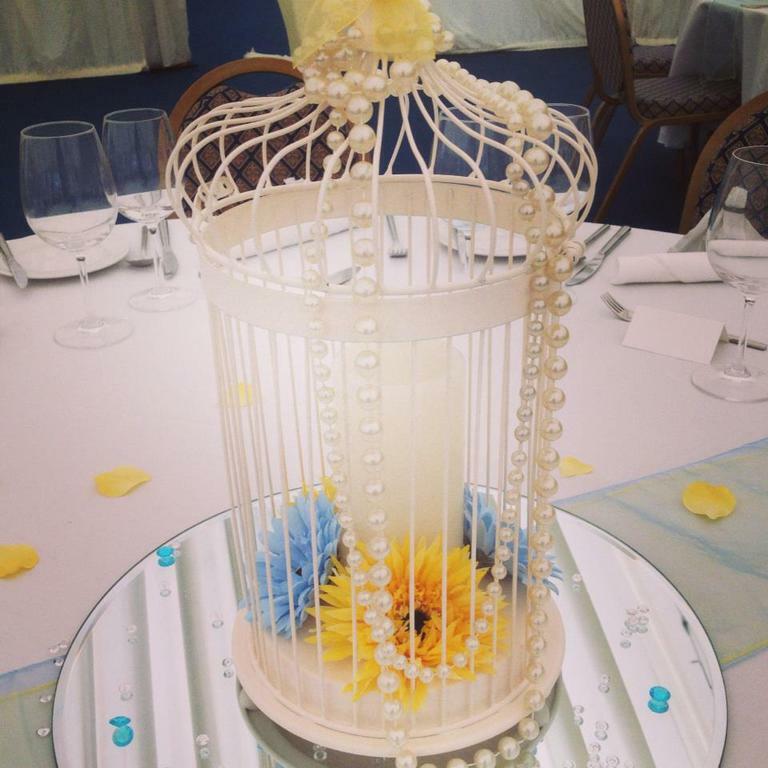 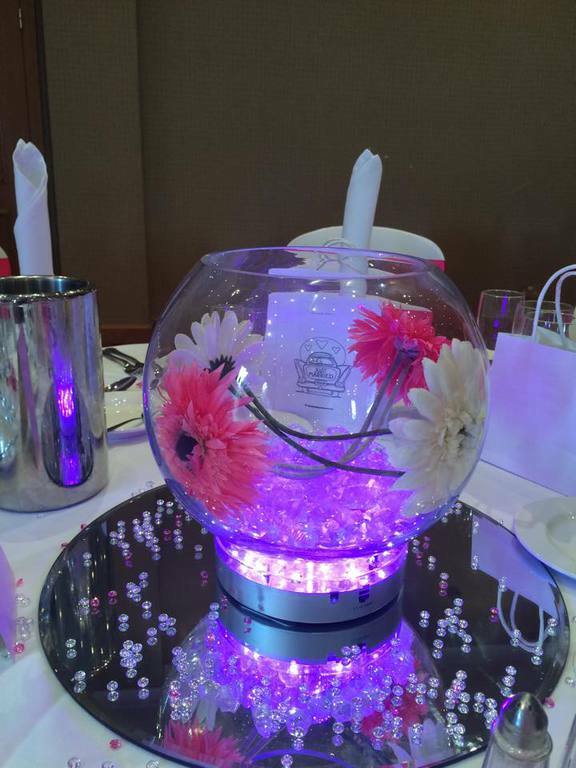 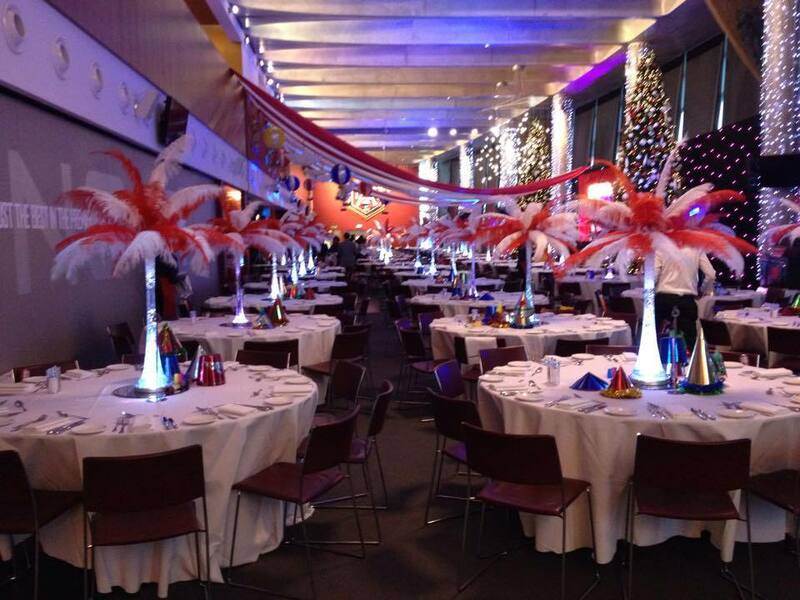 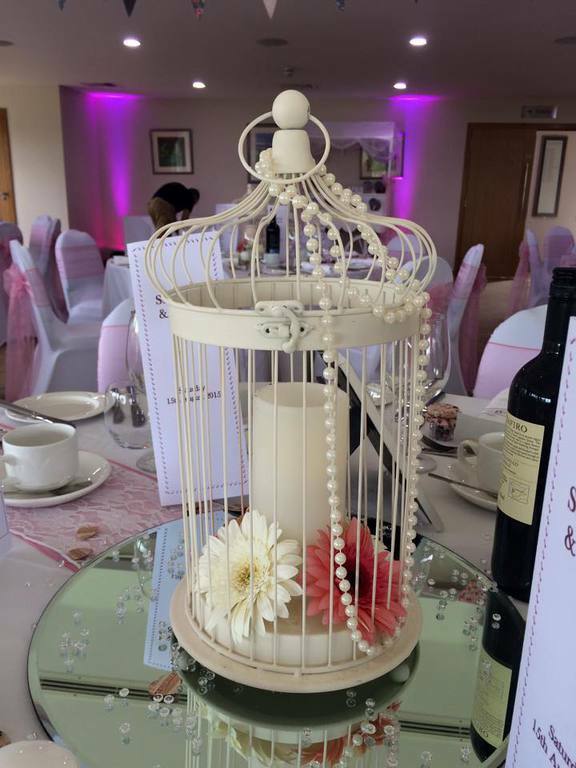 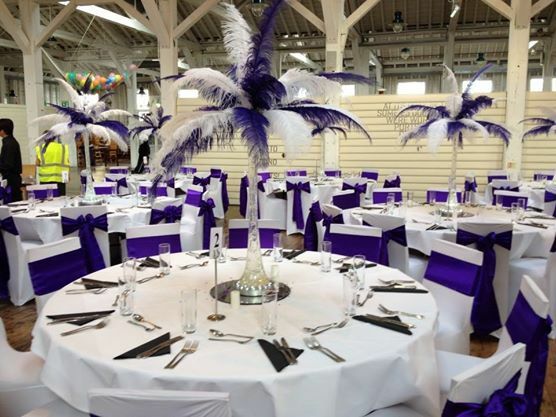 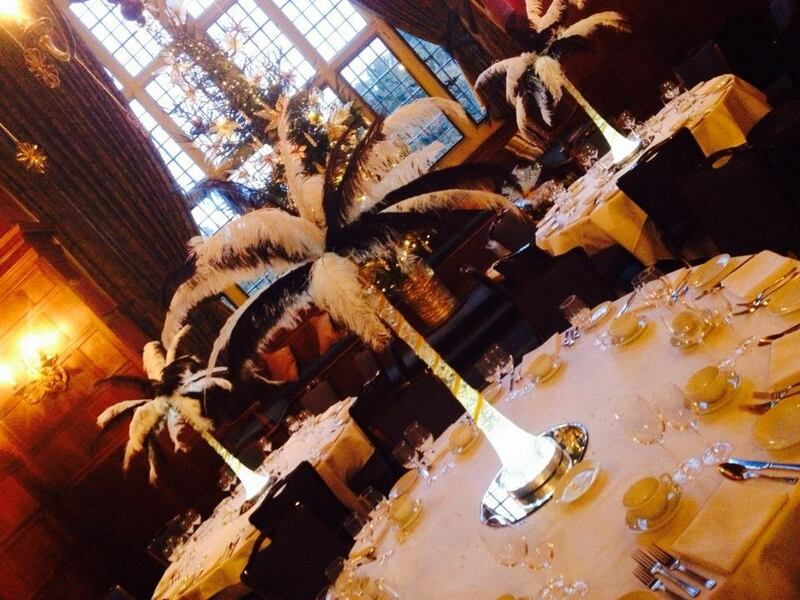 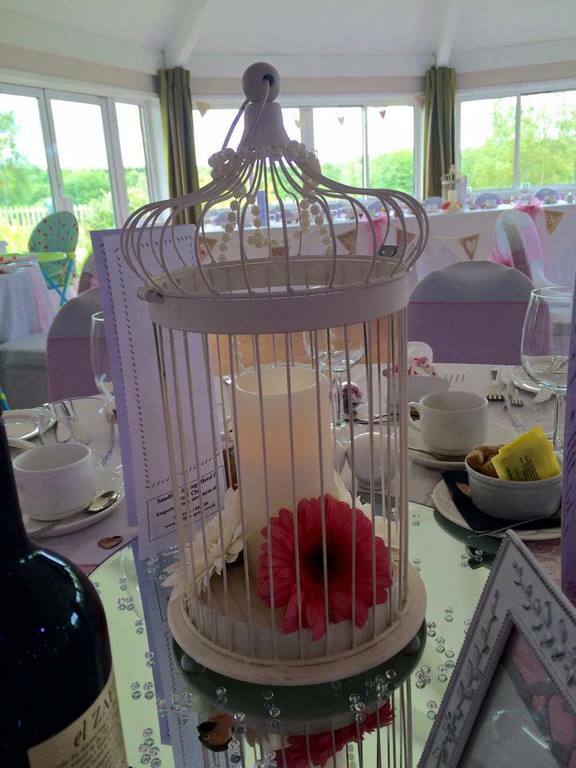 All displays are placed on a round mirror base or wood slice and finished with petals to colour co-ordinate and additional items can be added like hanging baubles, fairylights etc..
Our Feather Fantasy Centrepieces are a stunning option to compliment our other products. 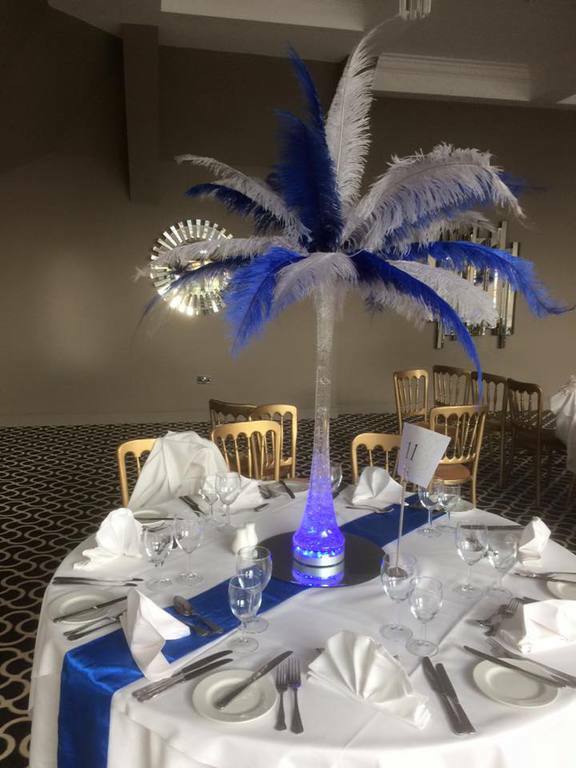 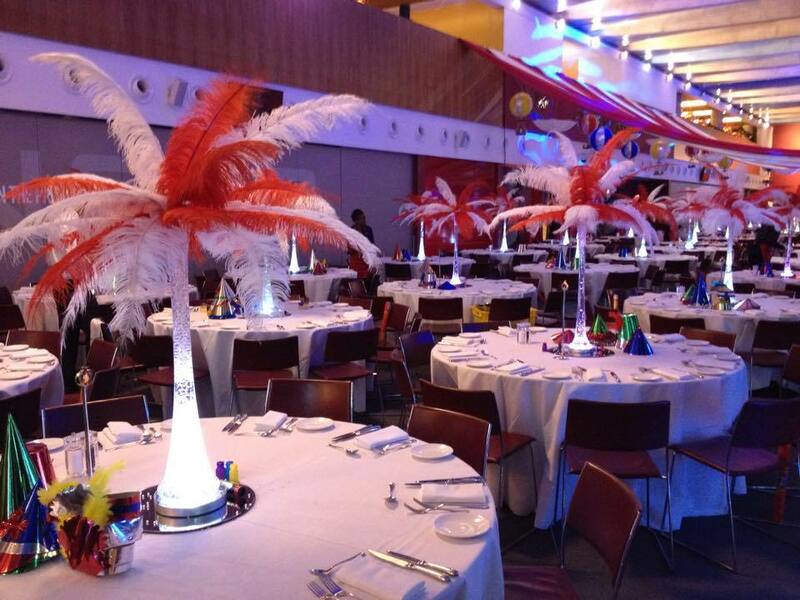 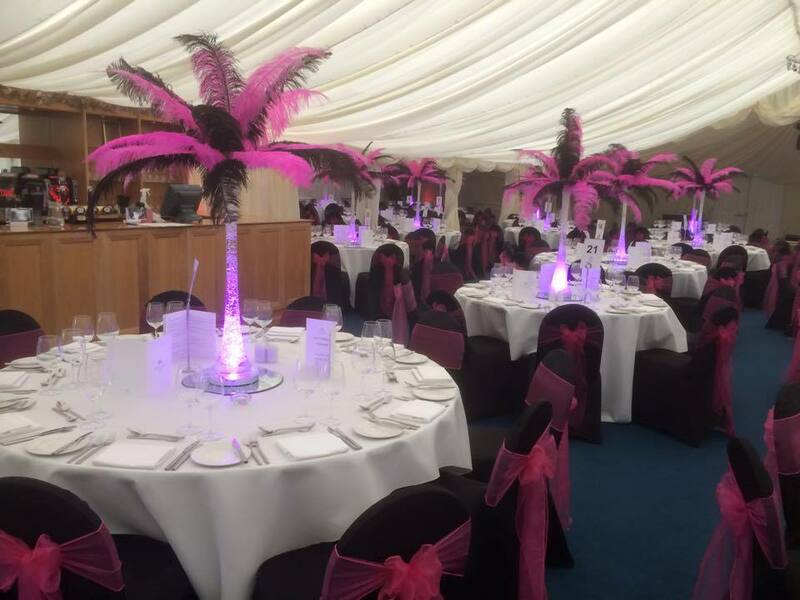 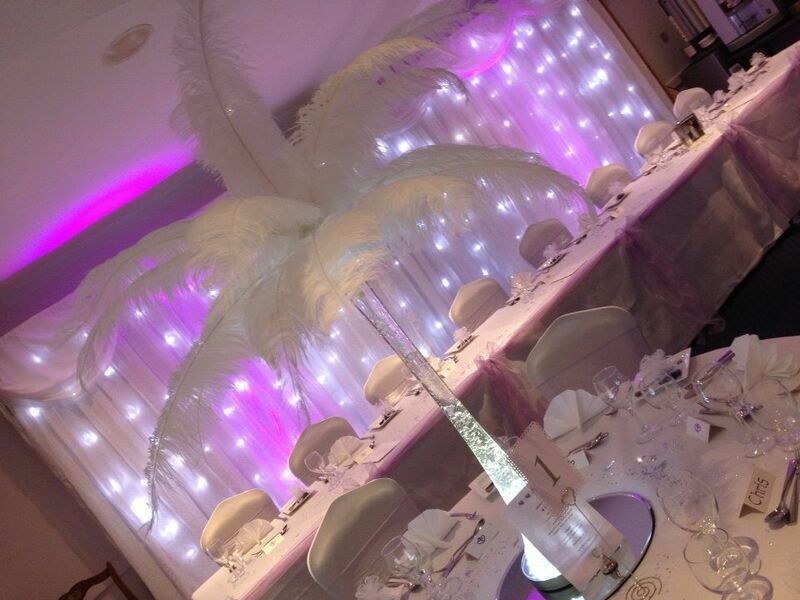 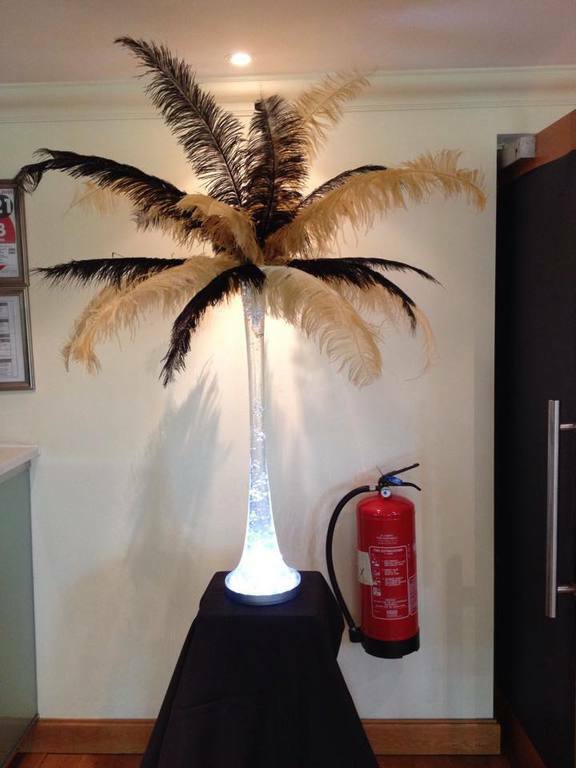 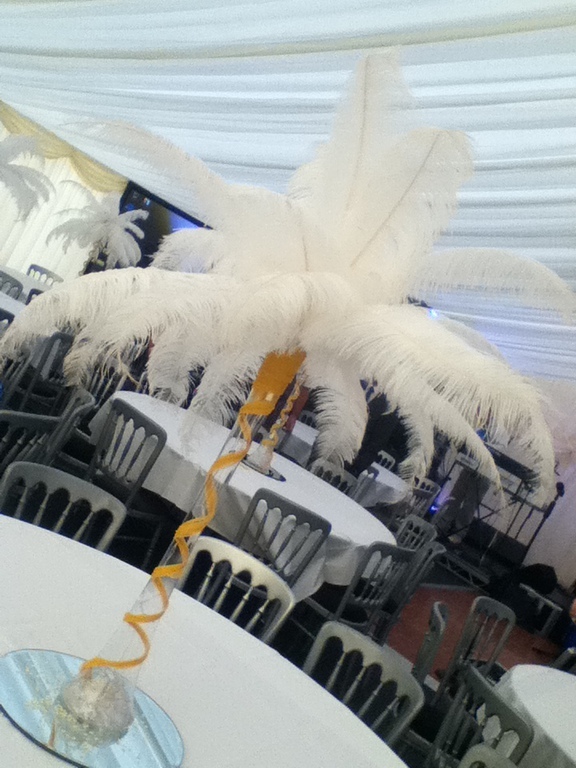 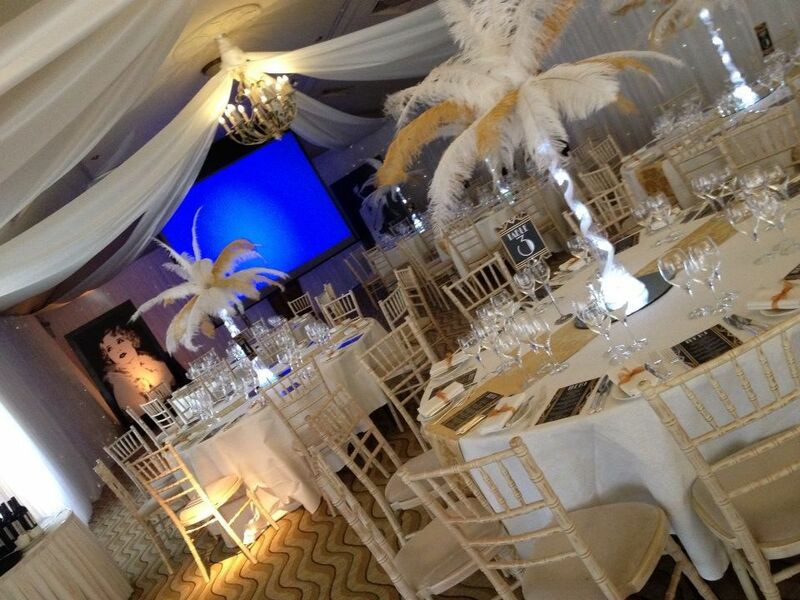 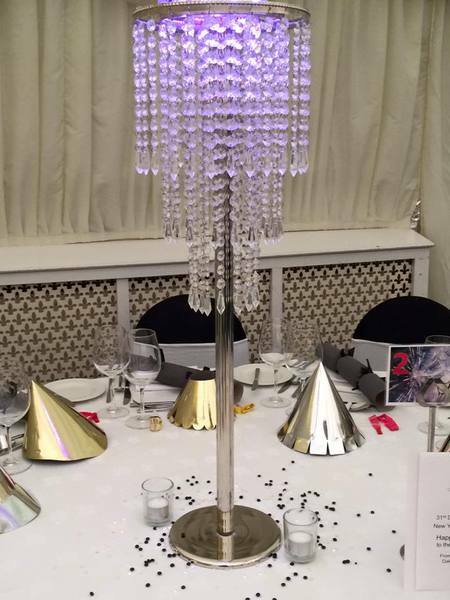 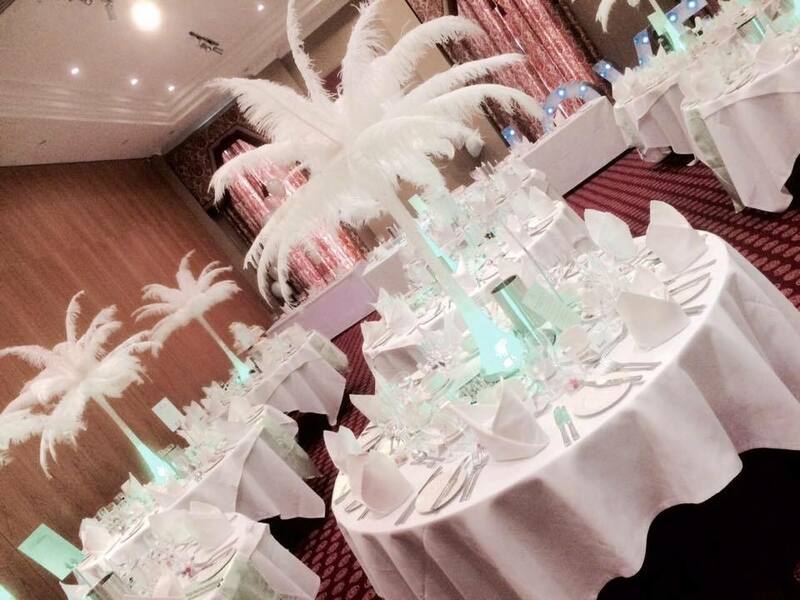 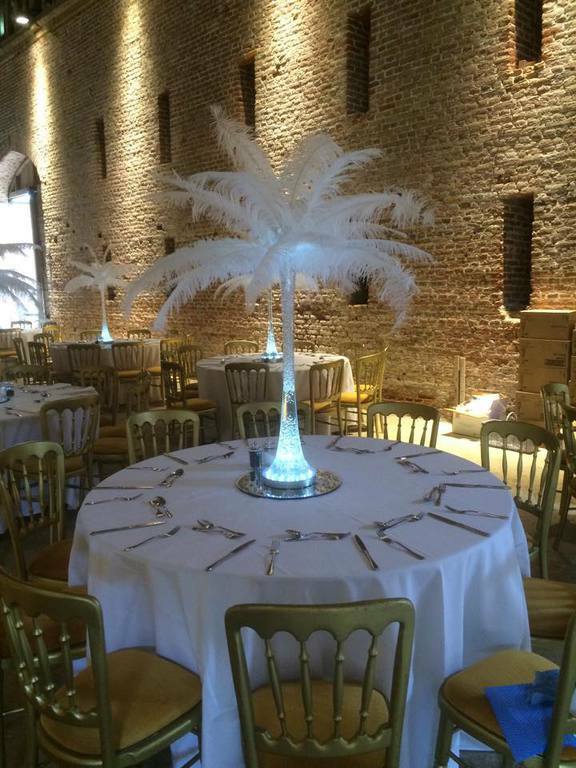 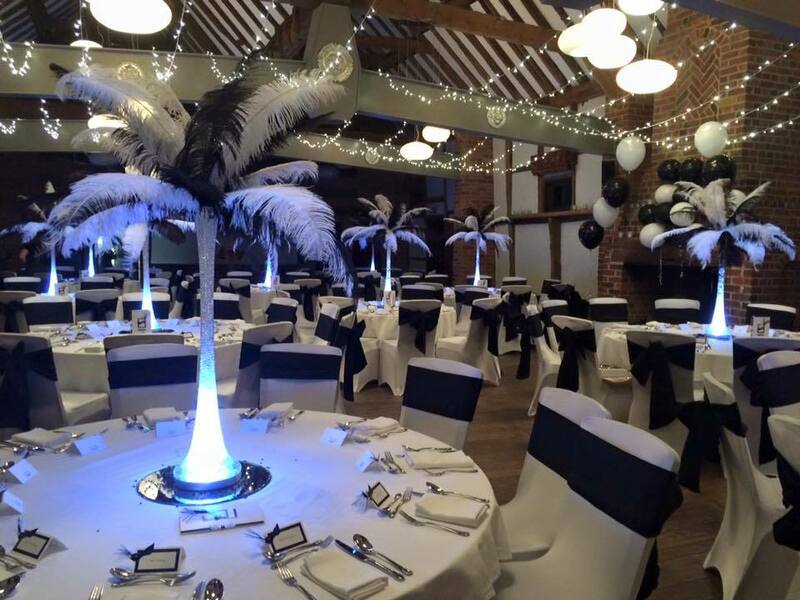 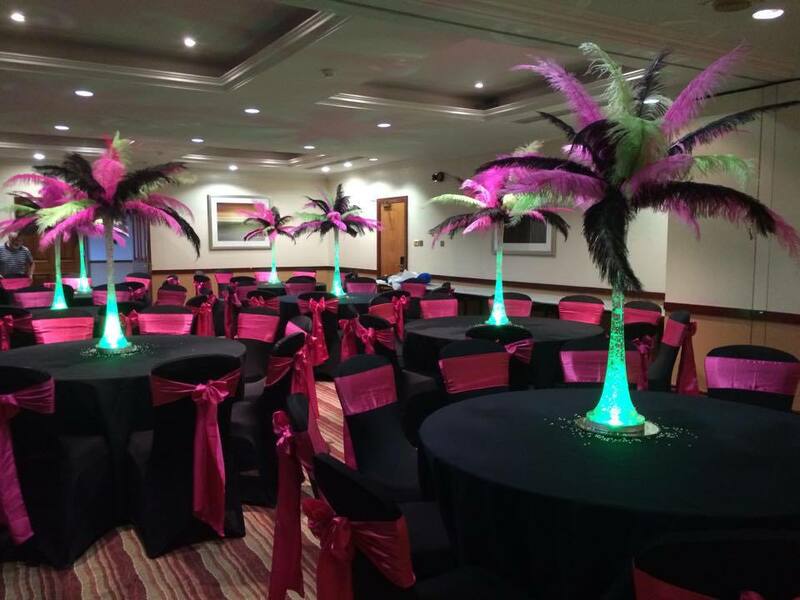 Each centrepiece displays 22 large ostrich feathers with the vase internally lit with the use of a colour changing LED light base. 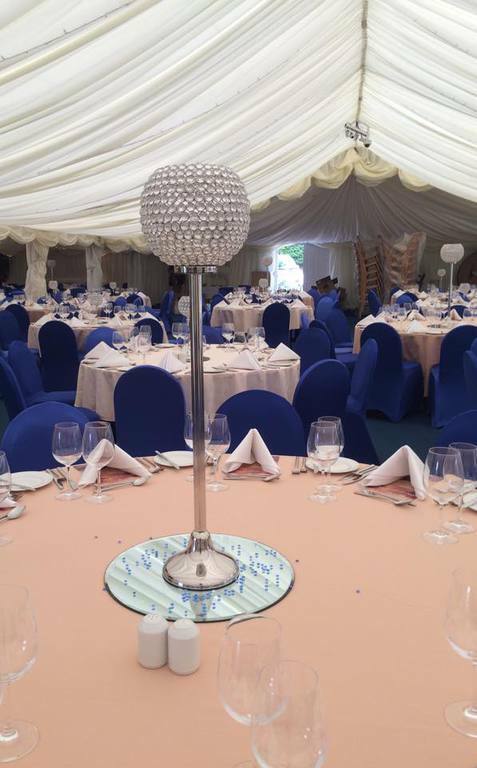 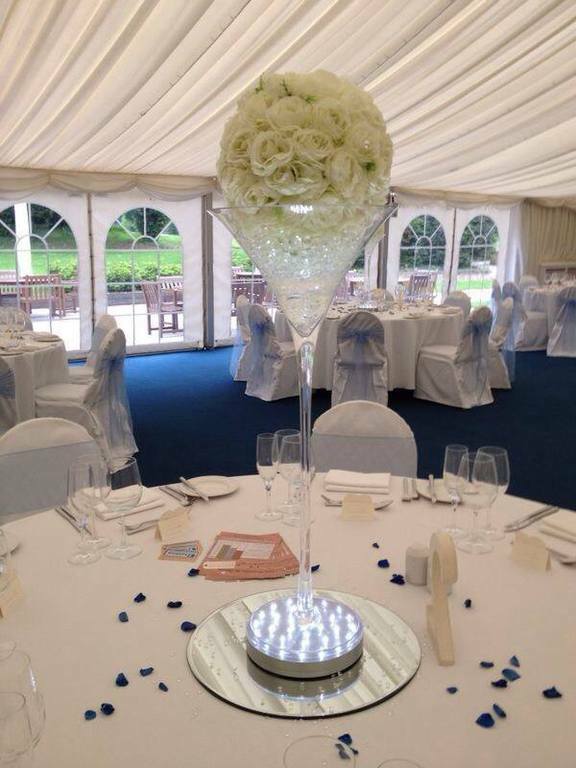 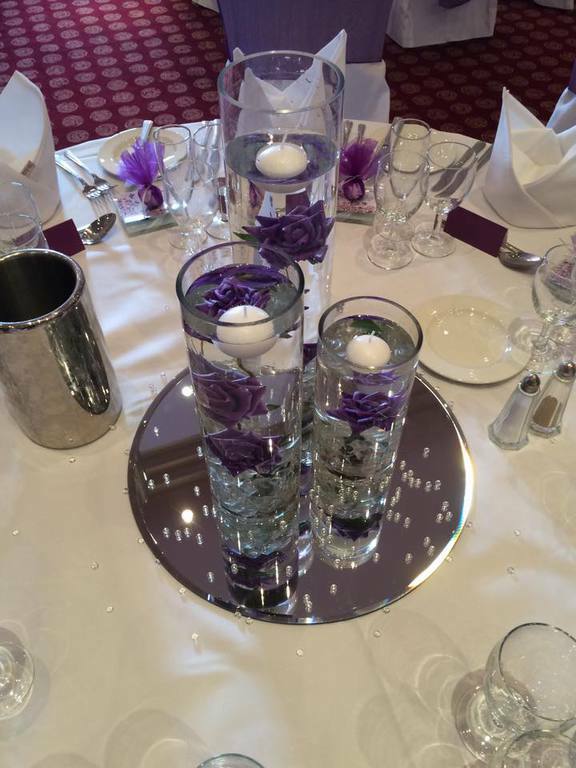 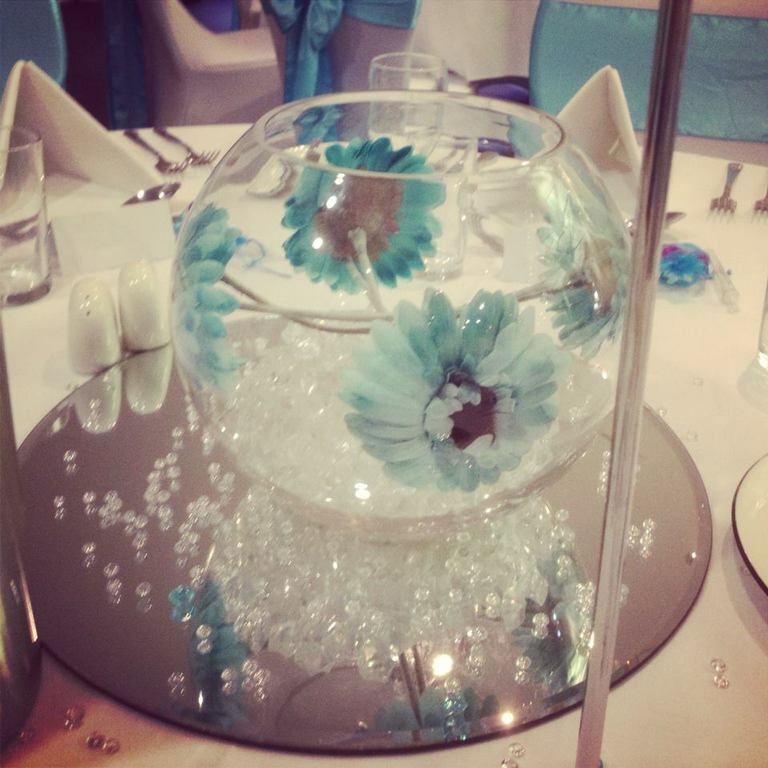 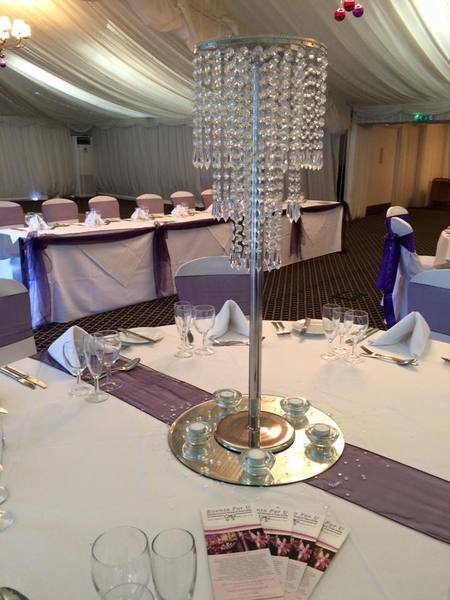 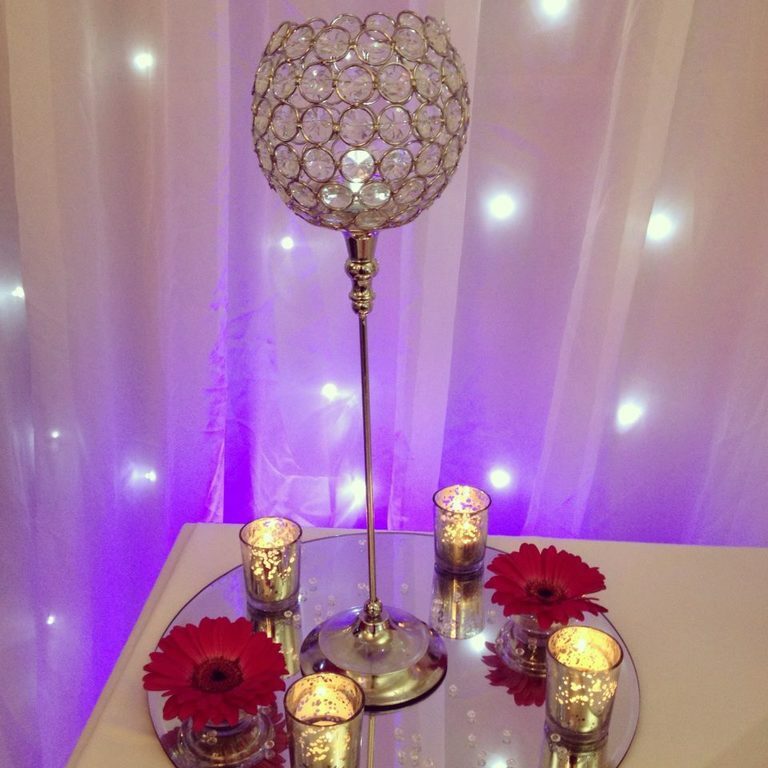 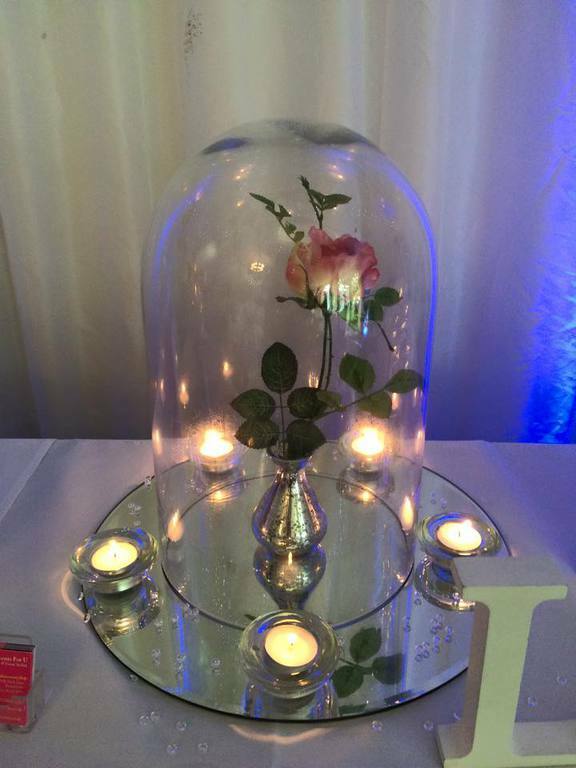 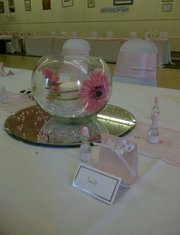 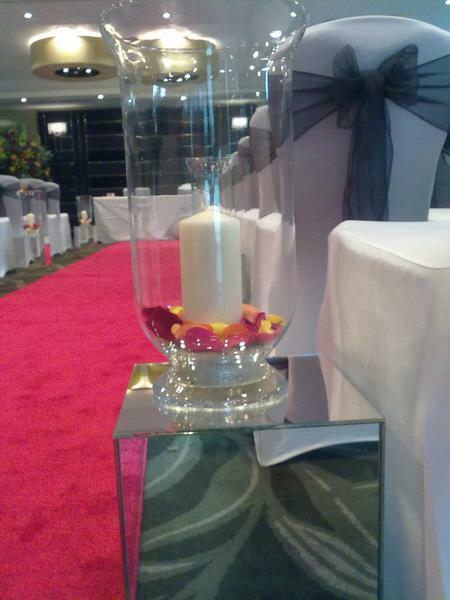 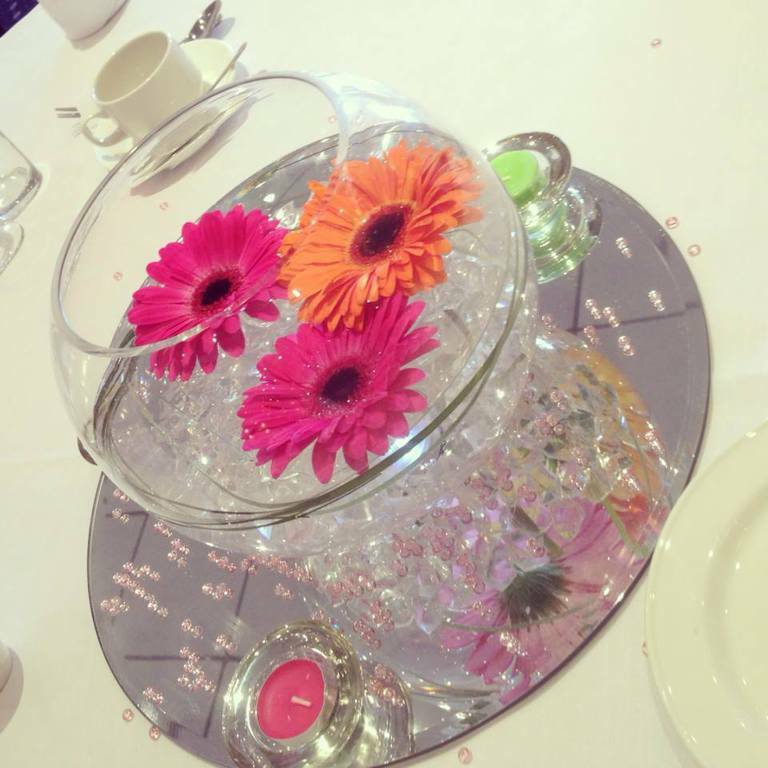 All displays are placed on a round mirror base and finished with colour co-ordinated scatter diamonds. 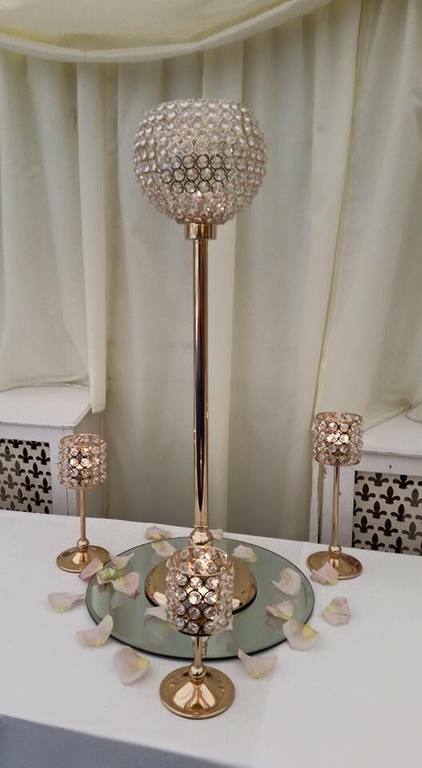 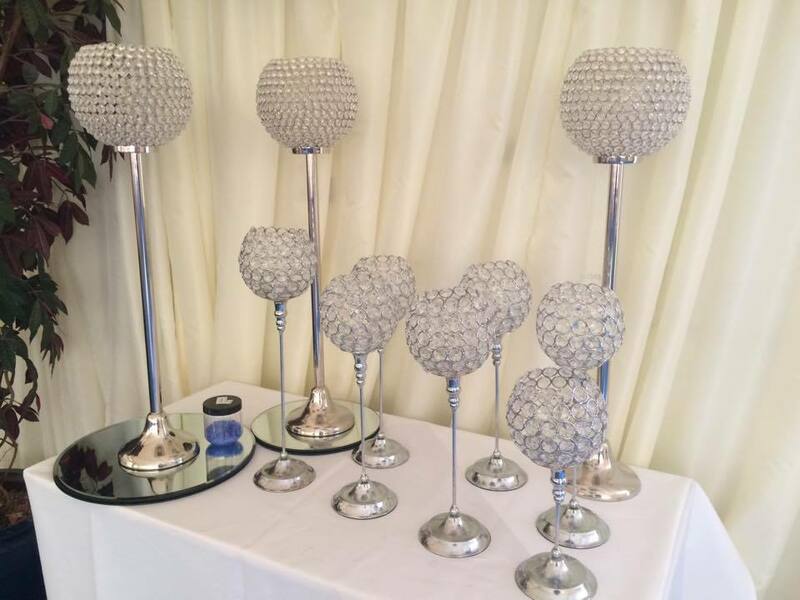 70cm Martini Glass • Glass Round Mirror Plate * Glass Nuggets Coloured / or similar • Rose Ball in ivory or pink with diamonte studs • LED light base with scatter crystals or petals to finish. 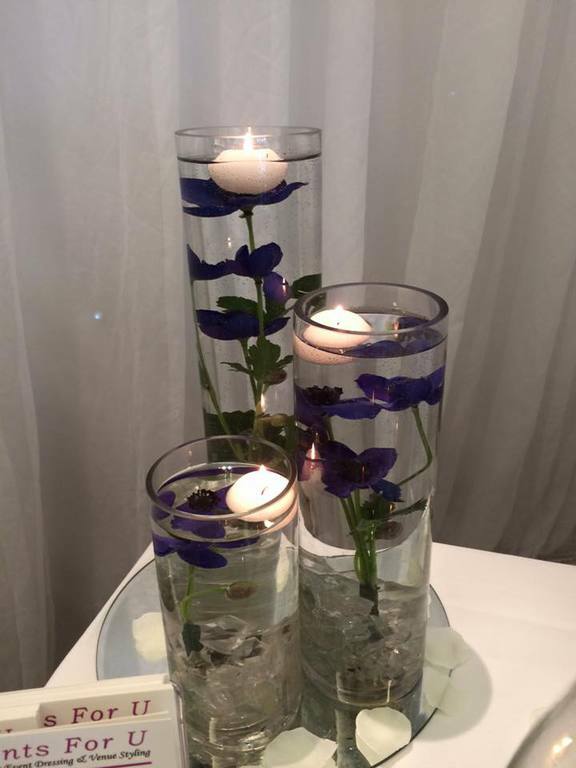 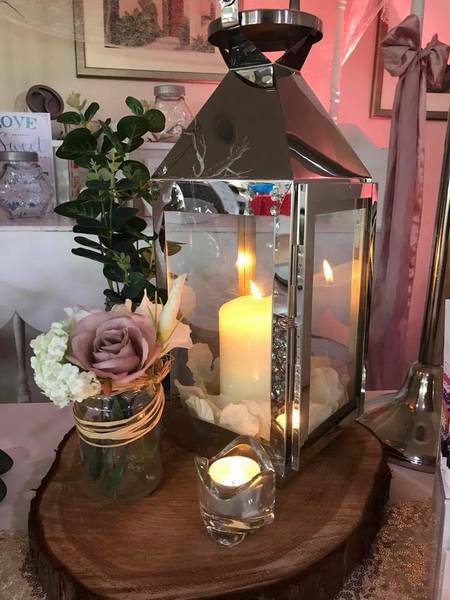 Lantern or Hurricane Vase • Log Base * jar with flowers to compliment colour theme/scheme • pillar candel with petals in lantern/vase * tealight in holders with petals to finish. 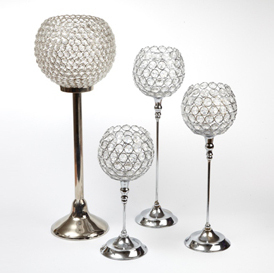 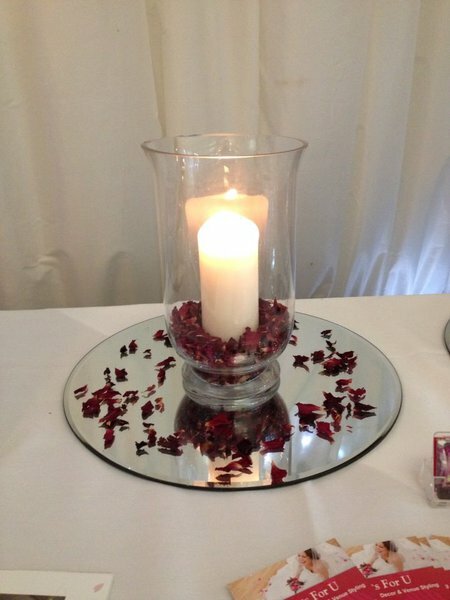 Domed bell vase • Glass Round Mirror Plate * Bud Vase • Rose stem * tealights in holders with scatter crystals or petals to finish. 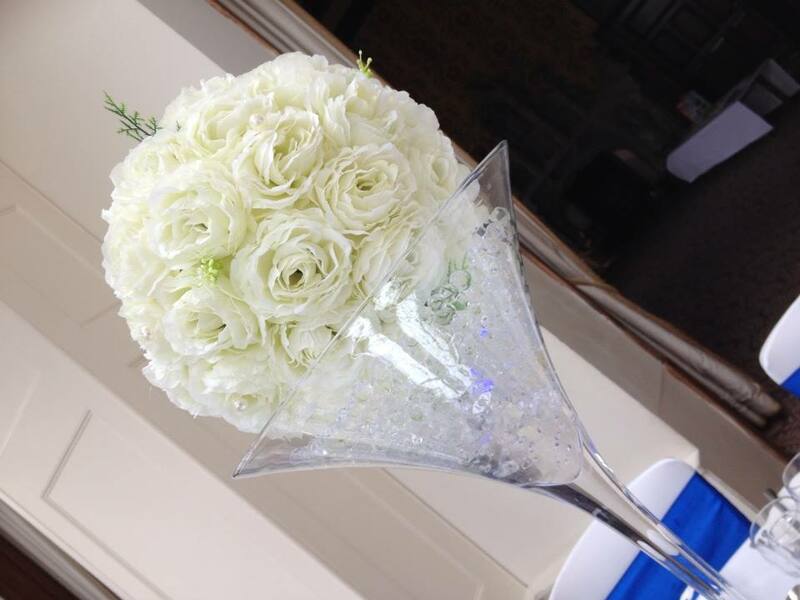 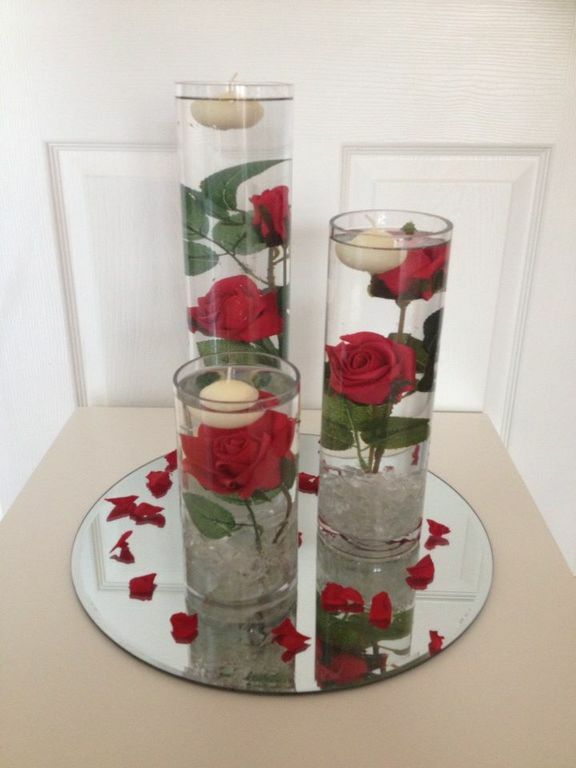 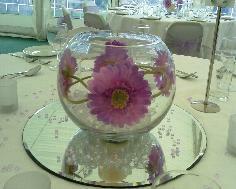 placed on a large 16in glass round table mirror with a large glass fishbowl vase. 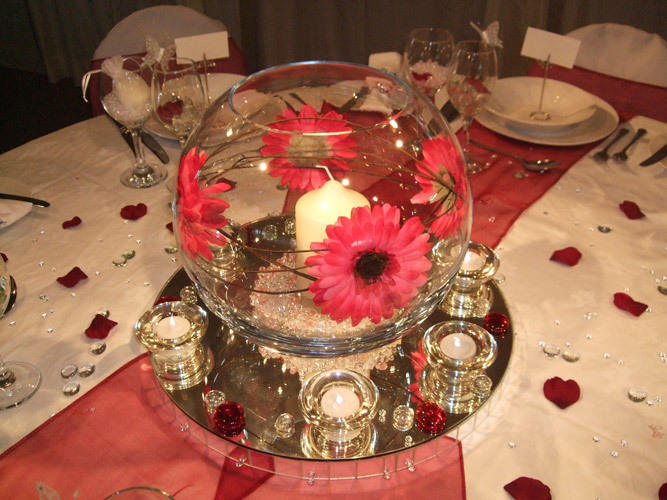 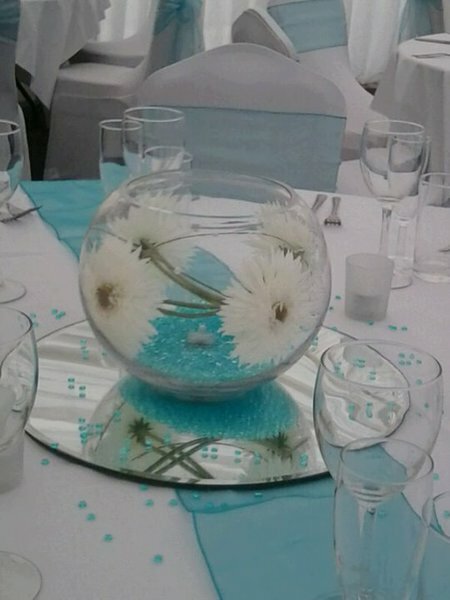 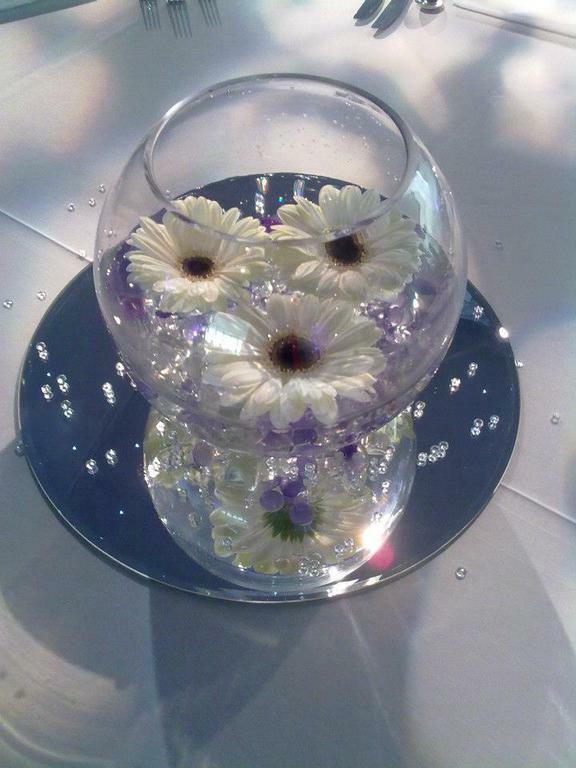 30cm diameter, filled with real Gerbera flowerheads and colour co-ordinated crystals. 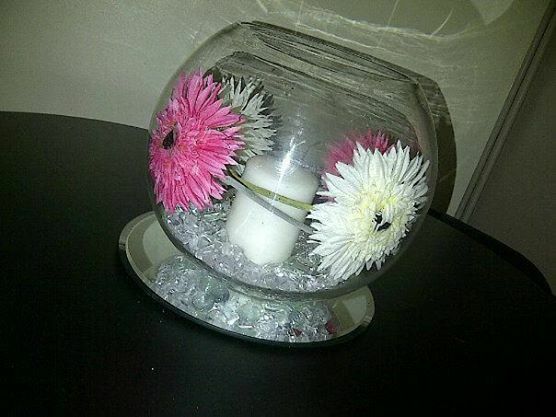 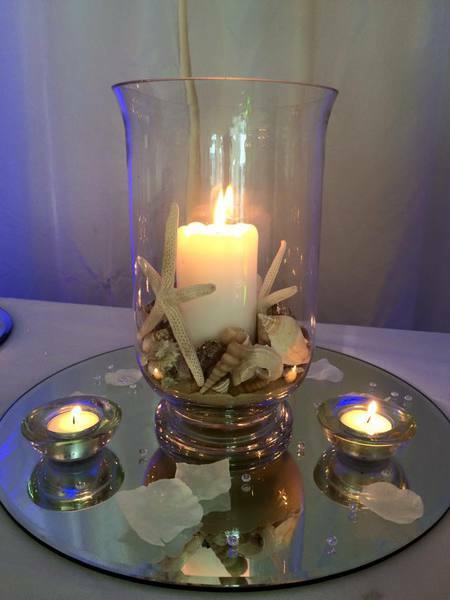 Hurricane shaped vase filled with your choice of filling, petals, sand, nuggest, crystals etc placed on a round mirror plate with tealight holders and petals/crystals scattered around the base. 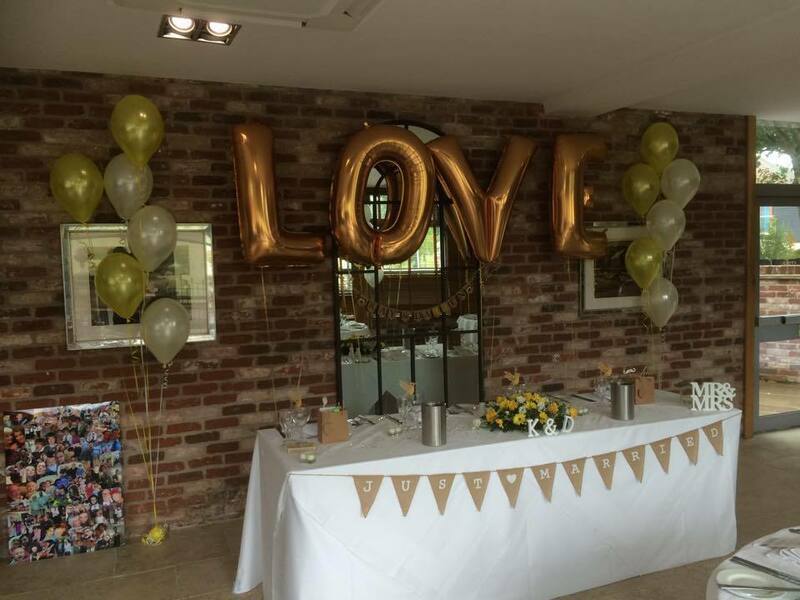 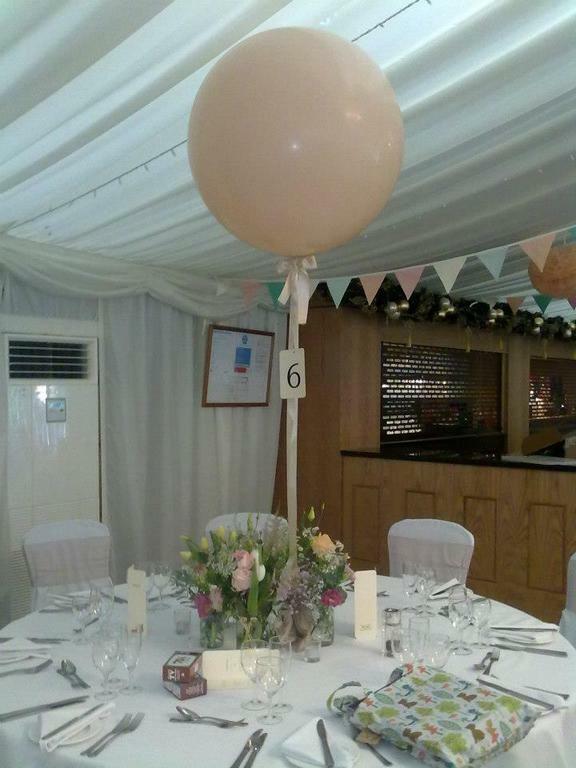 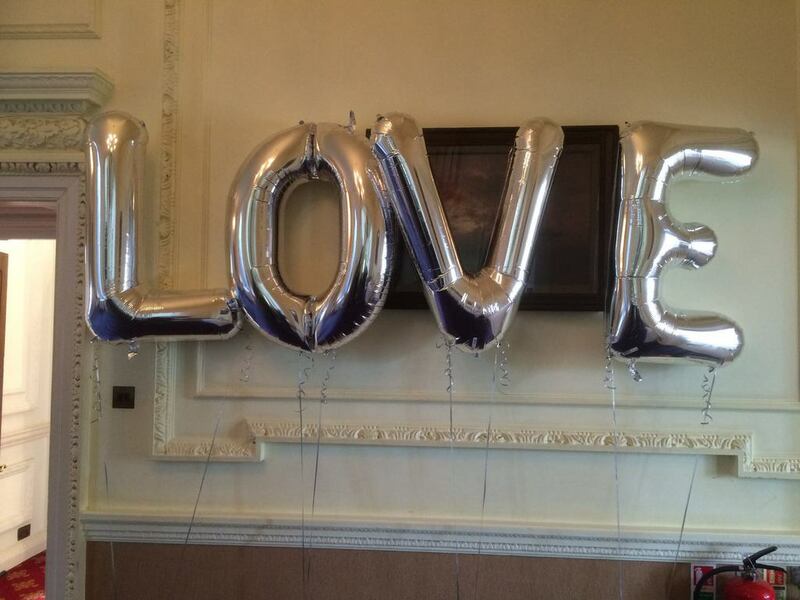 Balloons an be plain/printed with your personalised logo or message includes balloon, ribbons and weight.